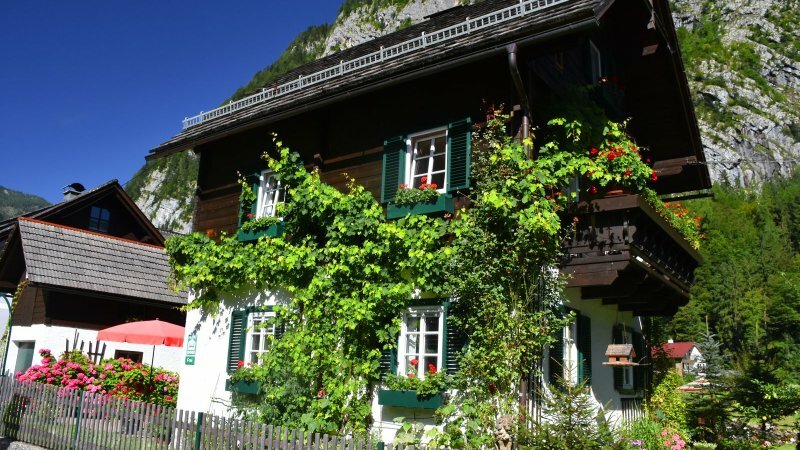 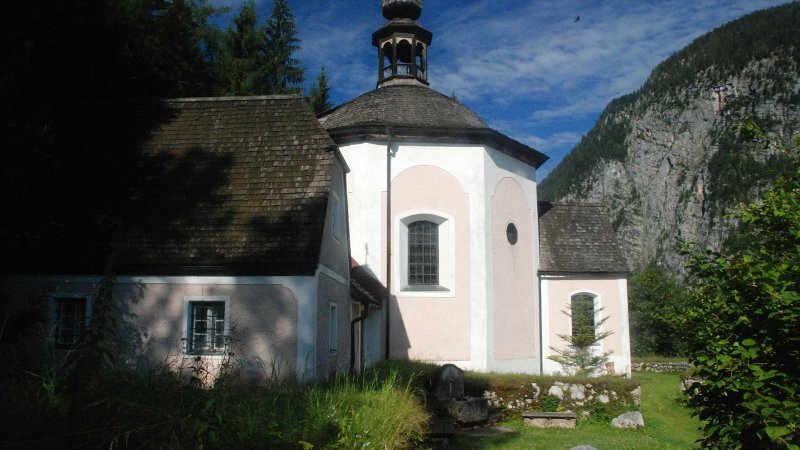 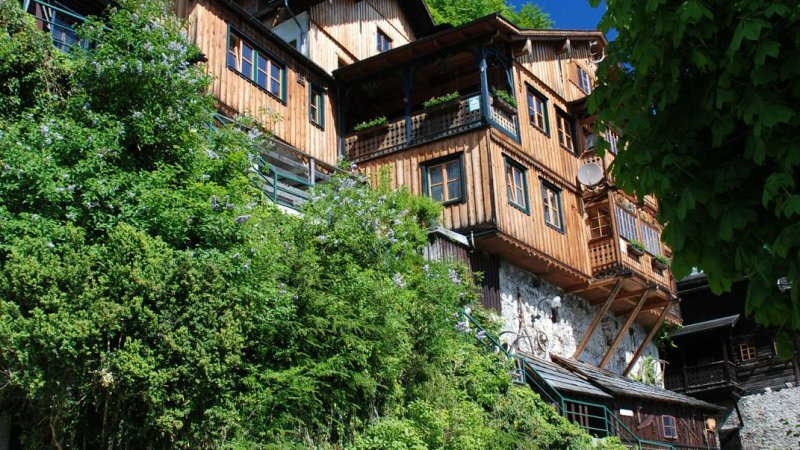 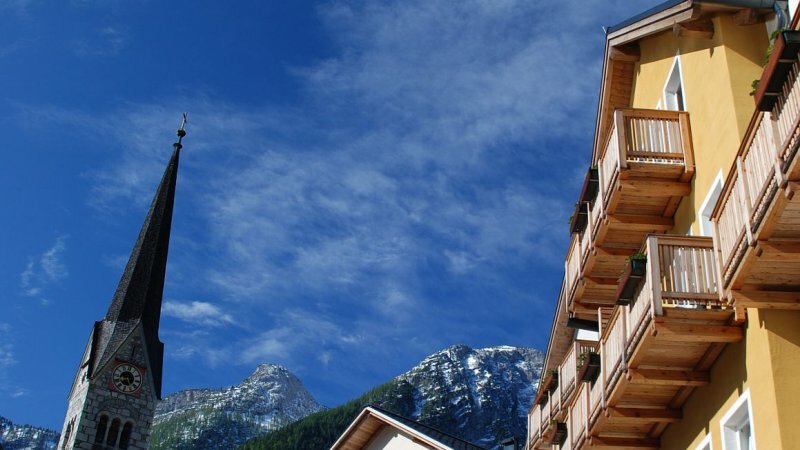 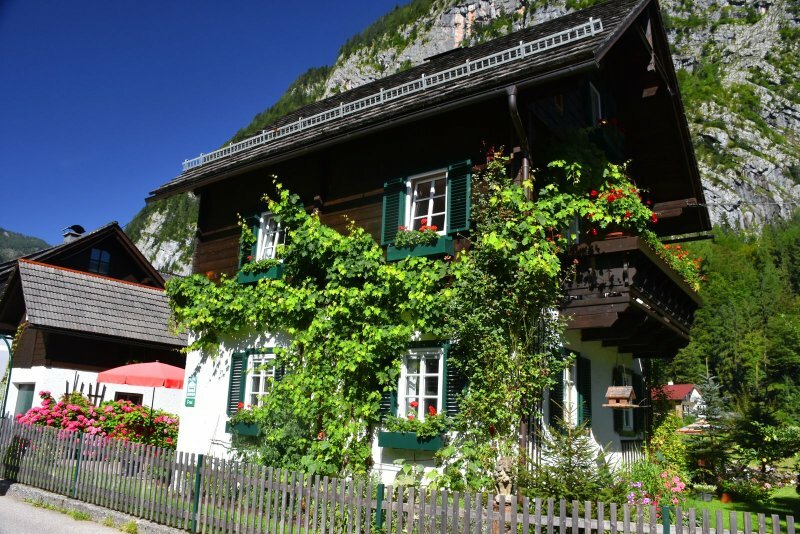 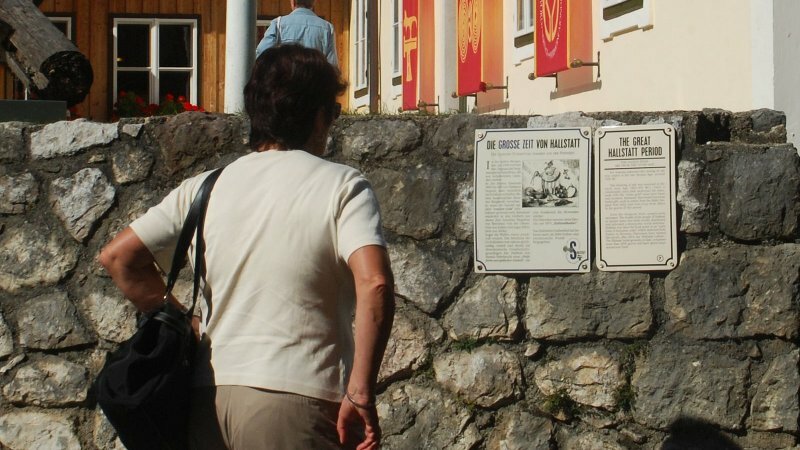 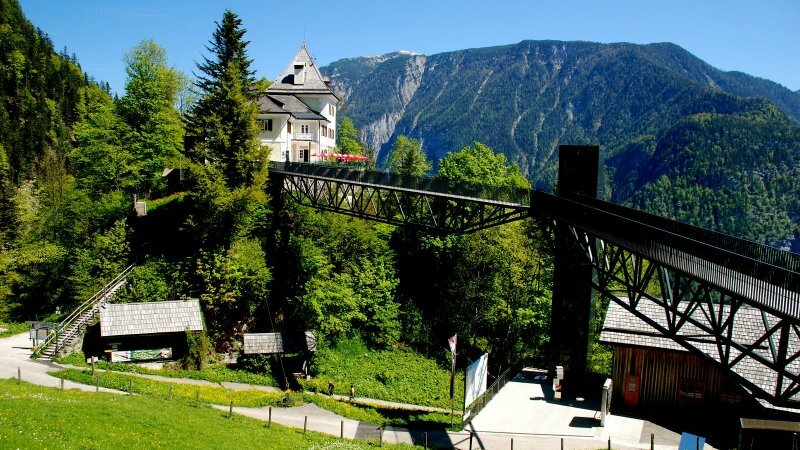 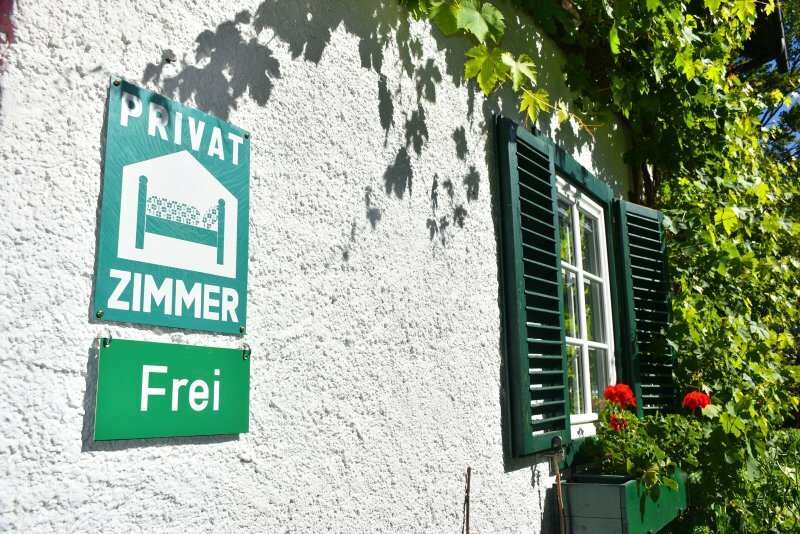 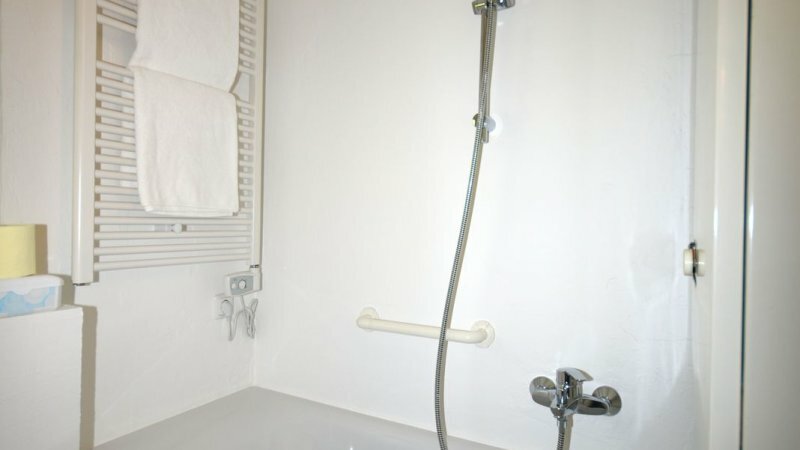 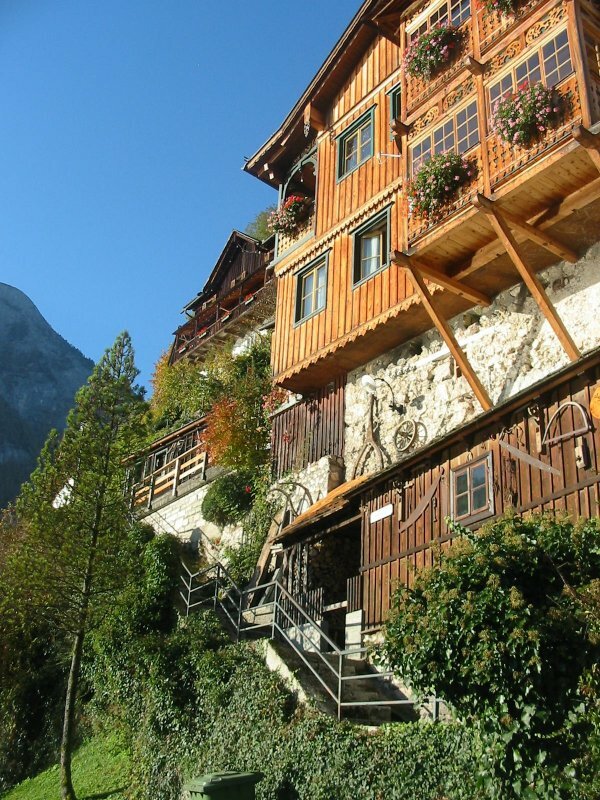 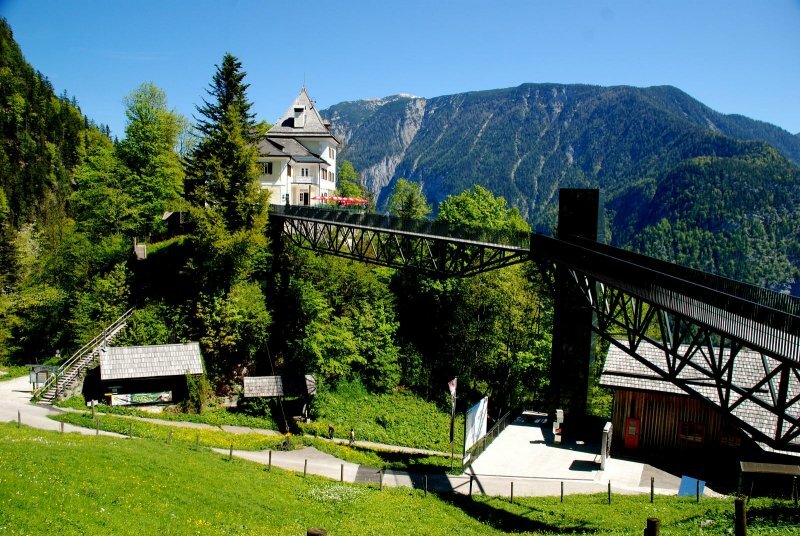 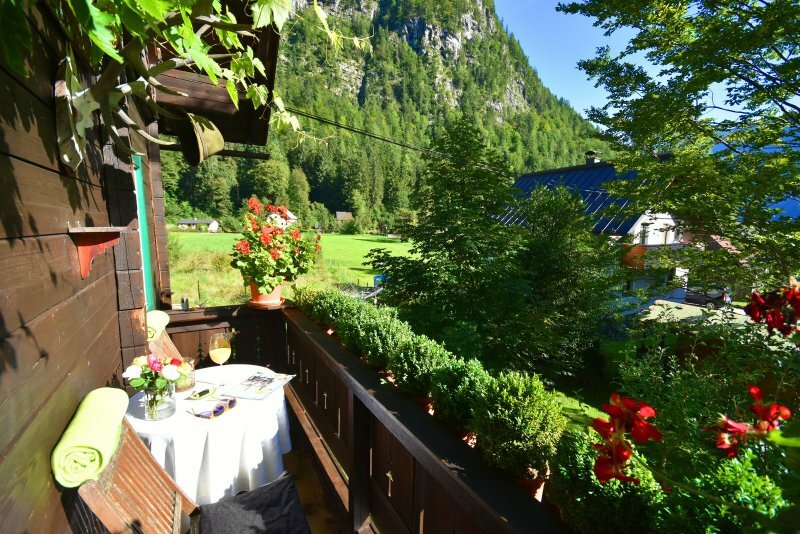 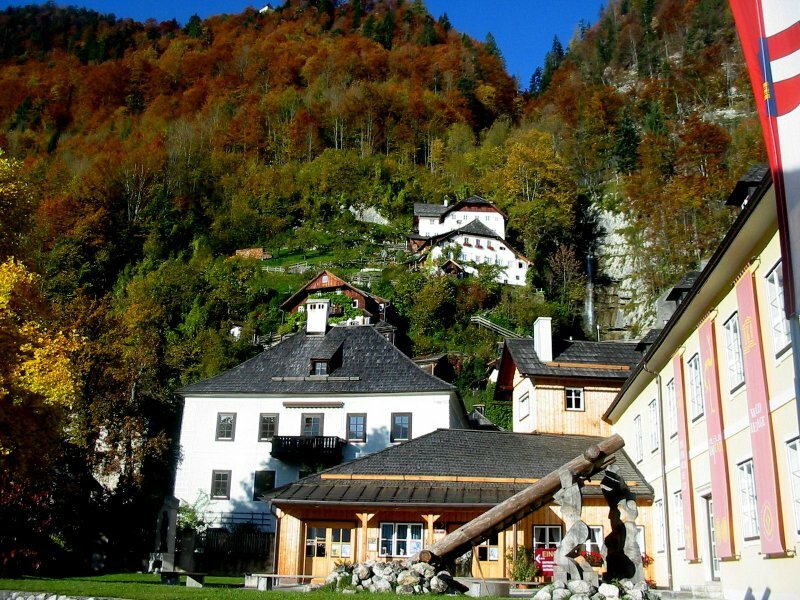 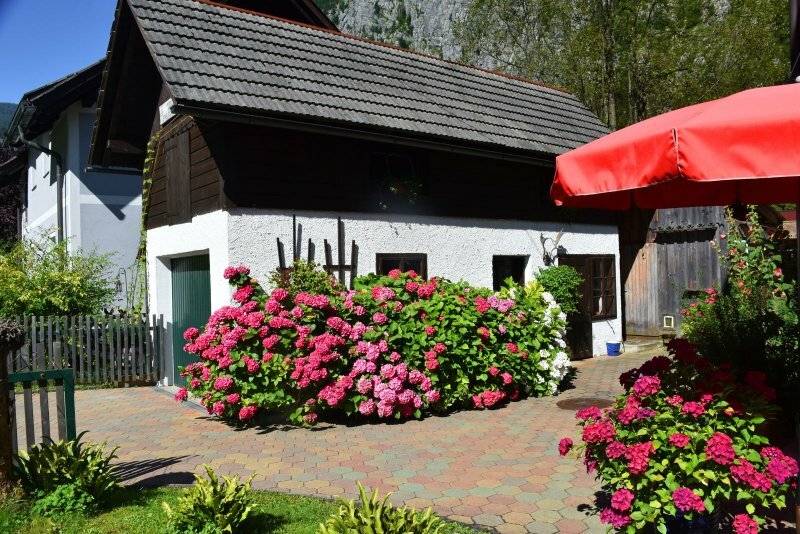 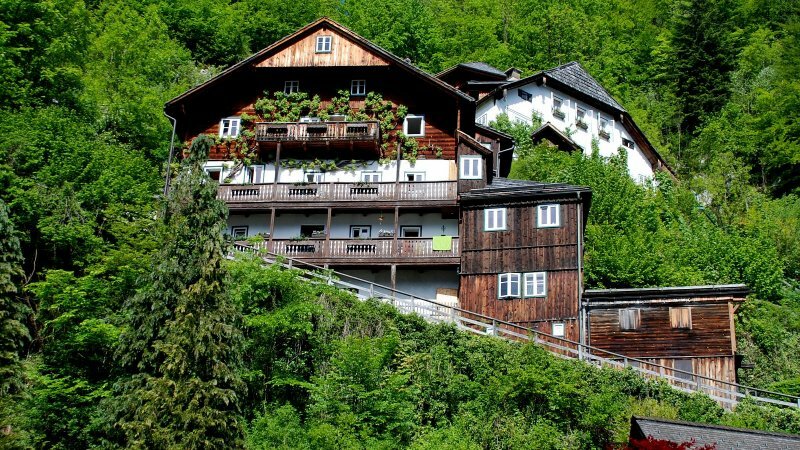 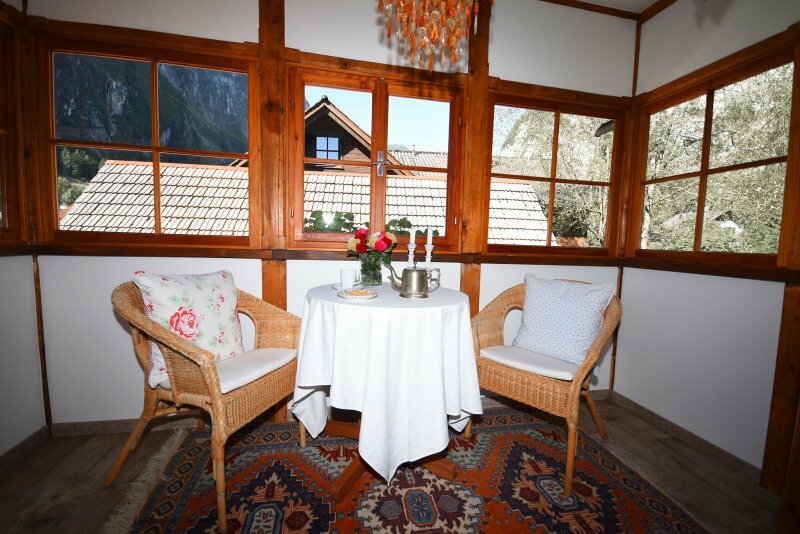 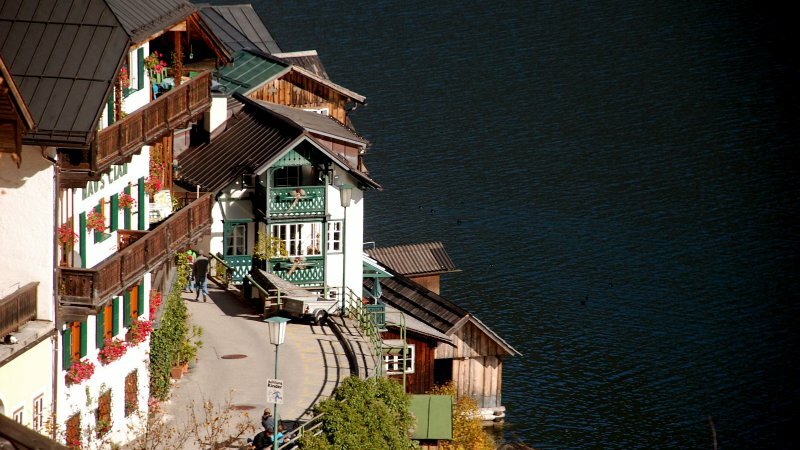 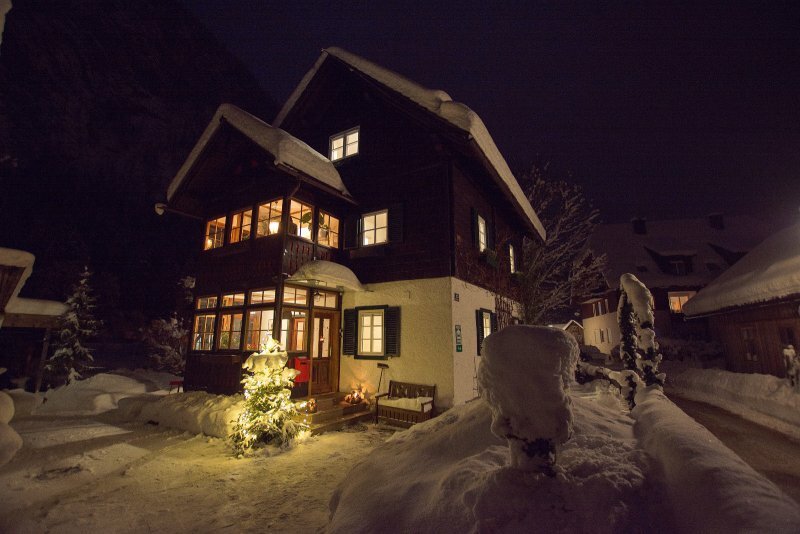 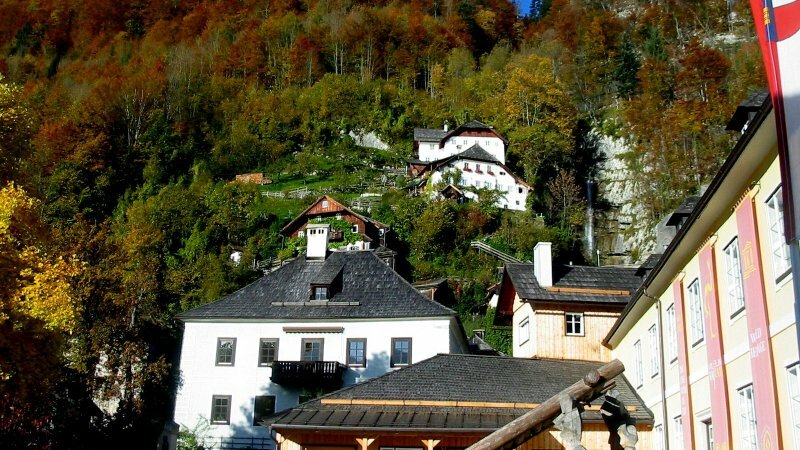 Accommodation in the UNESCO World Heritage region of Hallstatt Dachstein Salzkammergut in Austria: Bed and breakfast with pool in Hallstatt: Impressions from Haus Hemetzberger. 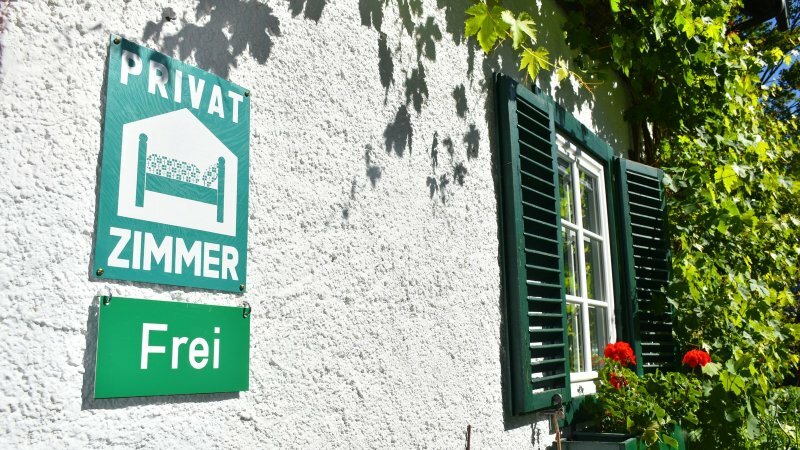 Are you looking for bed and breakfast? 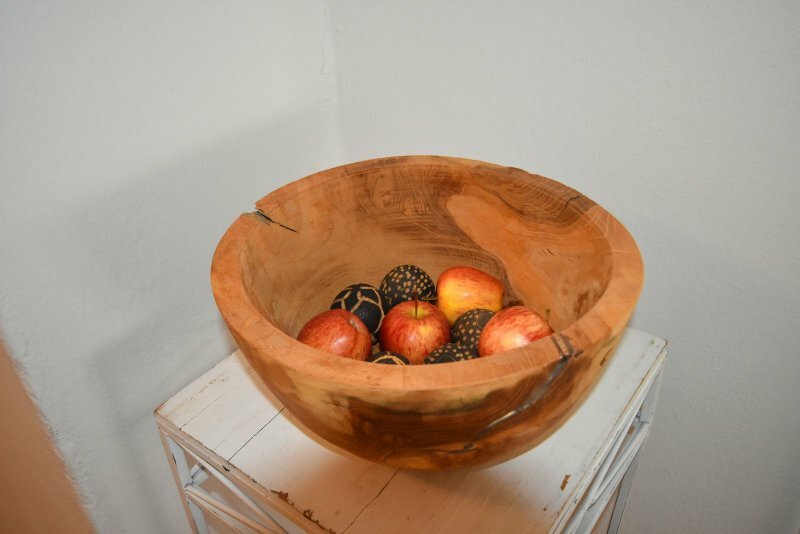 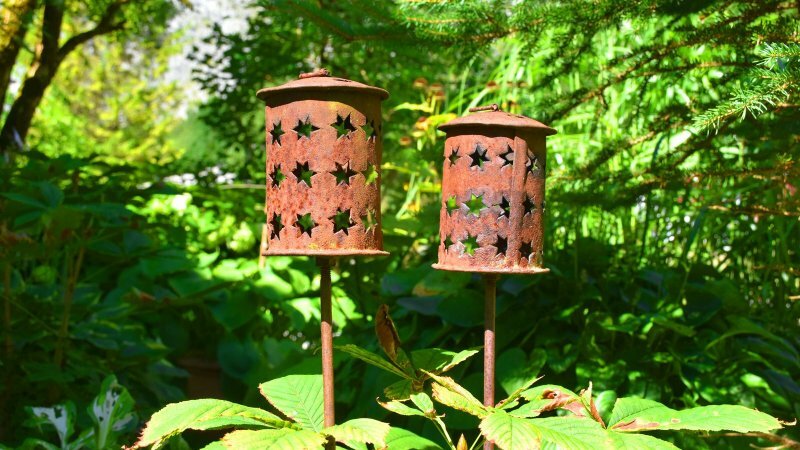 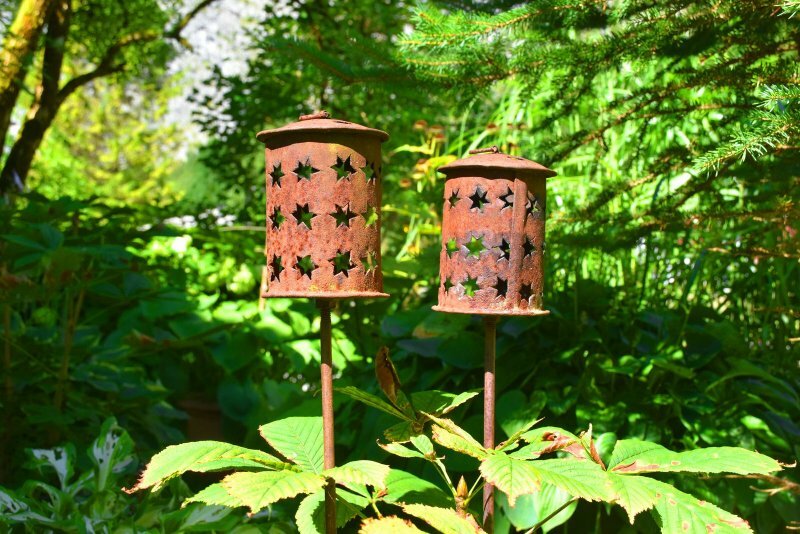 For particularly endearing and communicative hosts? 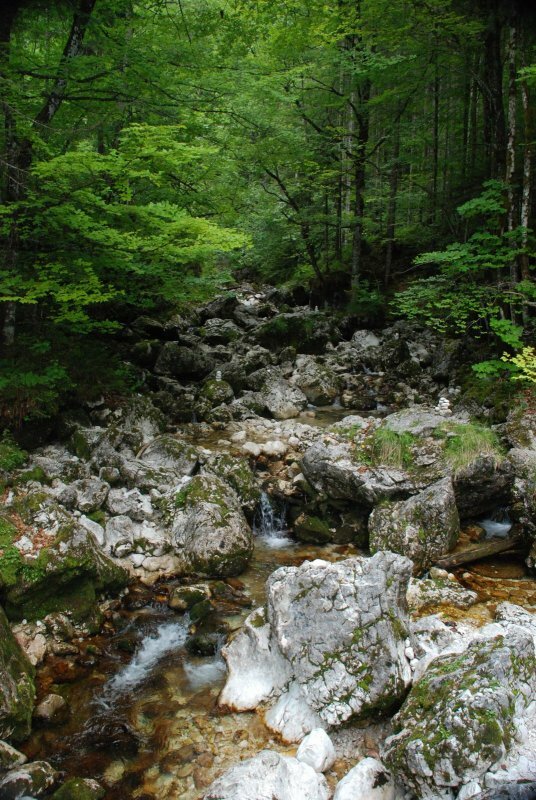 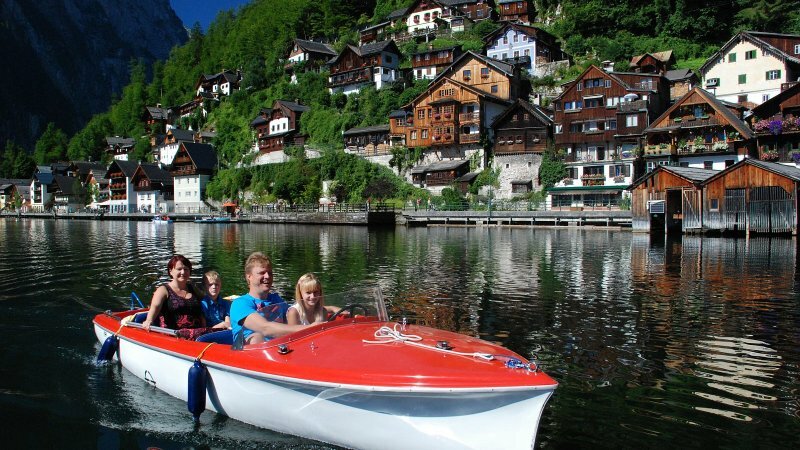 Then you are exactly right with Family Hemetzberger in Hallstatt’s Echerntal. 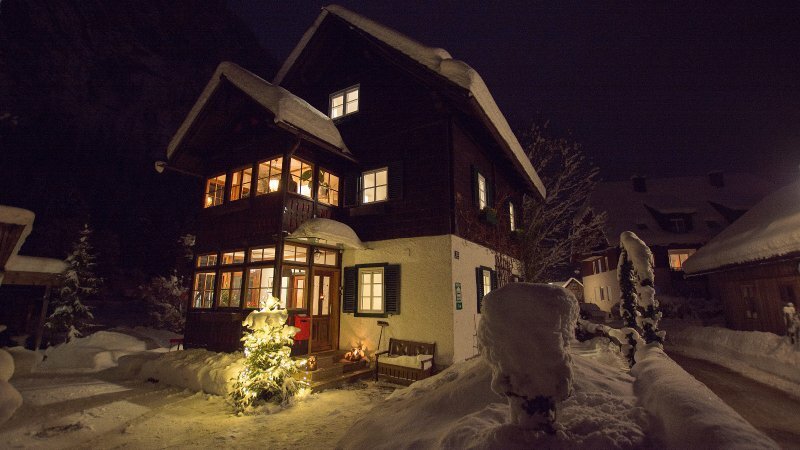 The cosy bed and breakfast is located on the first floor. 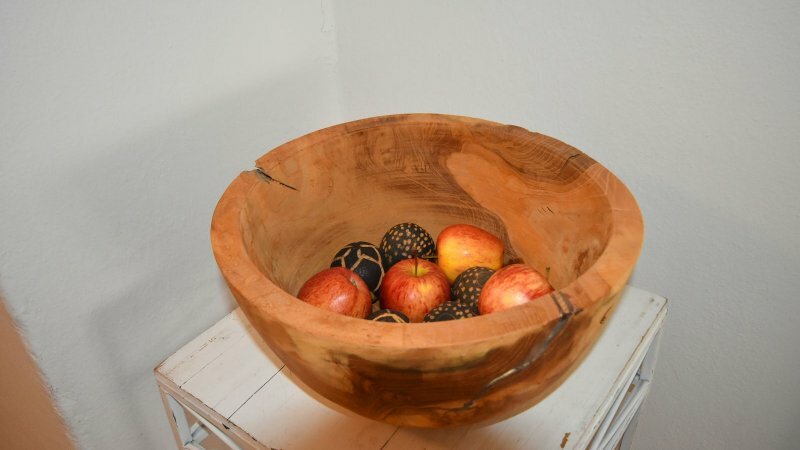 And if you are traveling by car, you can leave your "best piece" parked right outside the front door. 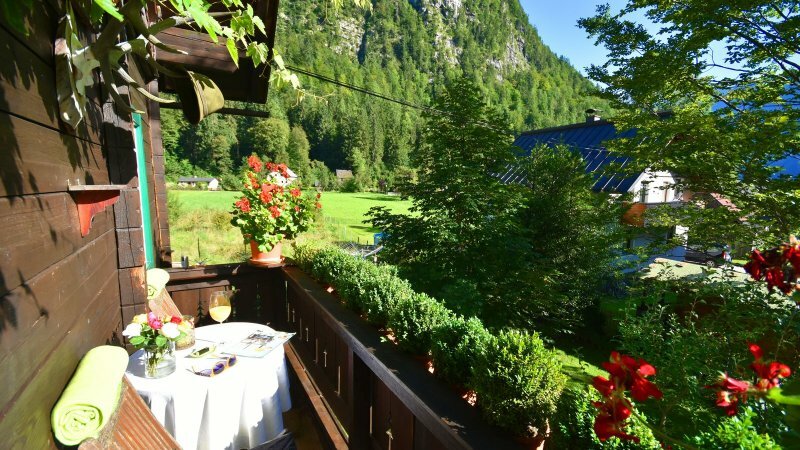 You can relax on your balcony with a good book, or enjoy the hearty breakfast your host provides. 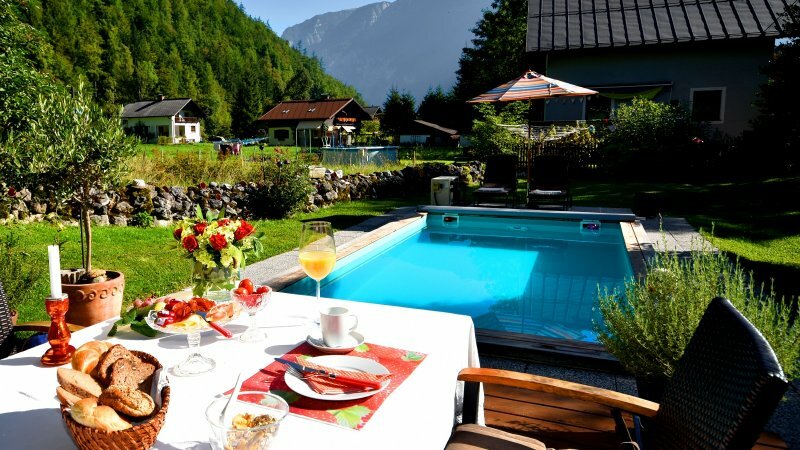 Or take a cool dip in their own pool. 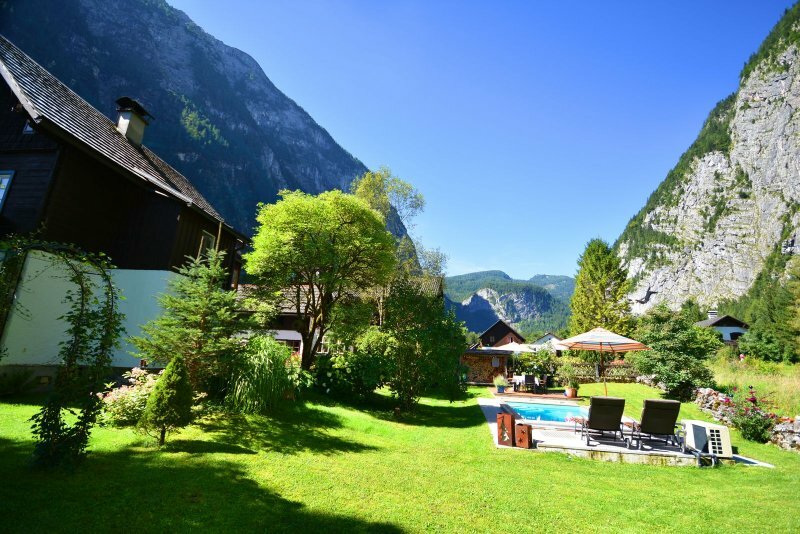 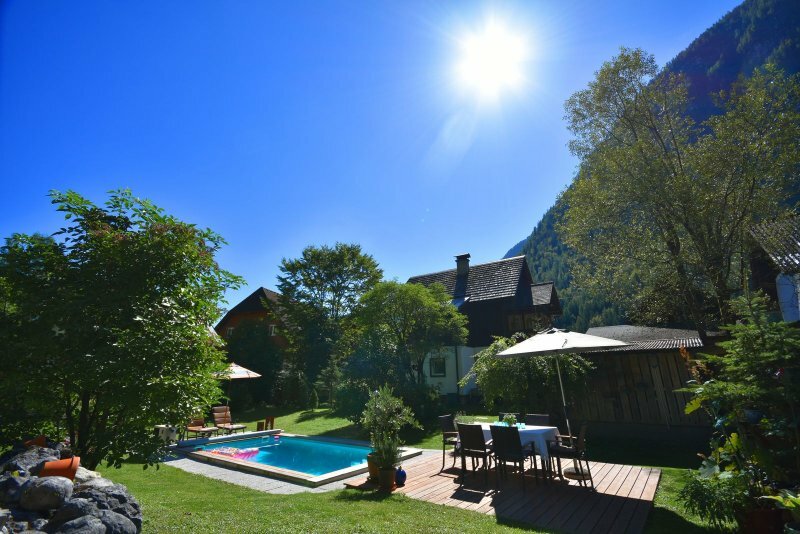 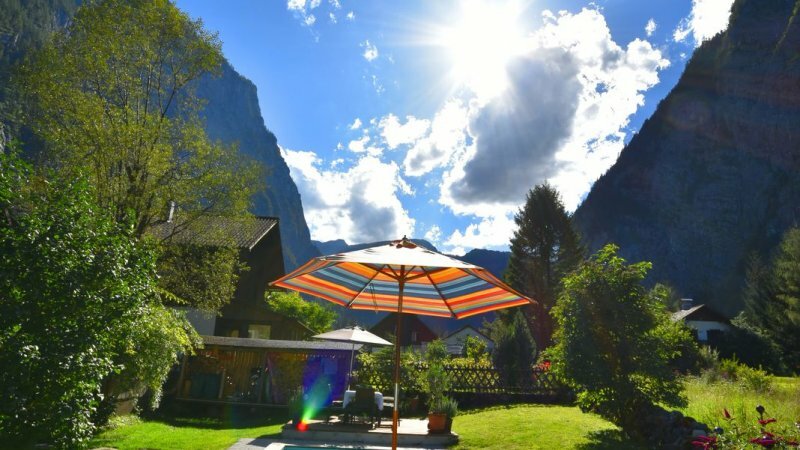 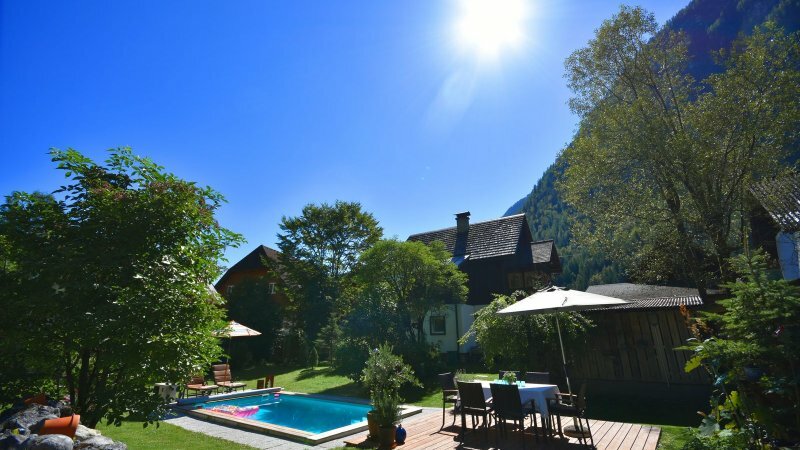 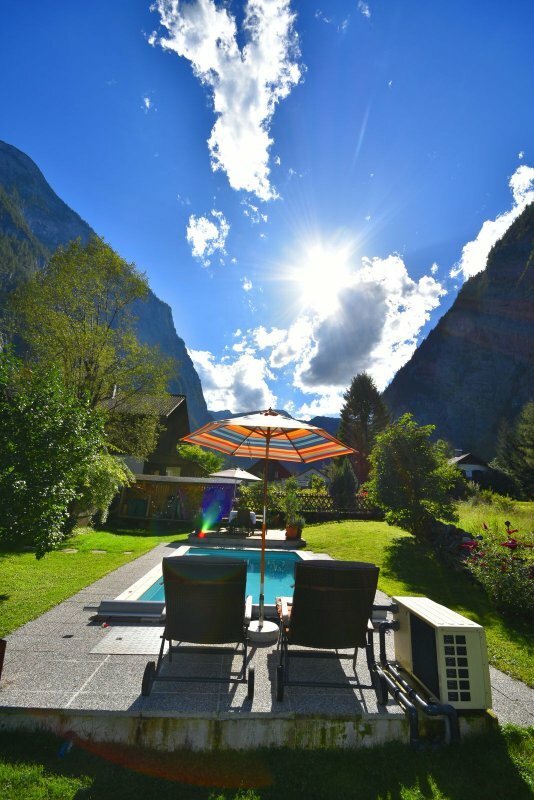 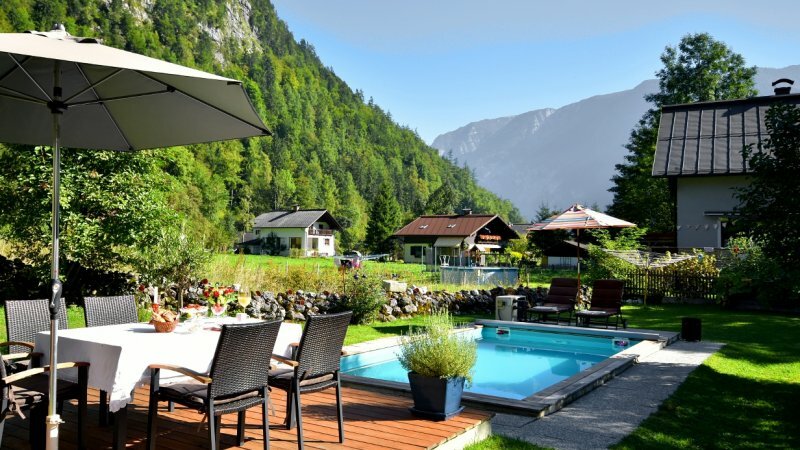 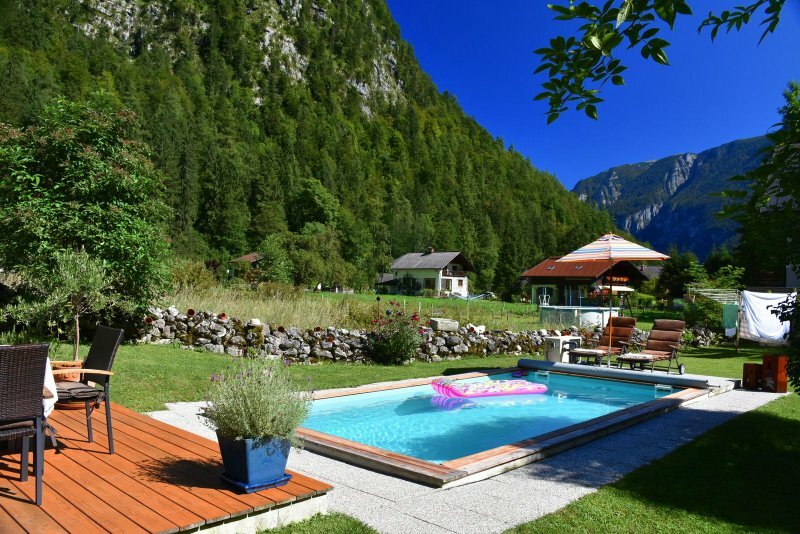 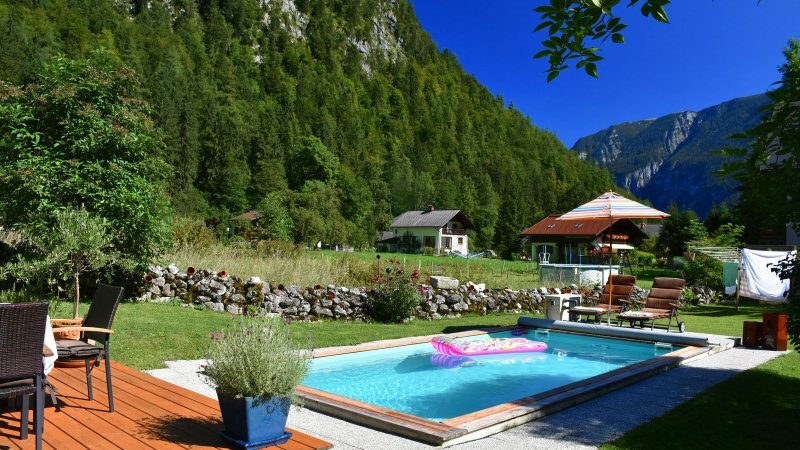 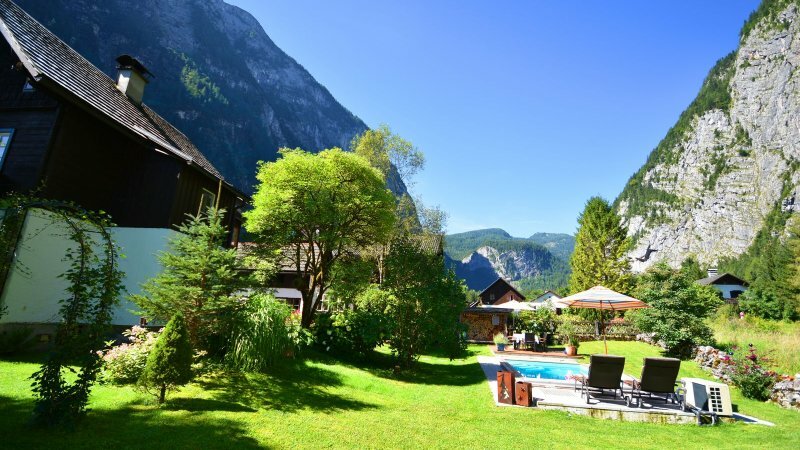 The large heated swimming pool in the garden offers a place to relax after a day's sightseeing or a long hike through the imposing mountains around Hallstatt! 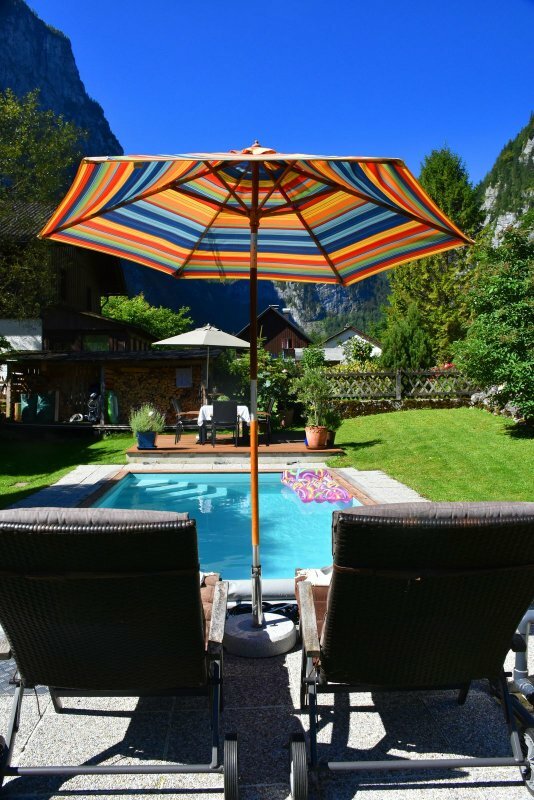 Or simply get new energy whilst sunbathing! 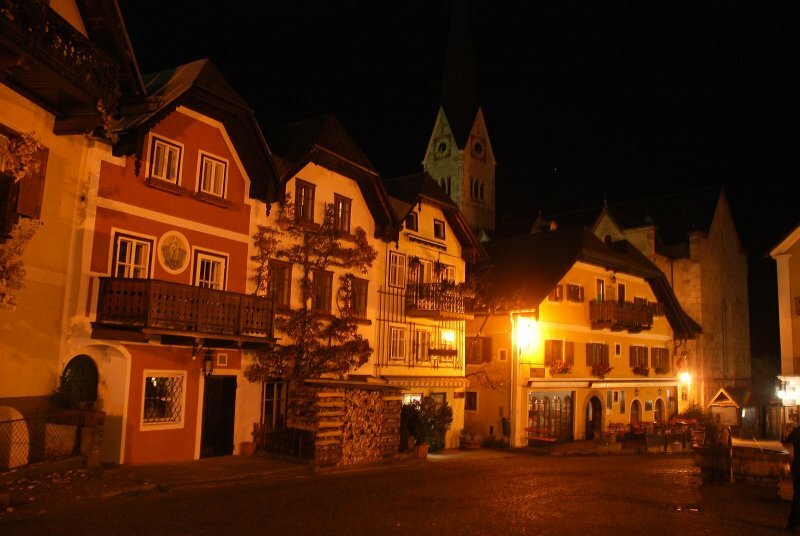 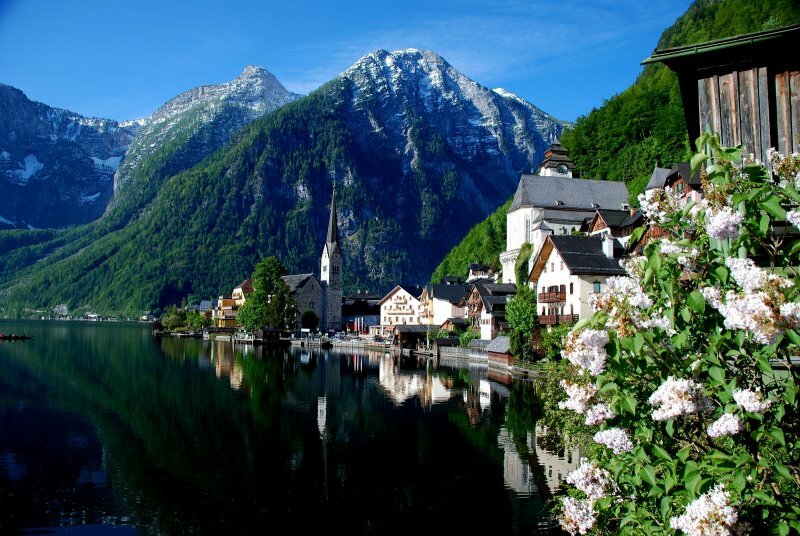 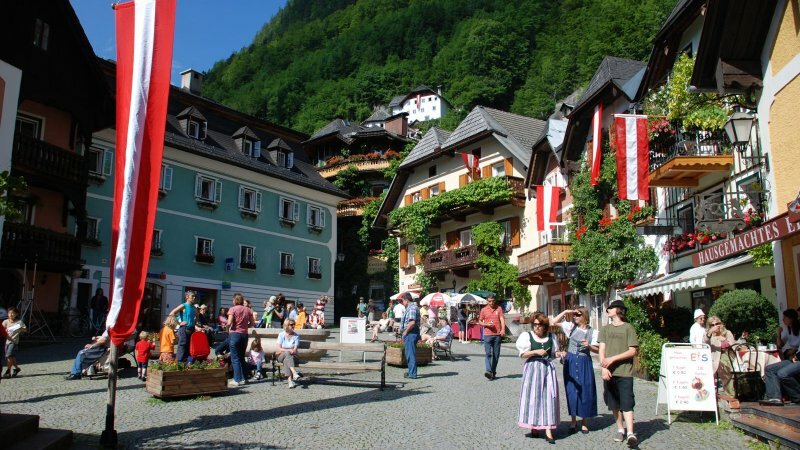 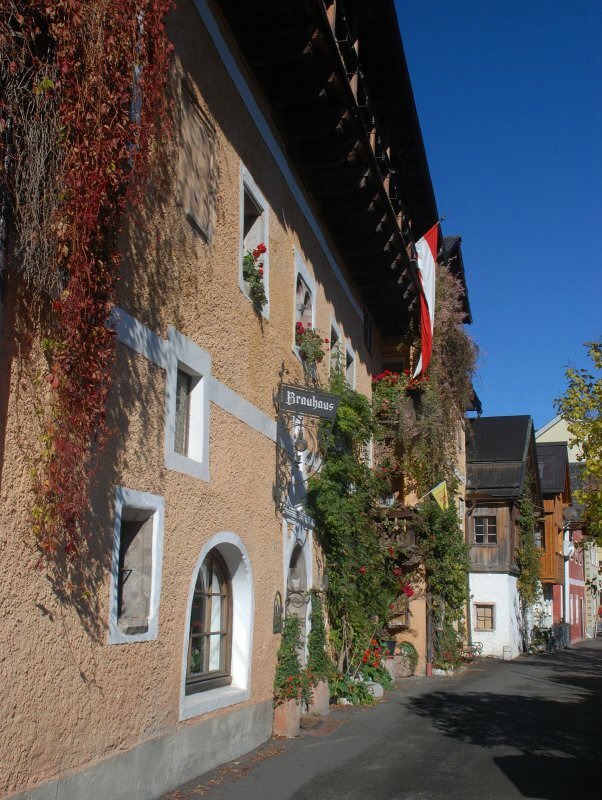 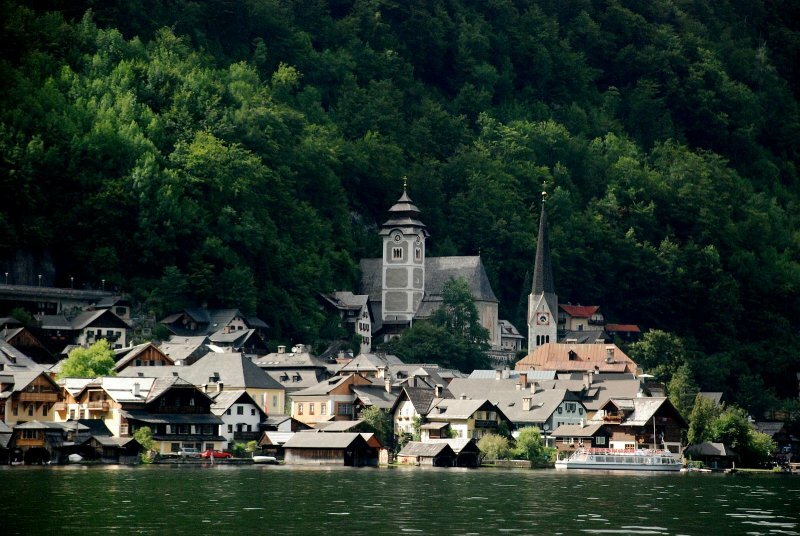 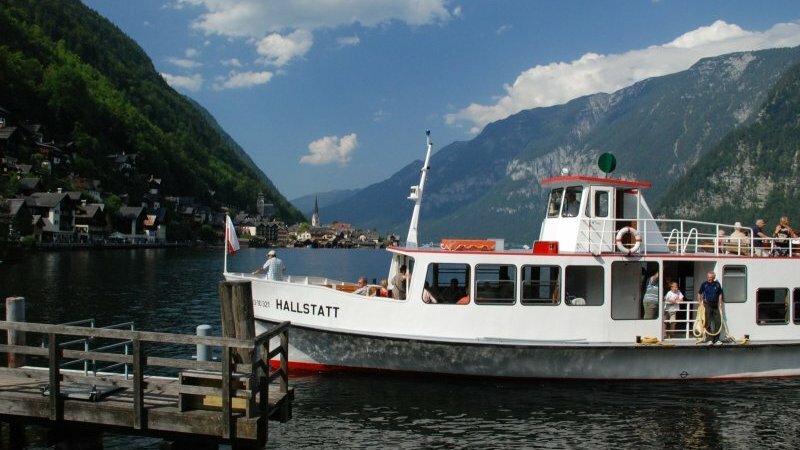 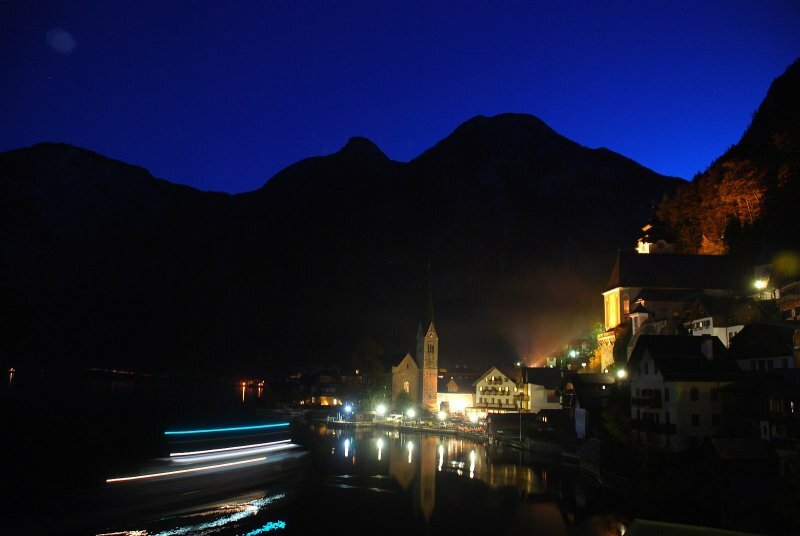 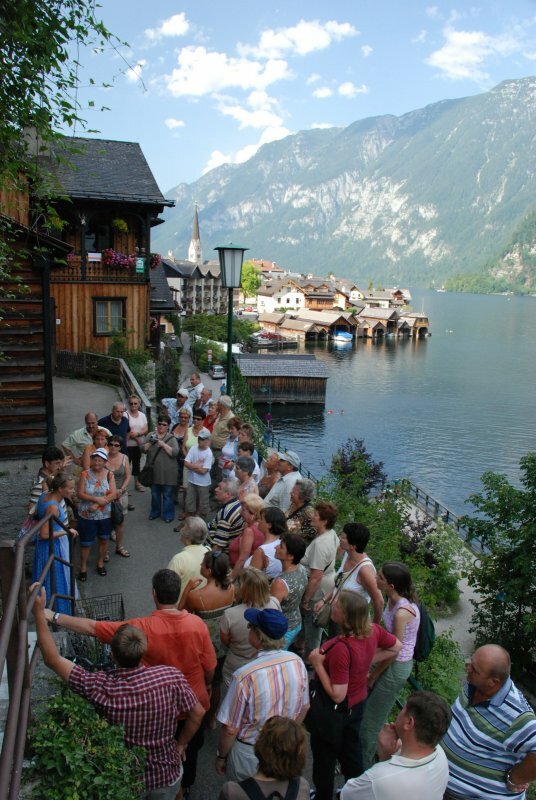 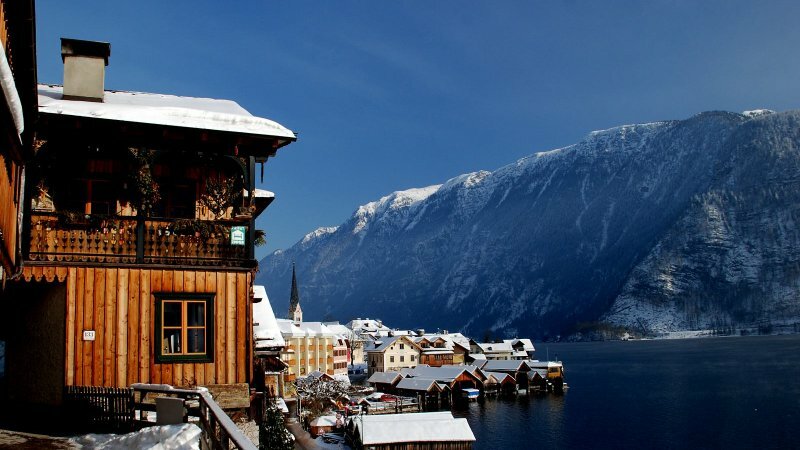 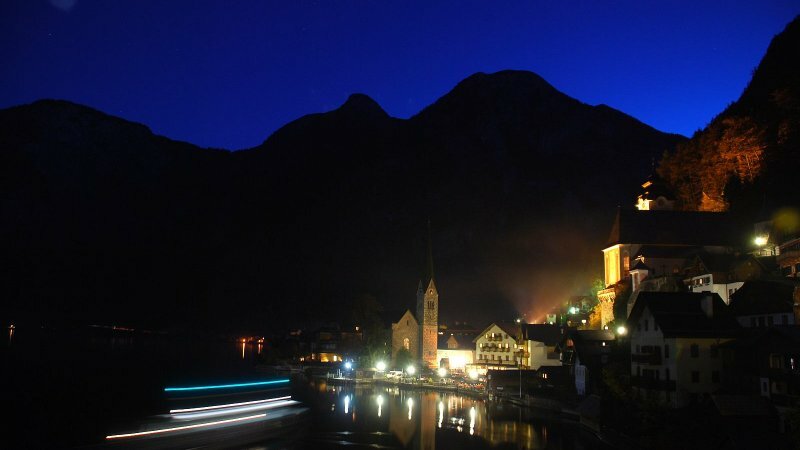 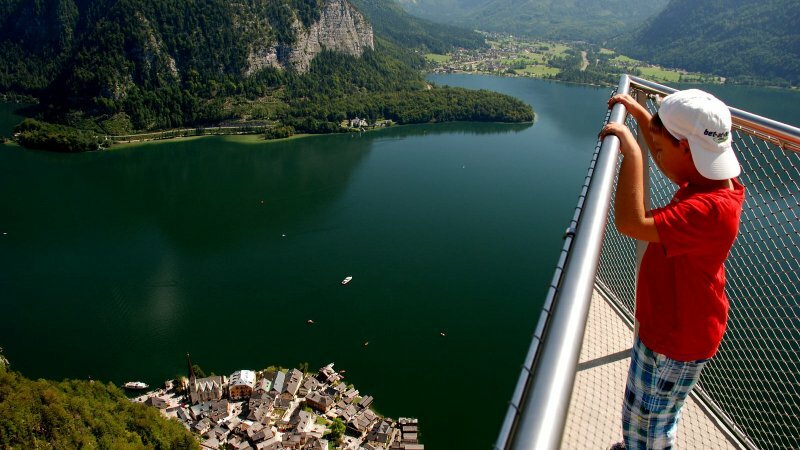 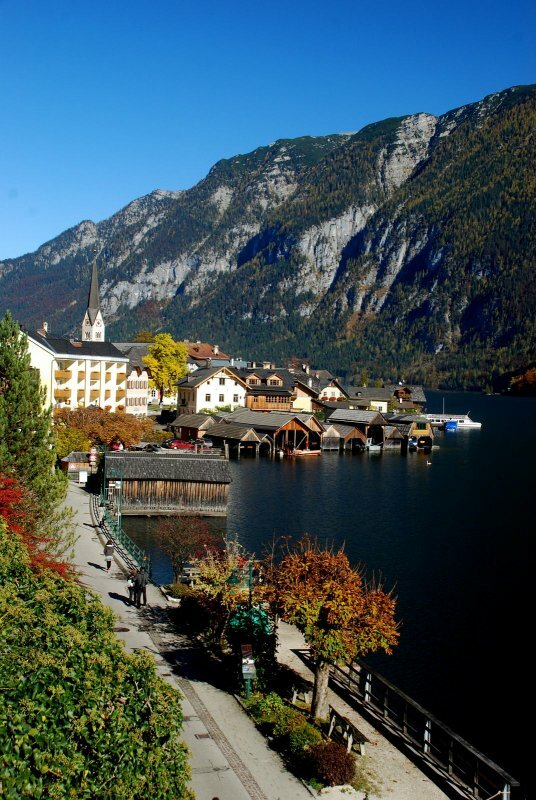 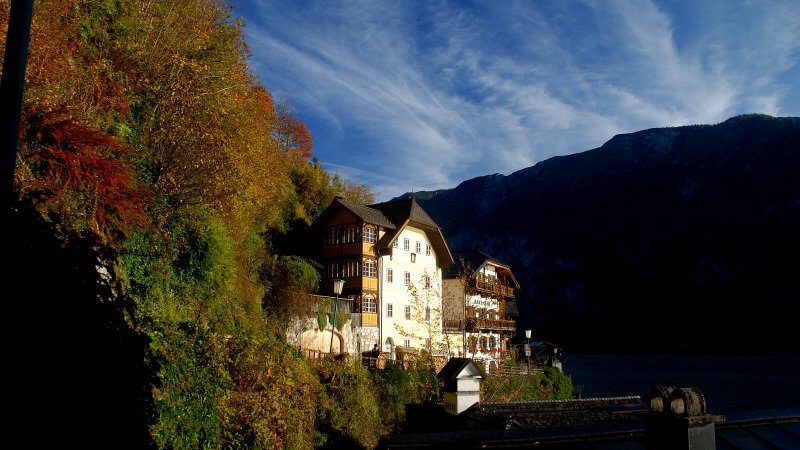 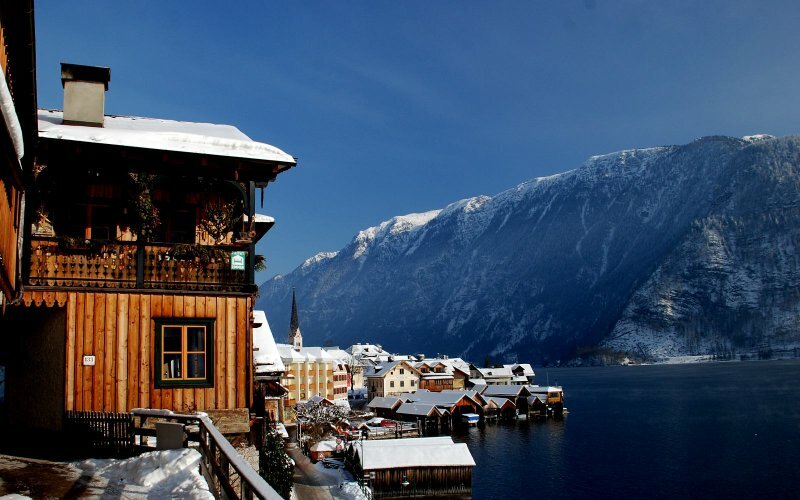 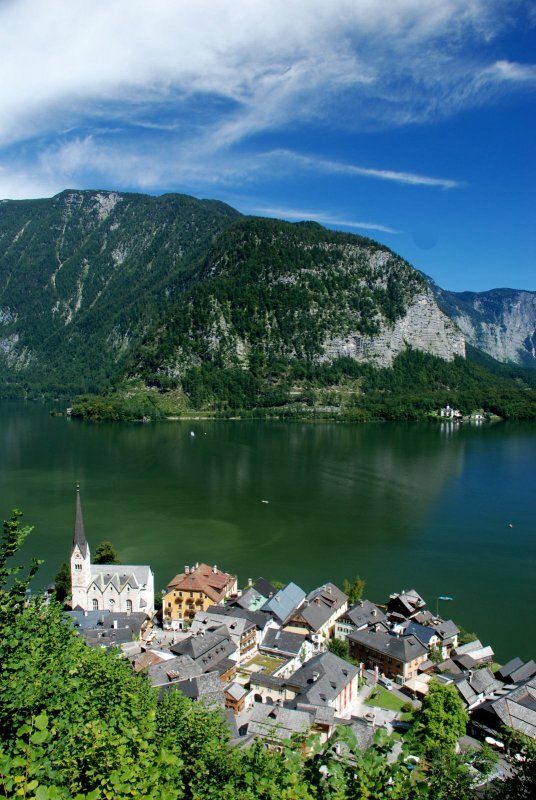 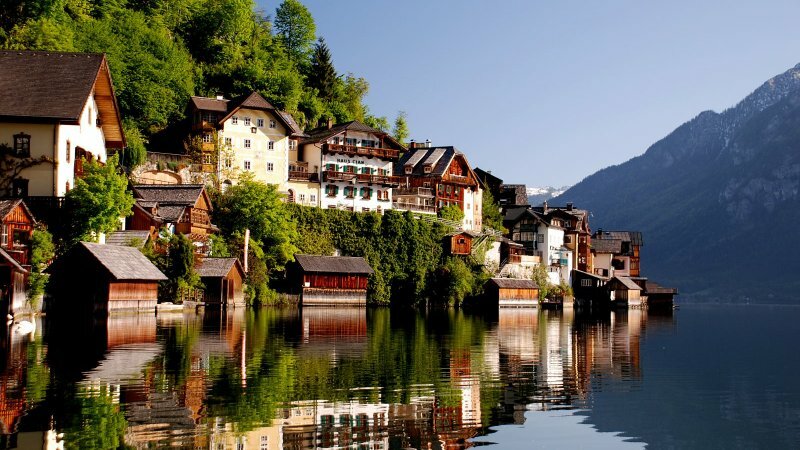 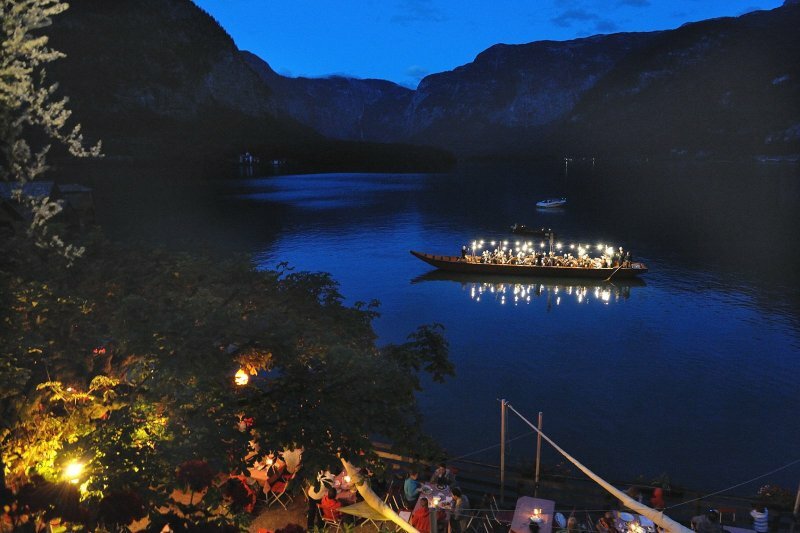 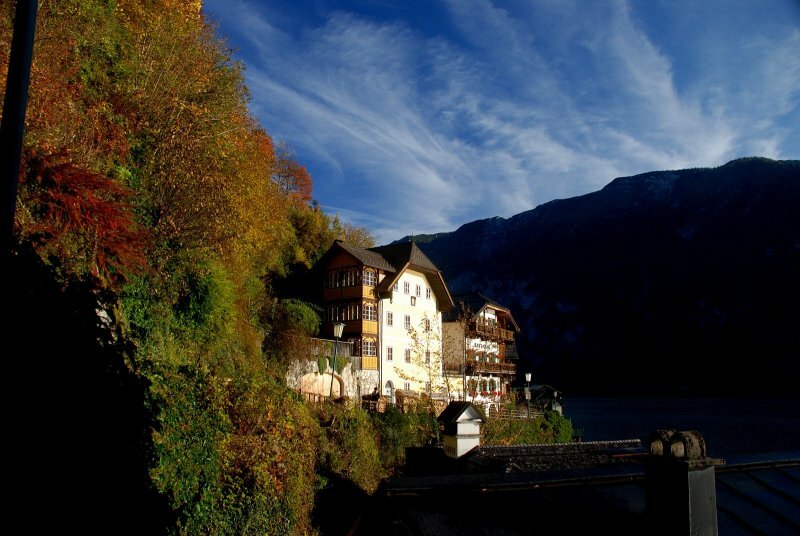 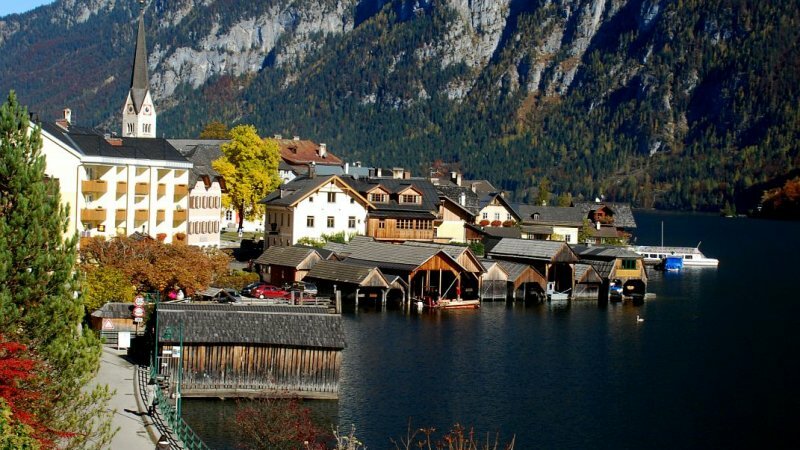 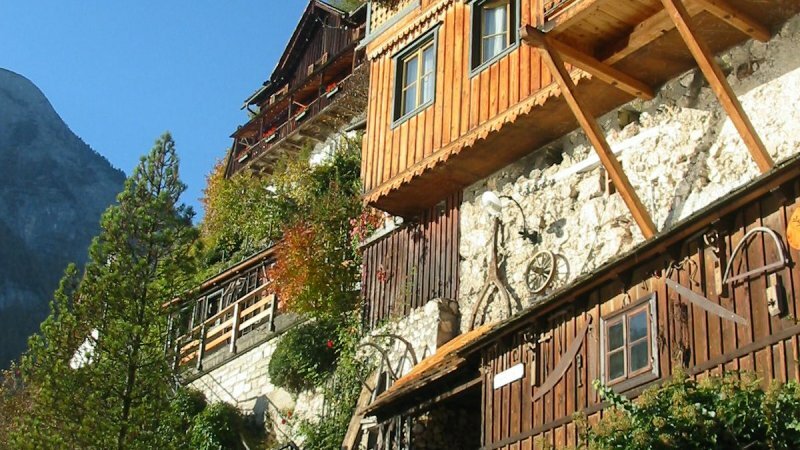 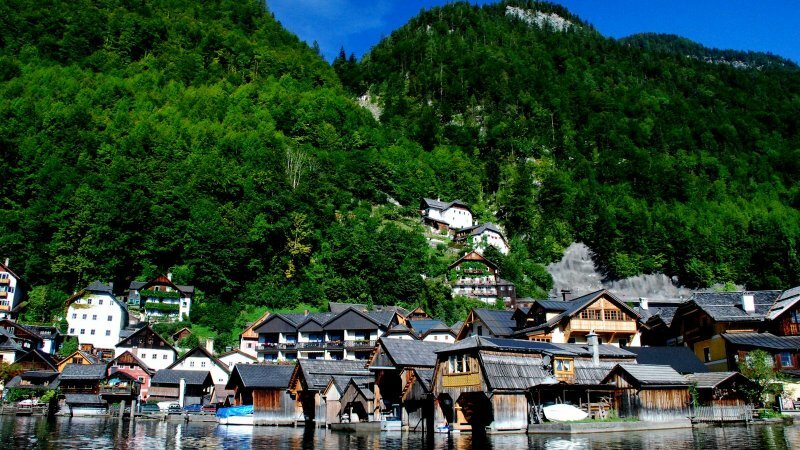 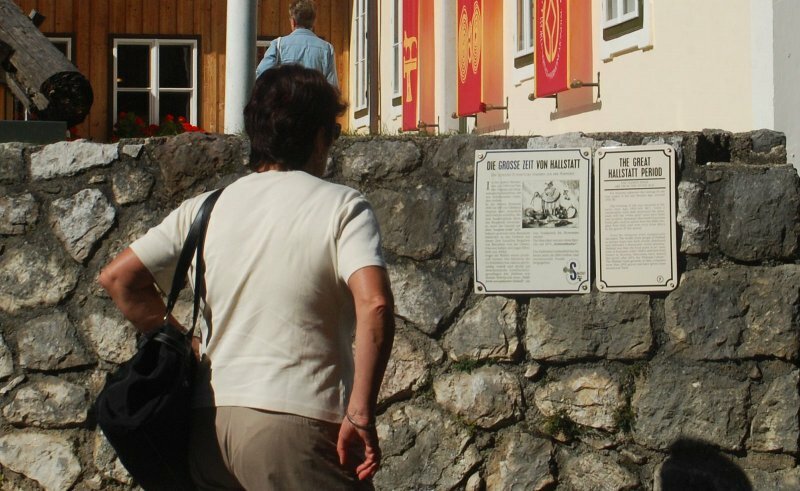 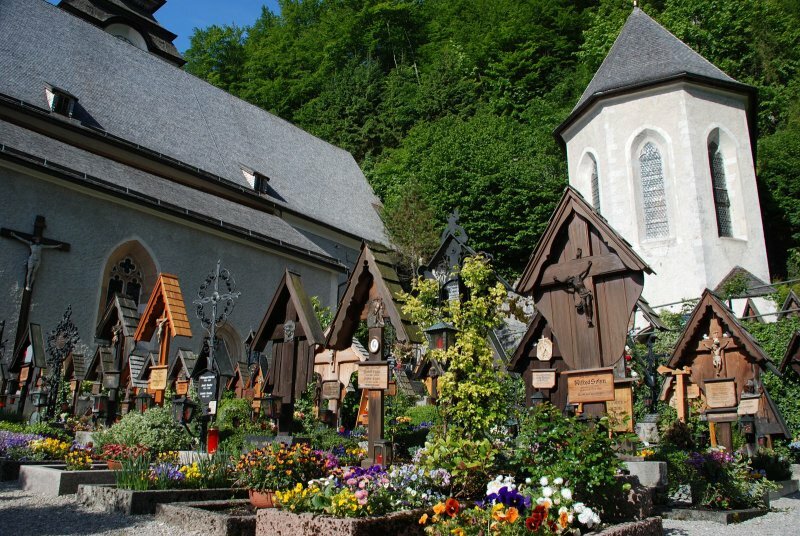 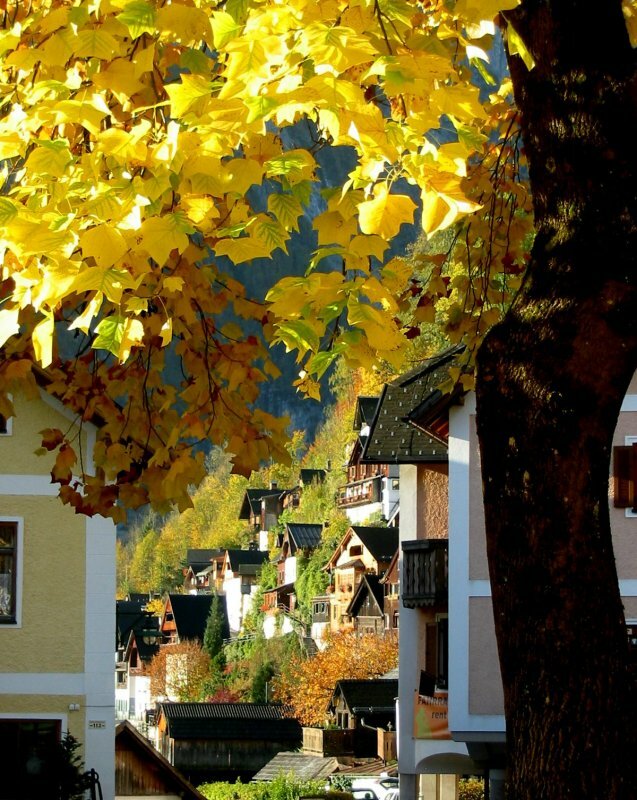 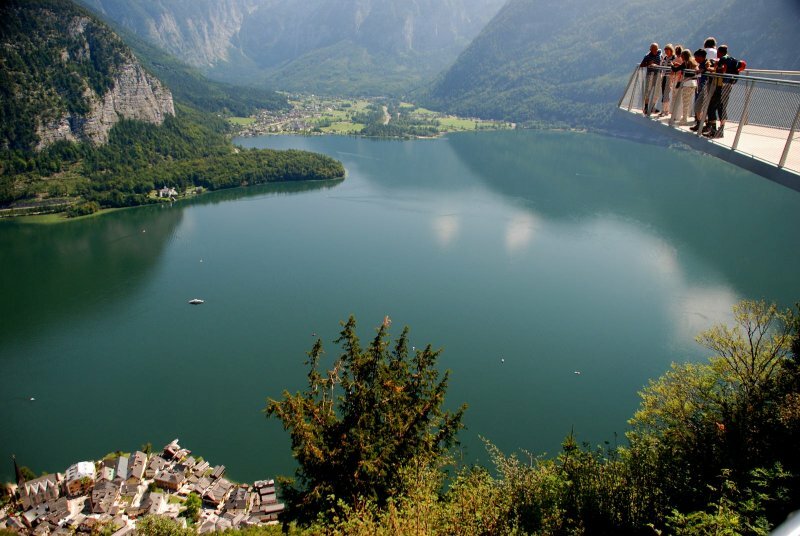 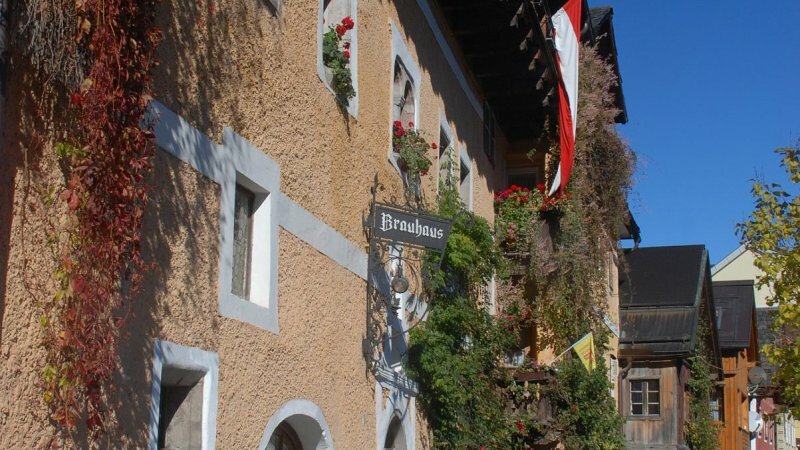 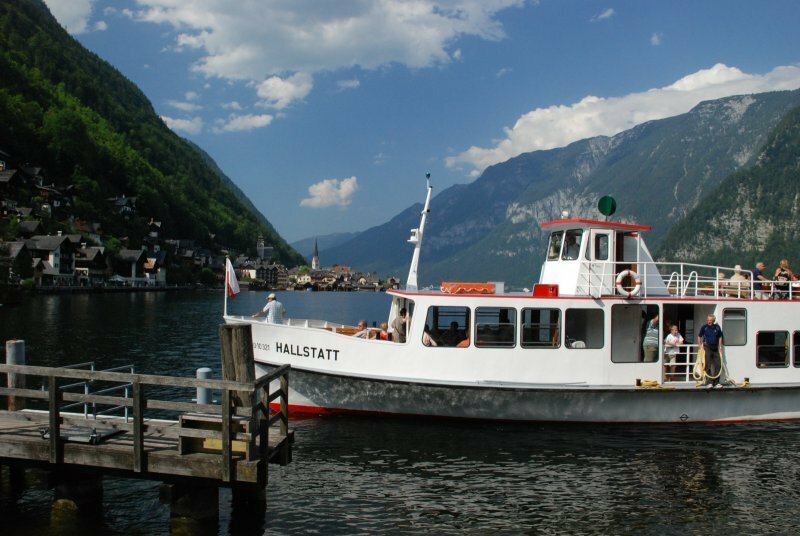 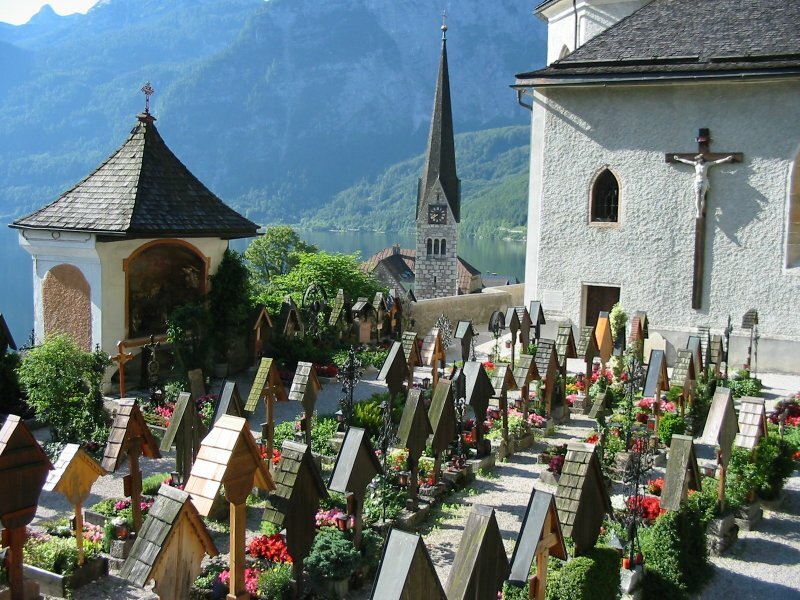 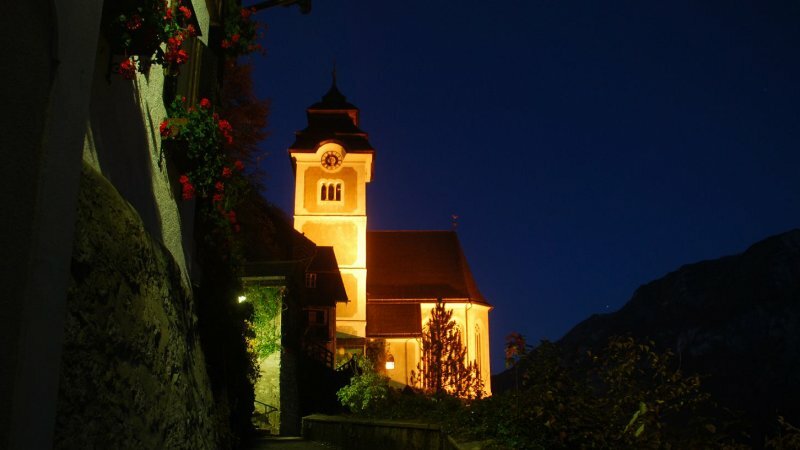 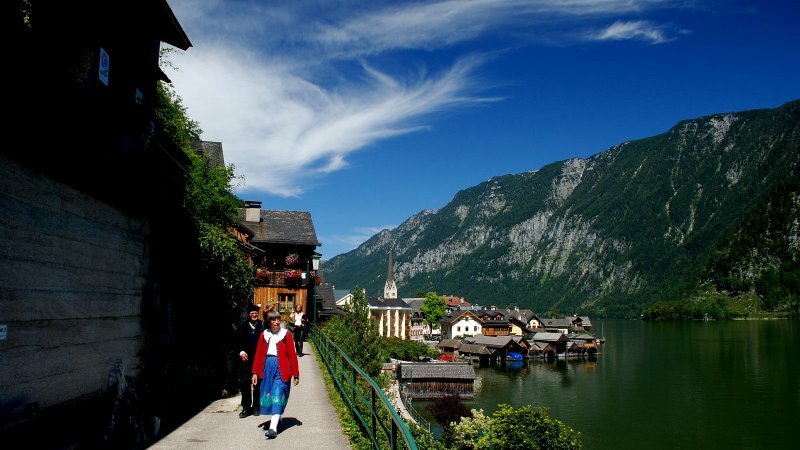 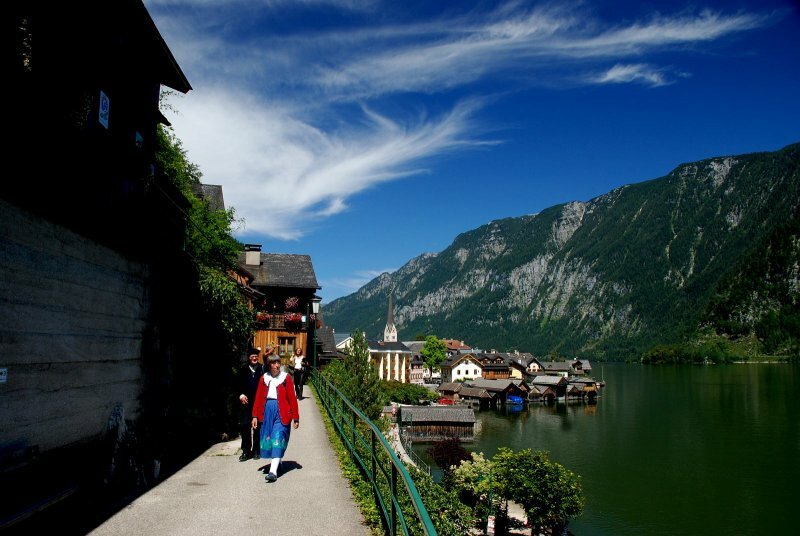 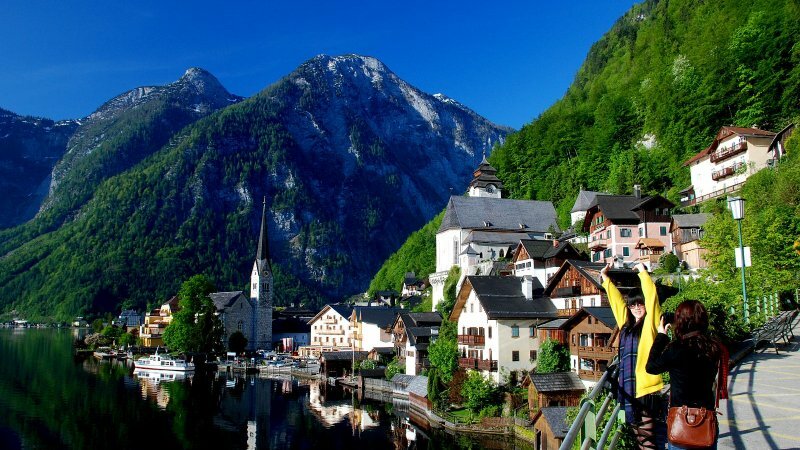 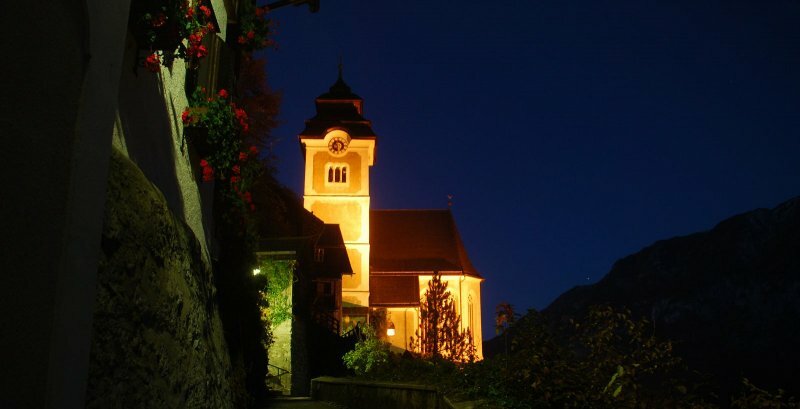 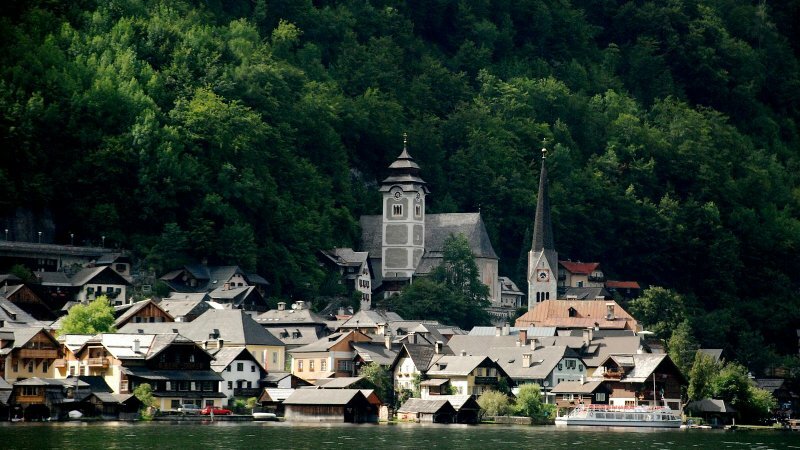 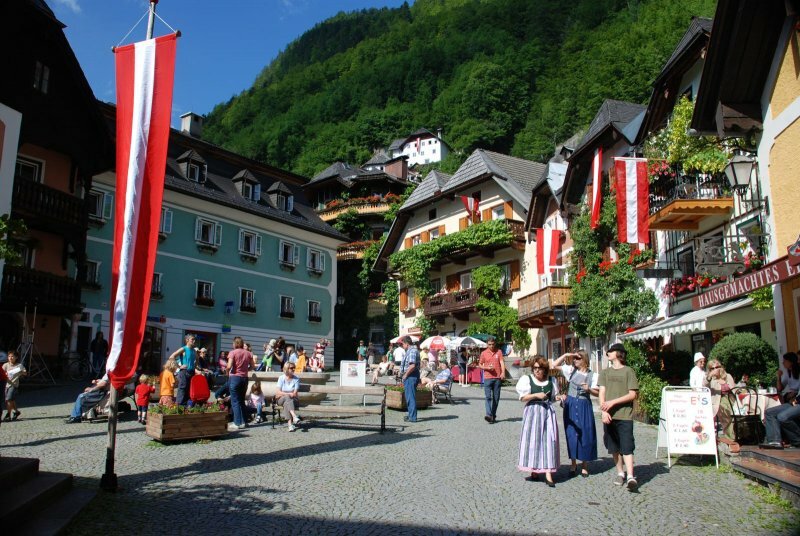 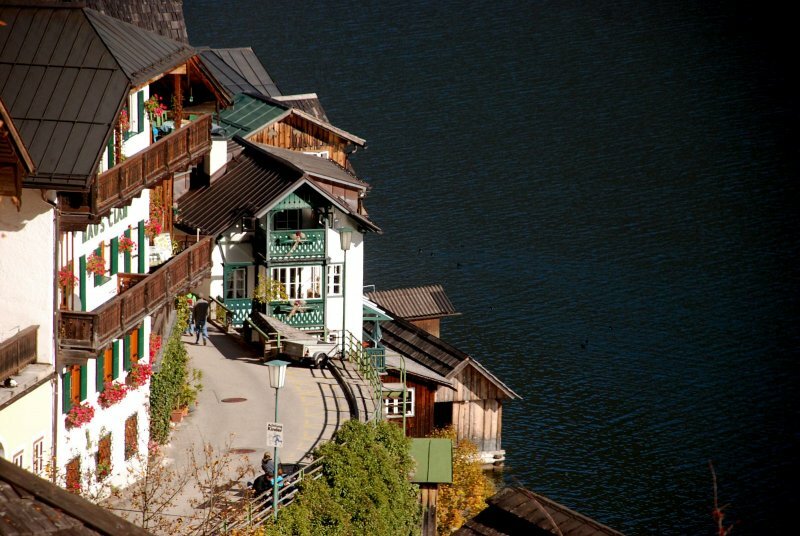 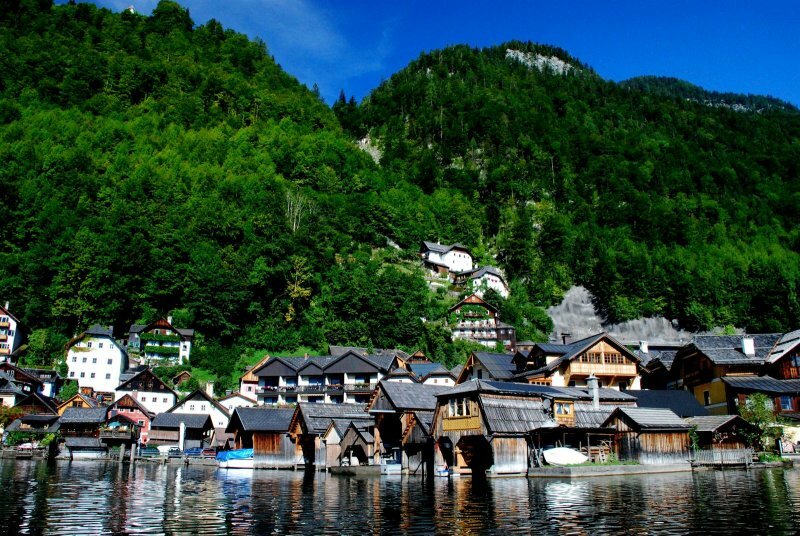 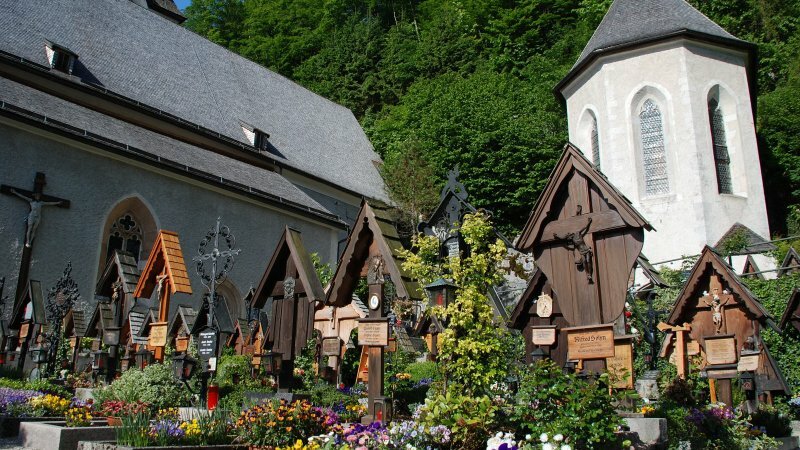 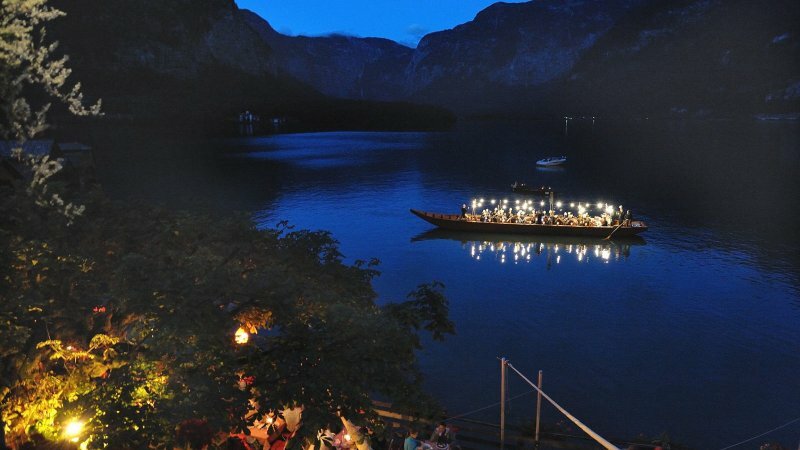 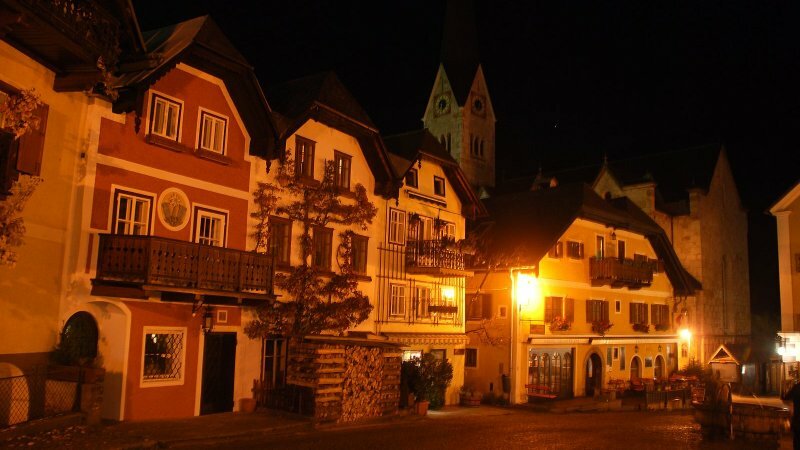 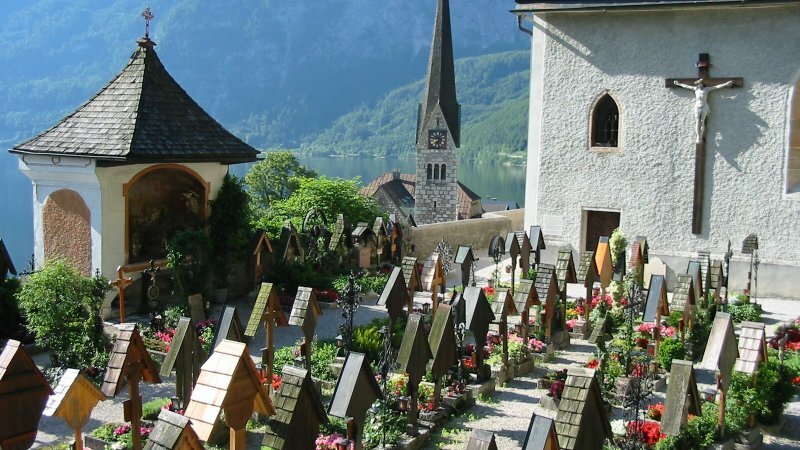 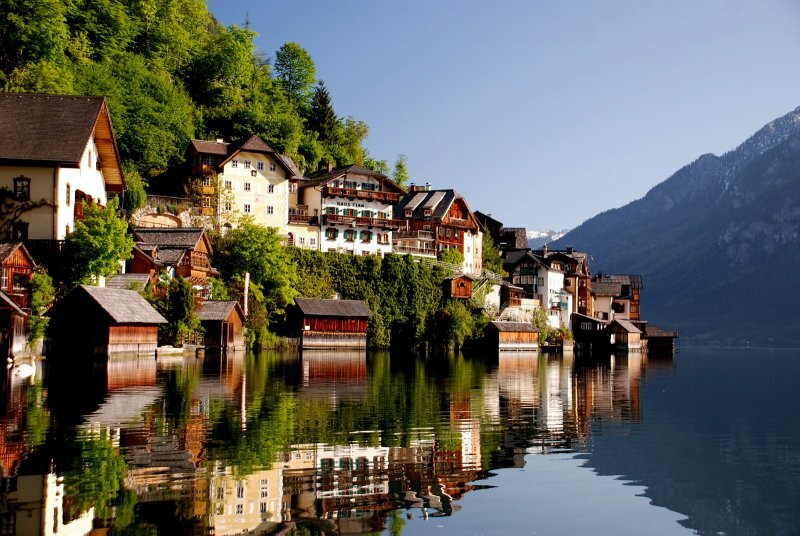 In the evening, numerous cosy inns and restaurants, in the centre of Hallstatt invite you to culinary excursions. 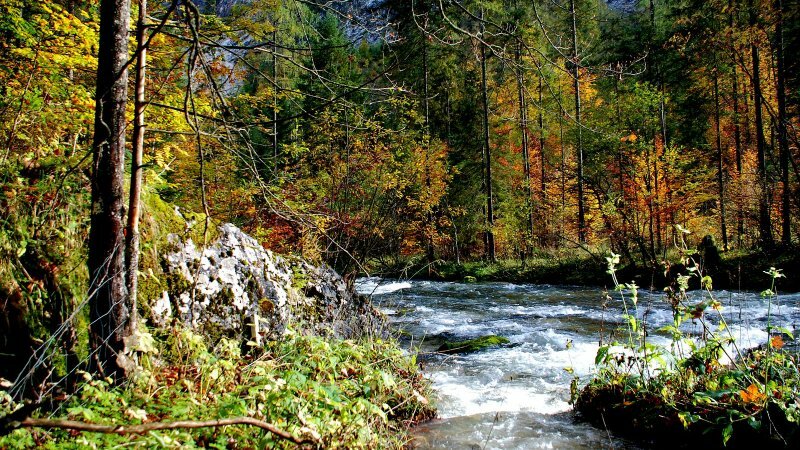 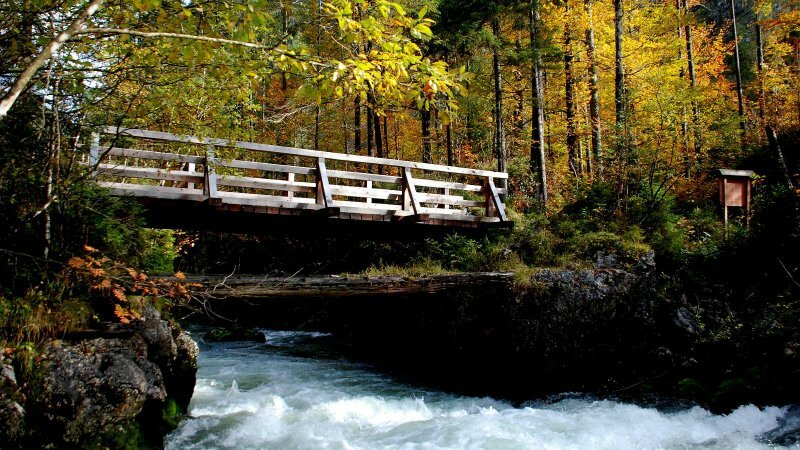 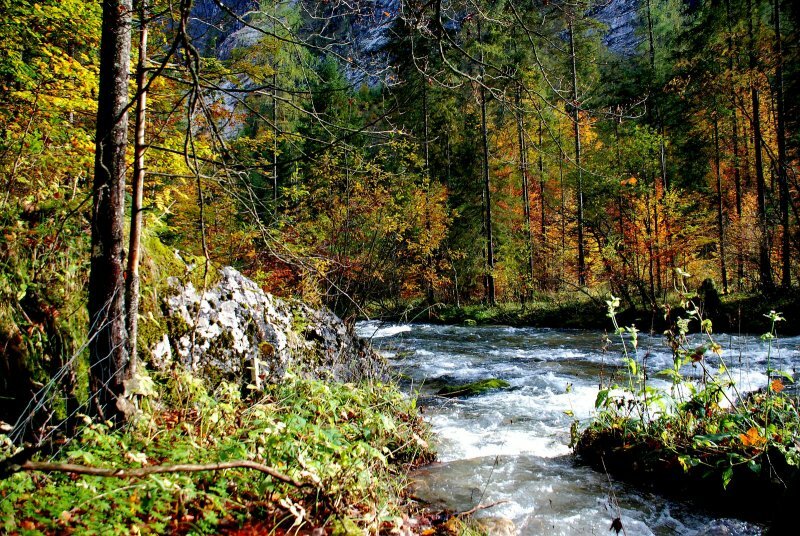 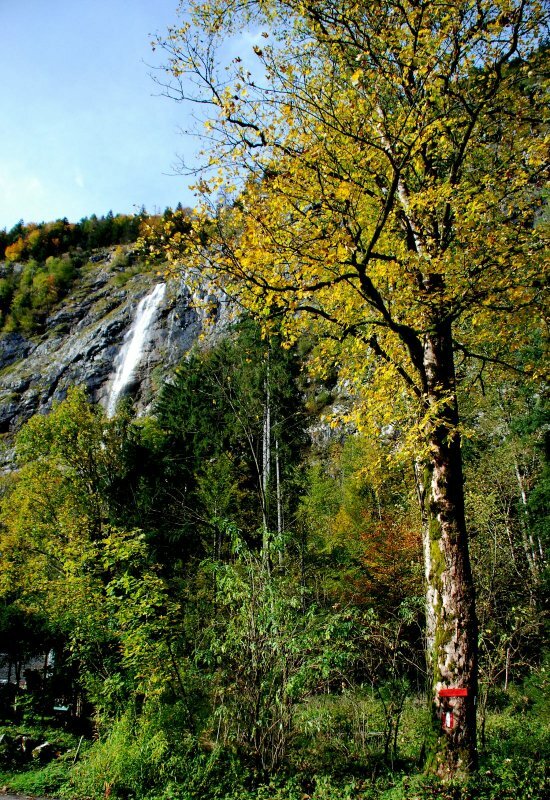 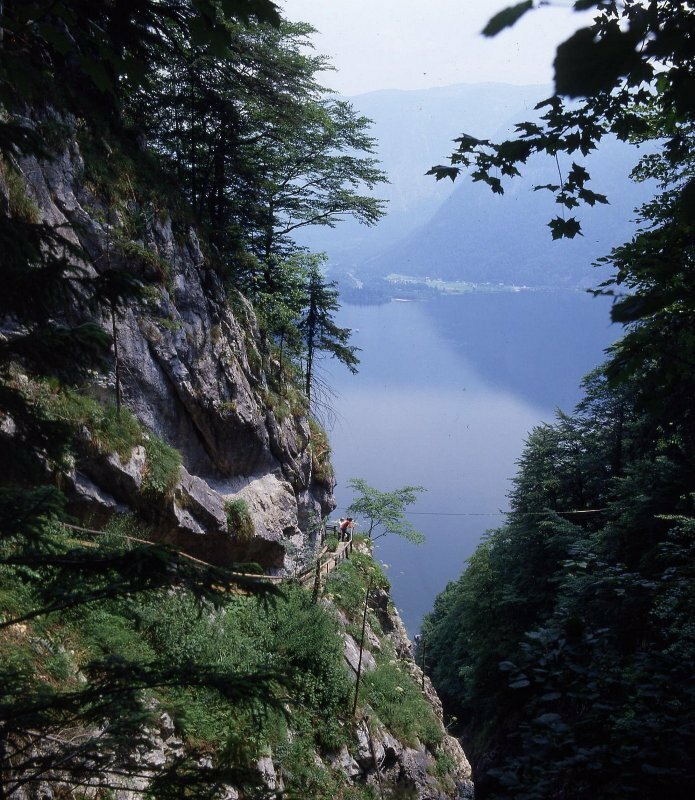 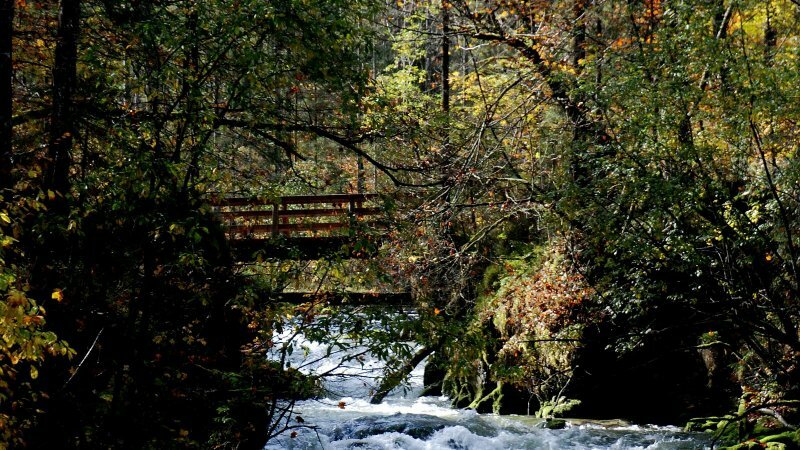 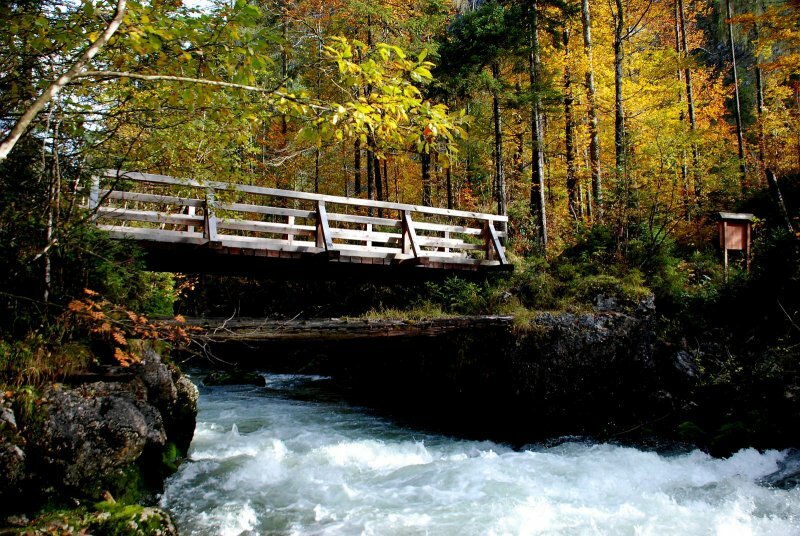 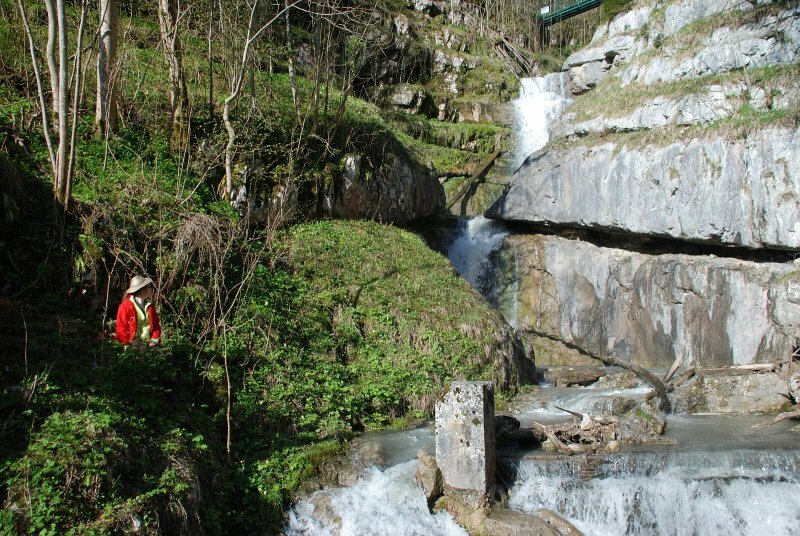 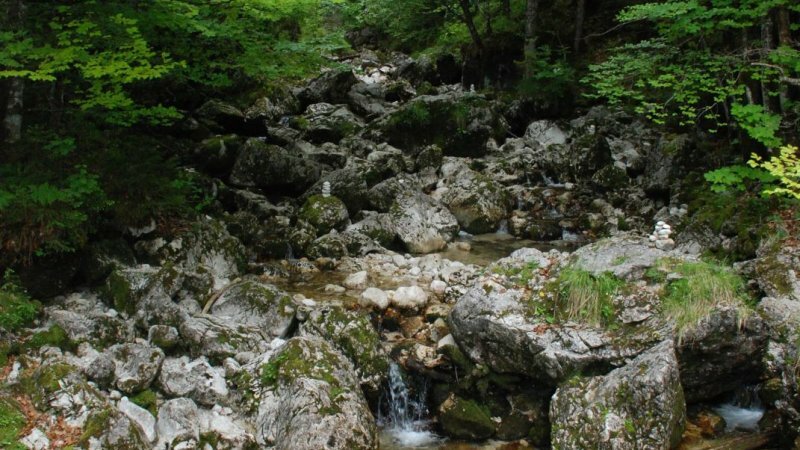 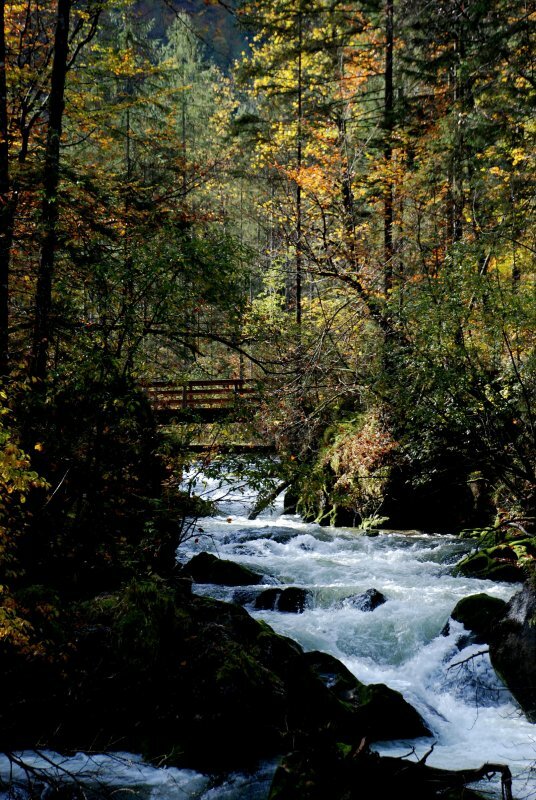 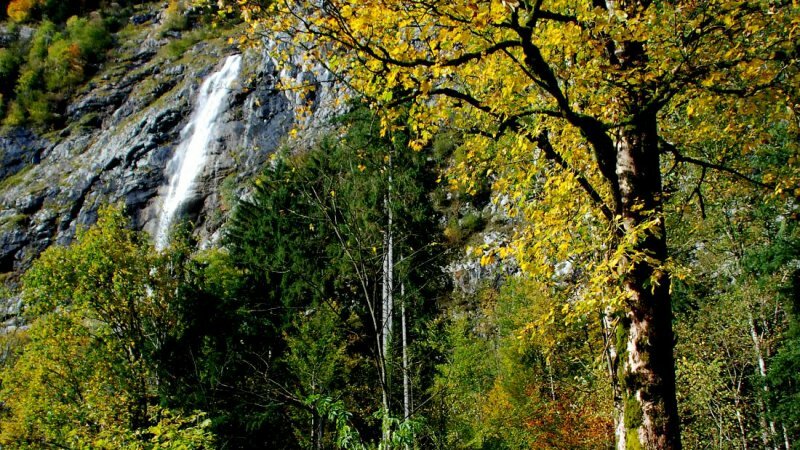 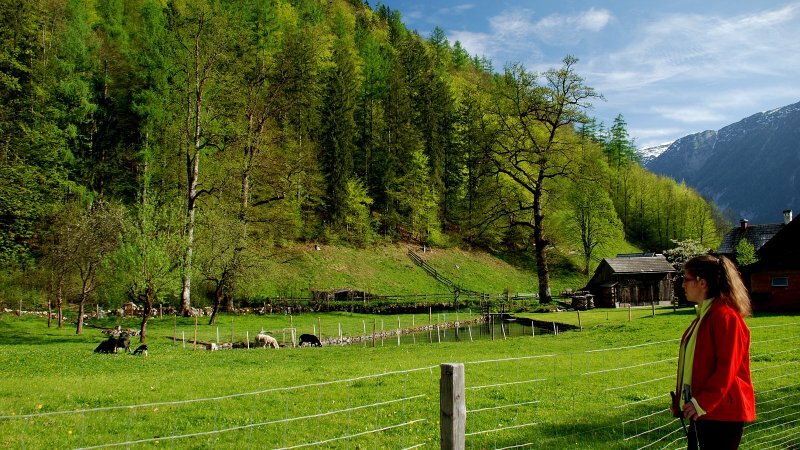 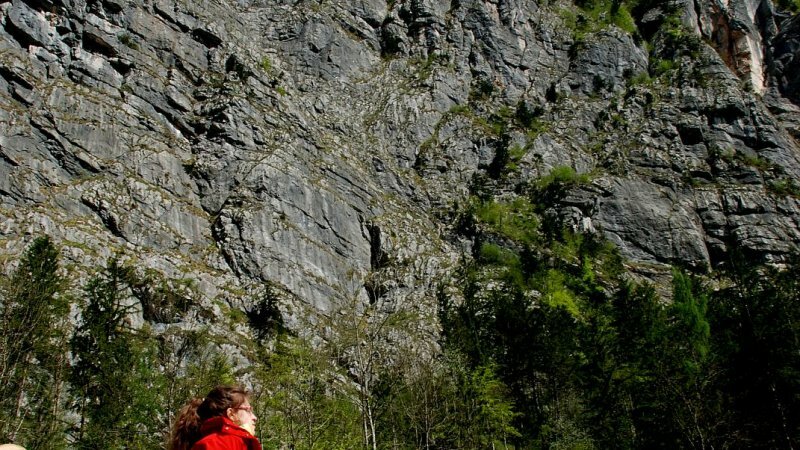 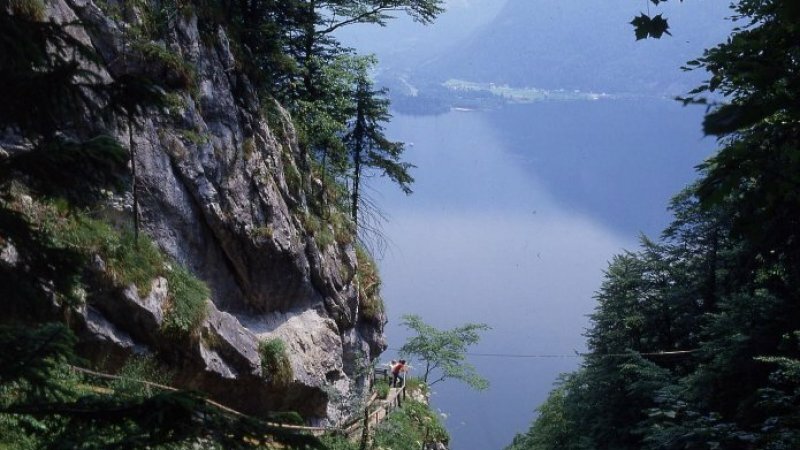 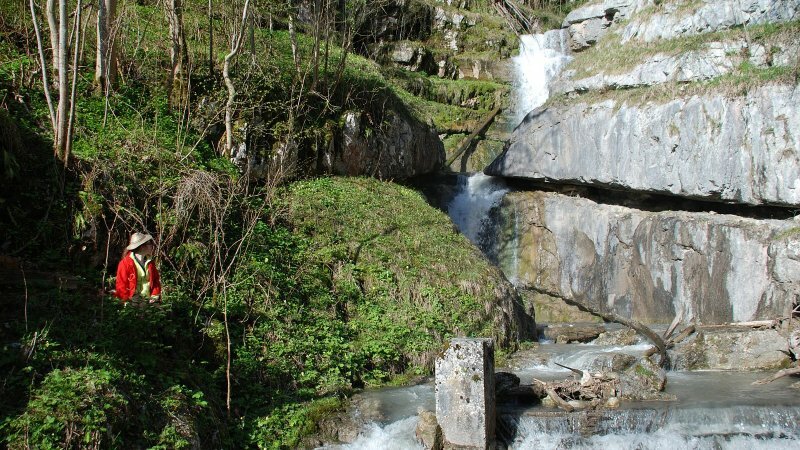 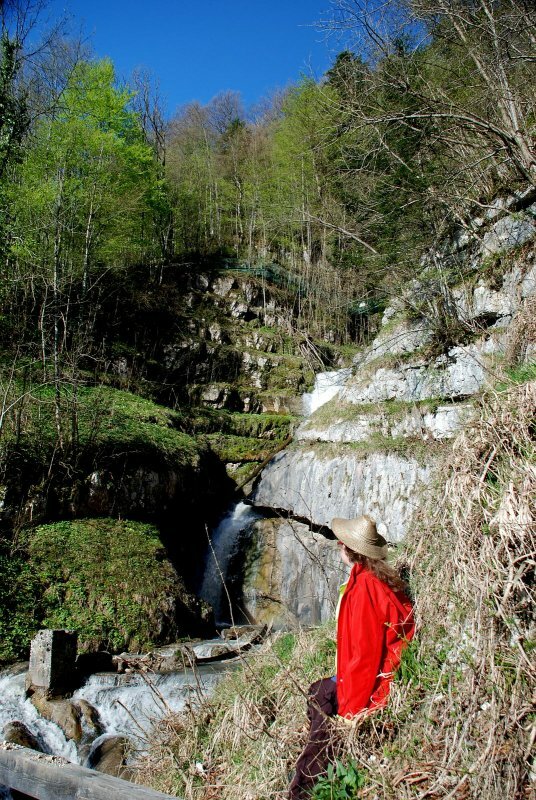 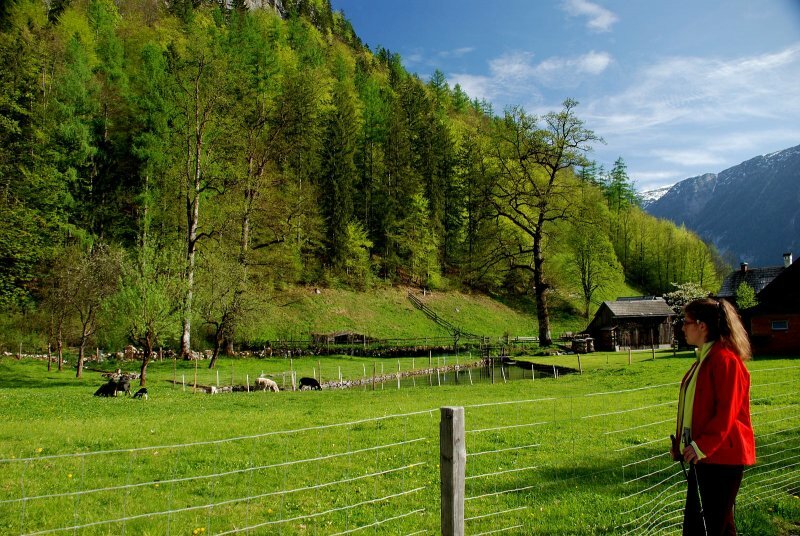 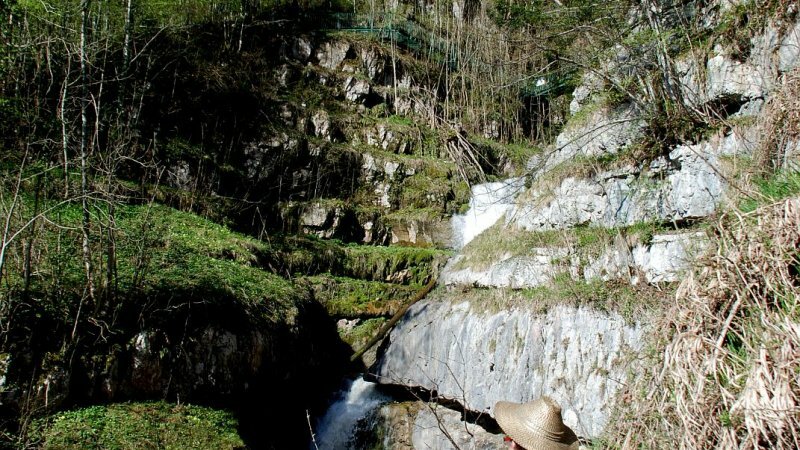 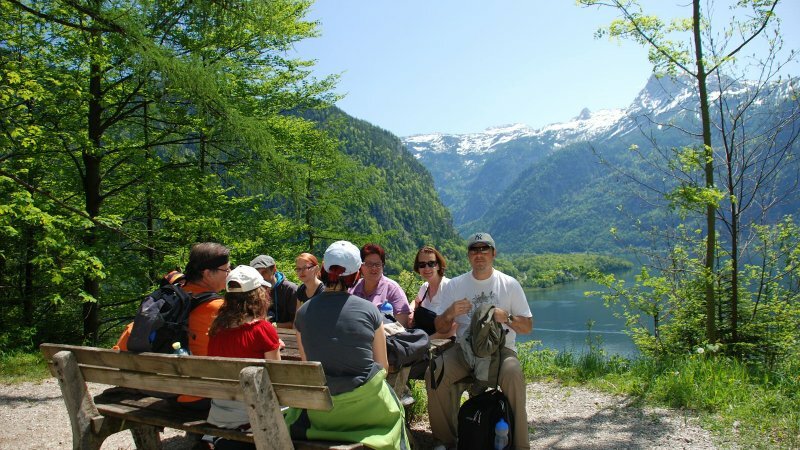 And those who like it sporty, we recommend the extensive program of activities the Echerntal has to offer; from Glacier Garden, waterfalls to mountain climbing - all on your doorstep! 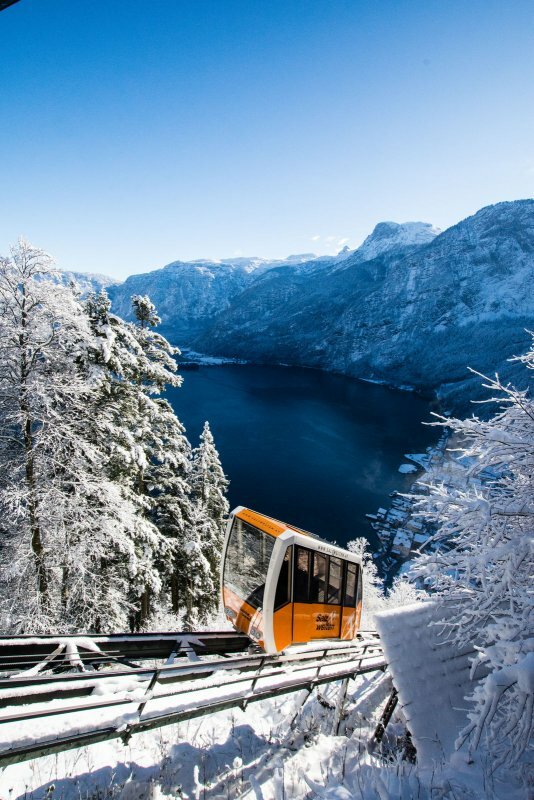 In winter, the two major ski areas of Dachstein West in Gosau and the FreeSportsArena in Obertraun offer unlimited skiing pleasure. 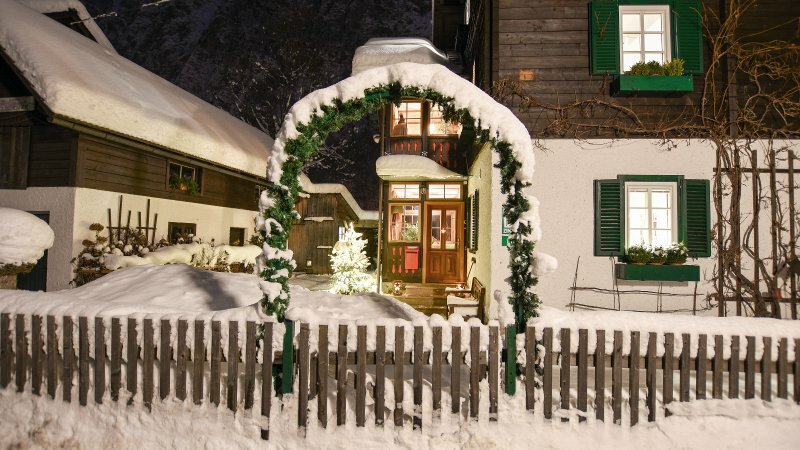 Also cross-country skiing or snowshoeing is highly regarded with guests from around the world, during a holiday in the snow! 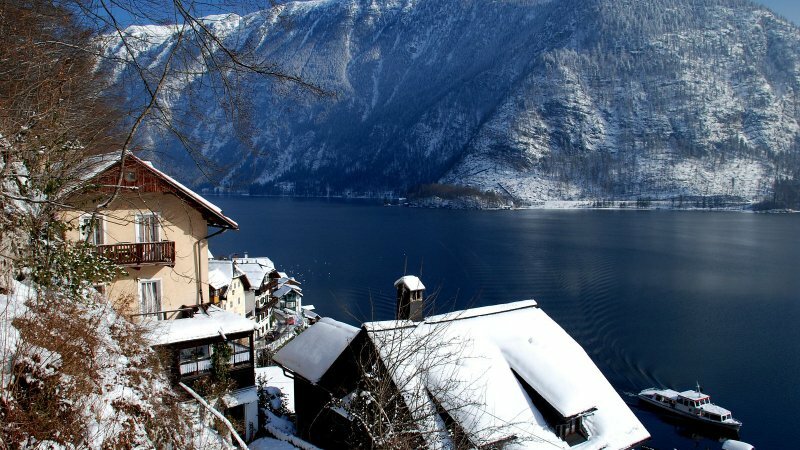 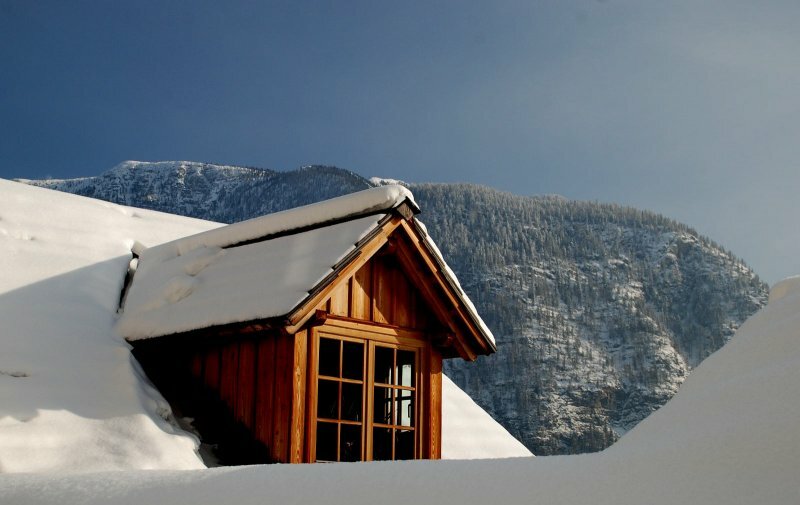 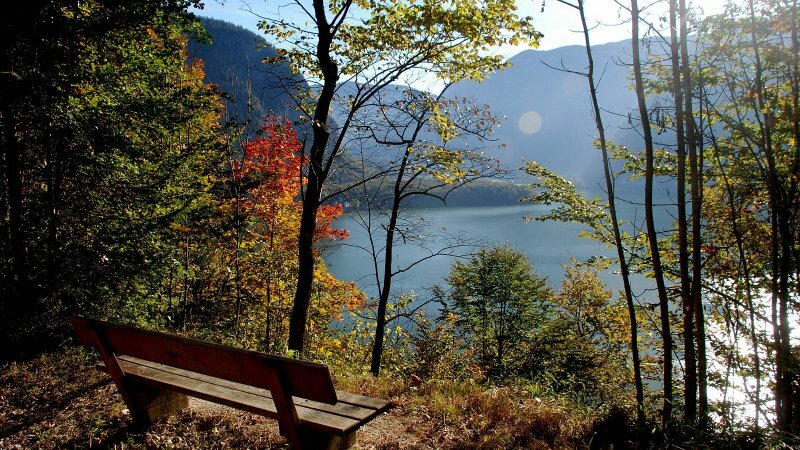 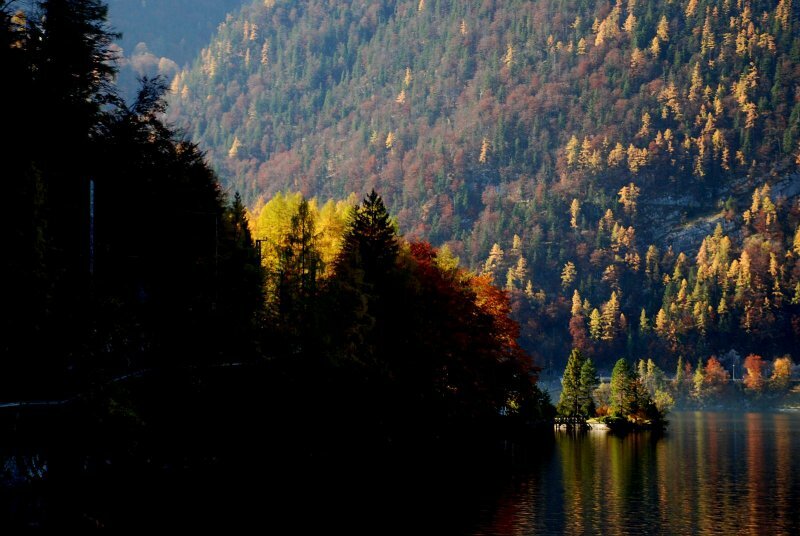 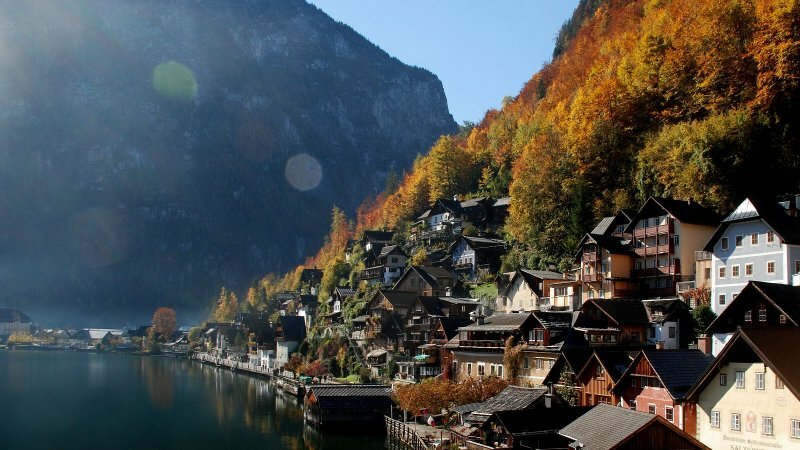 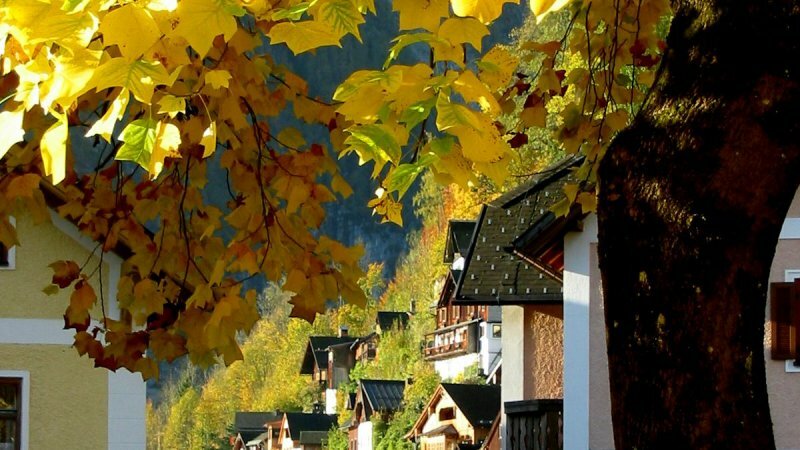 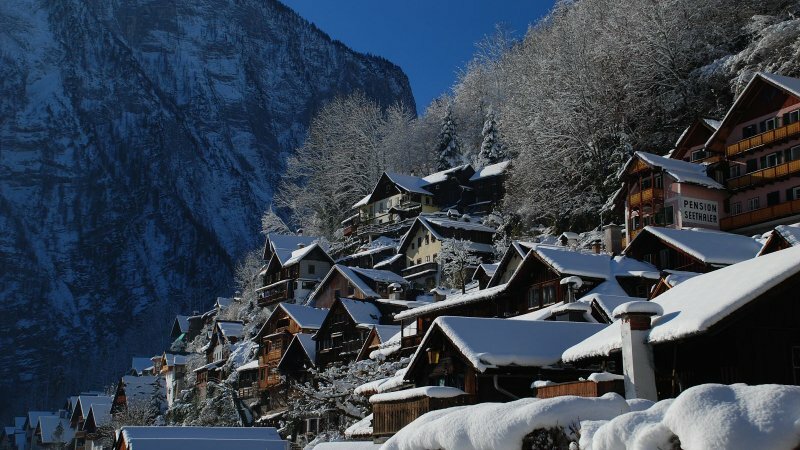 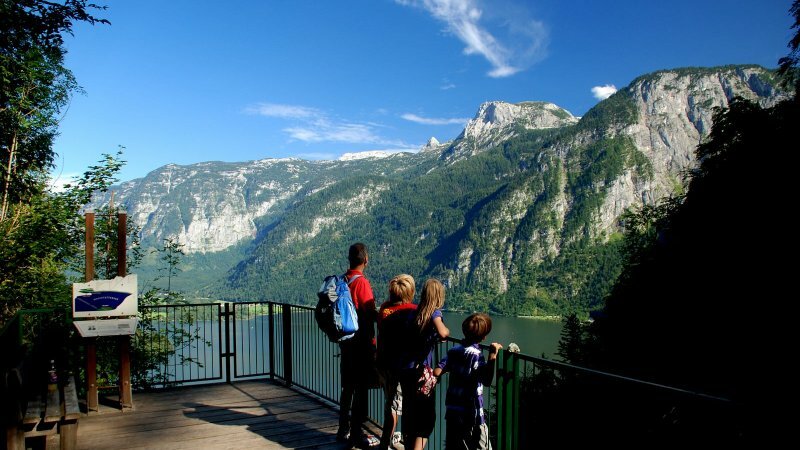 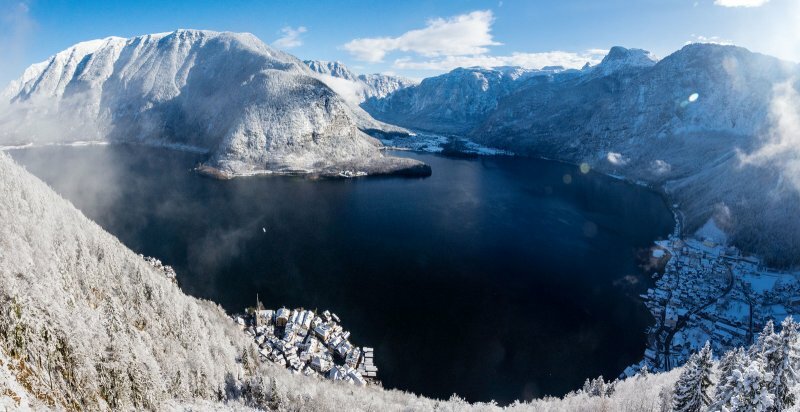 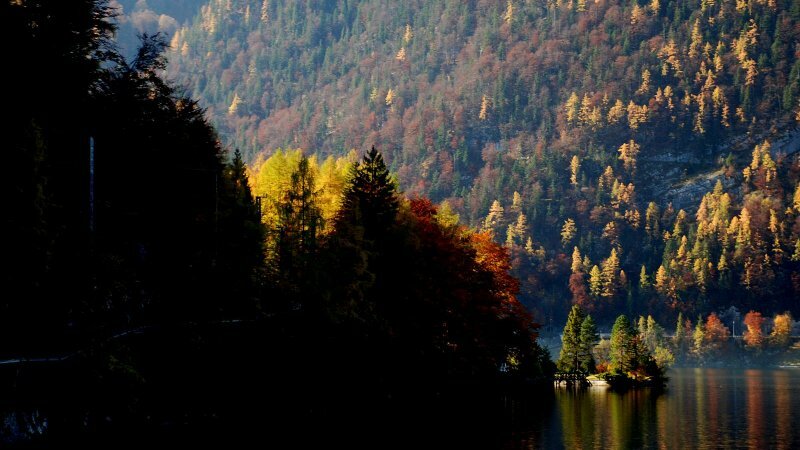 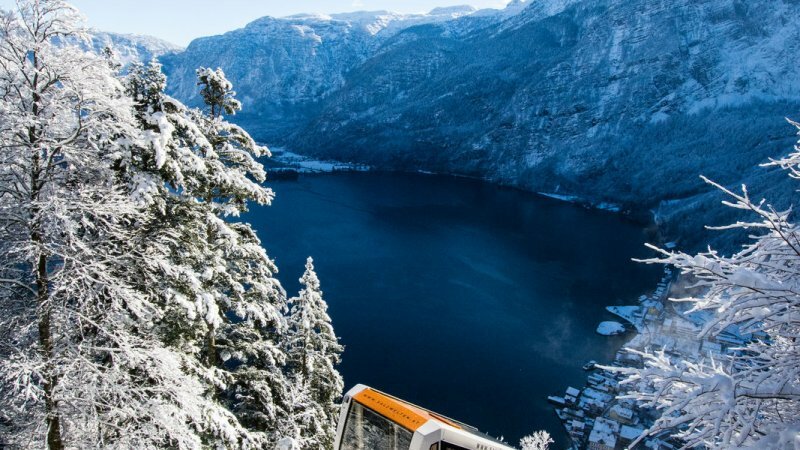 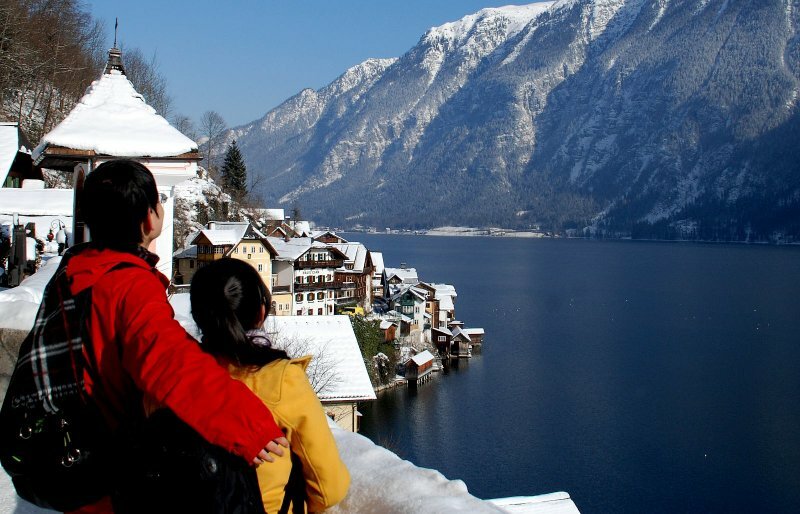 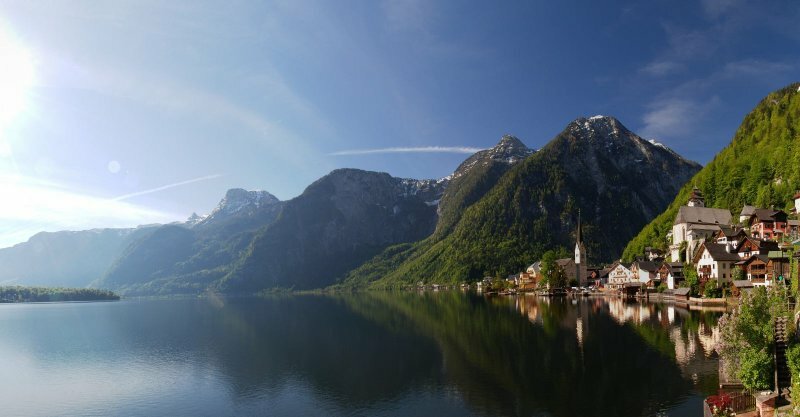 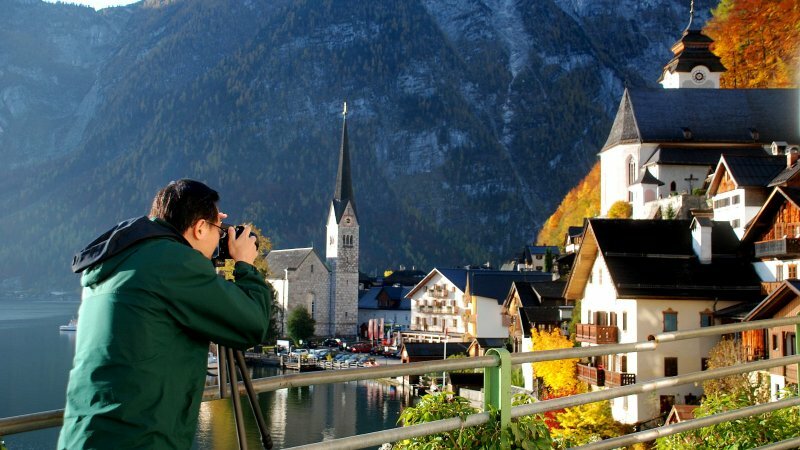 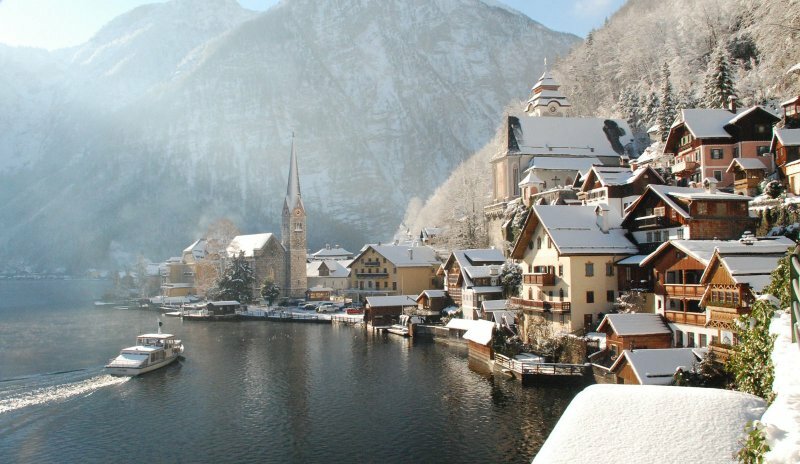 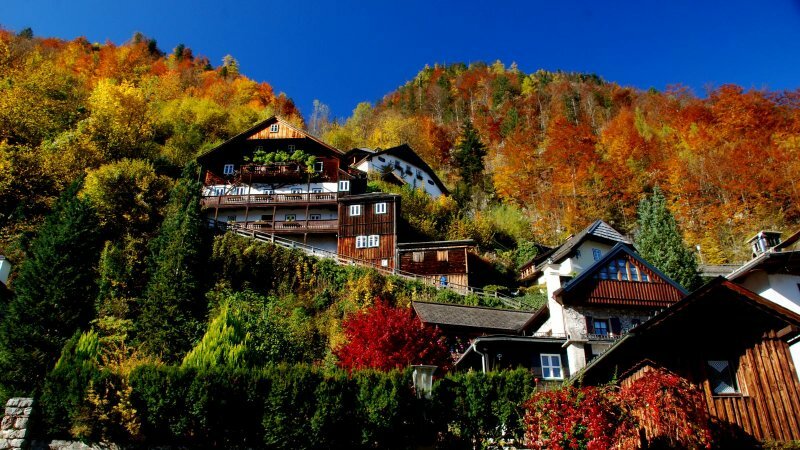 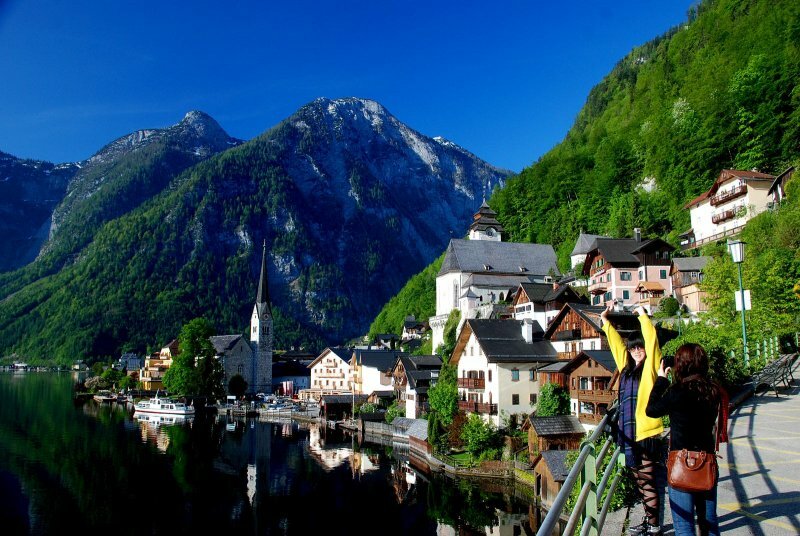 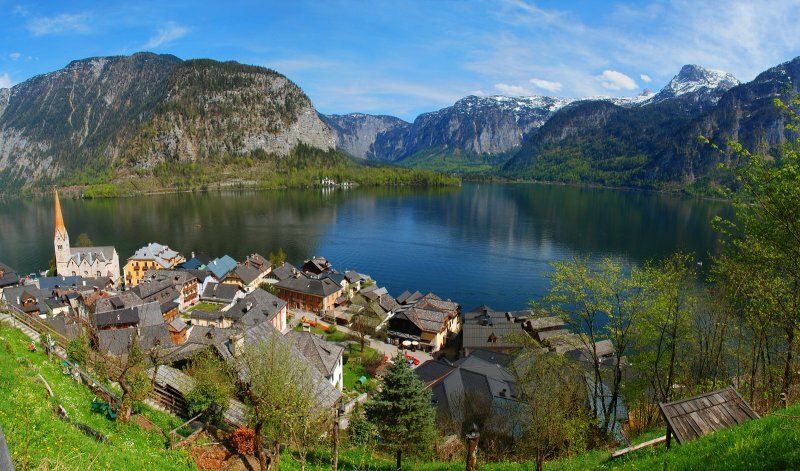 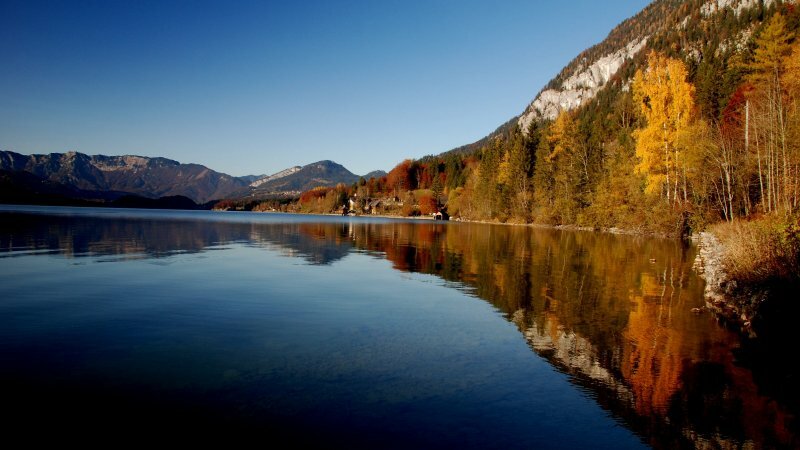 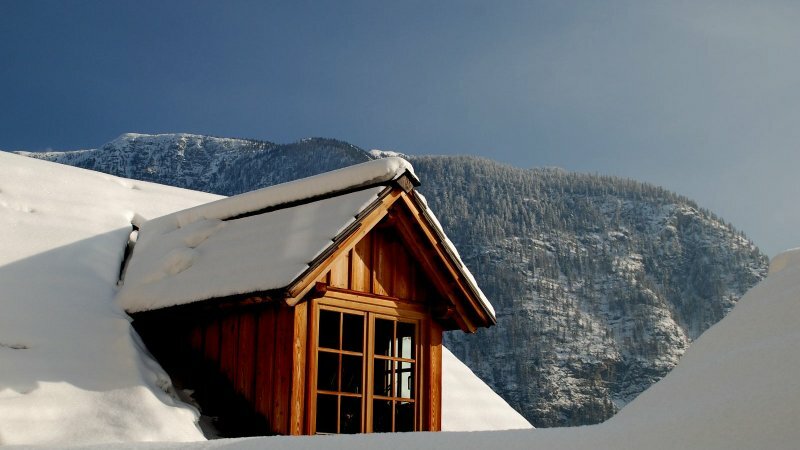 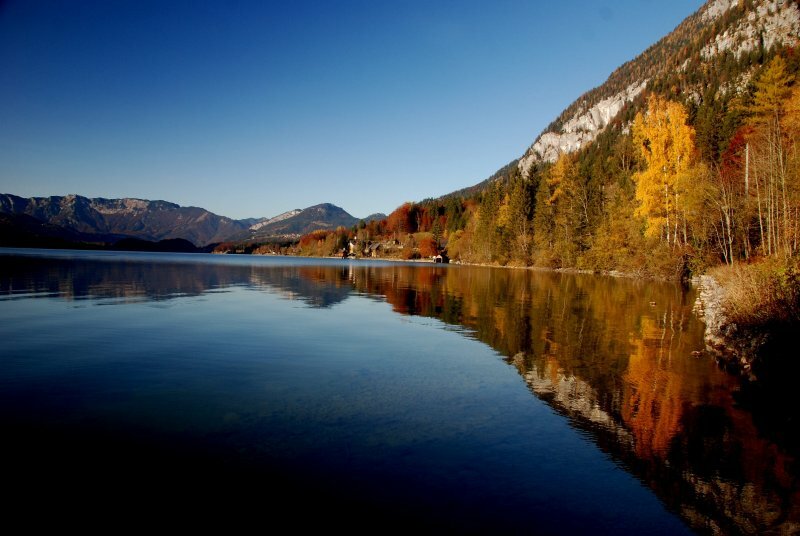 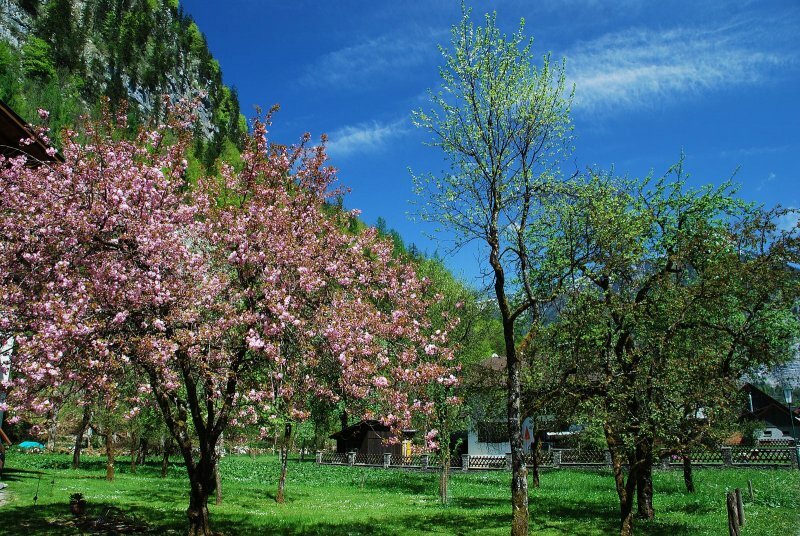 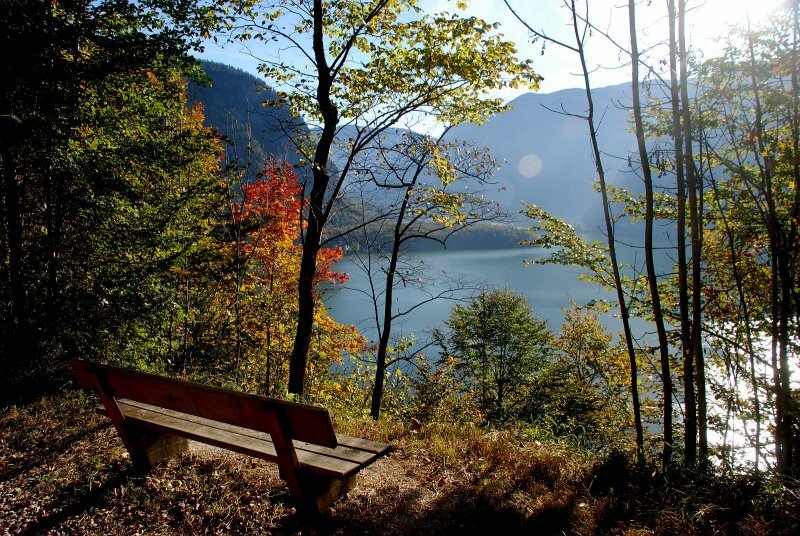 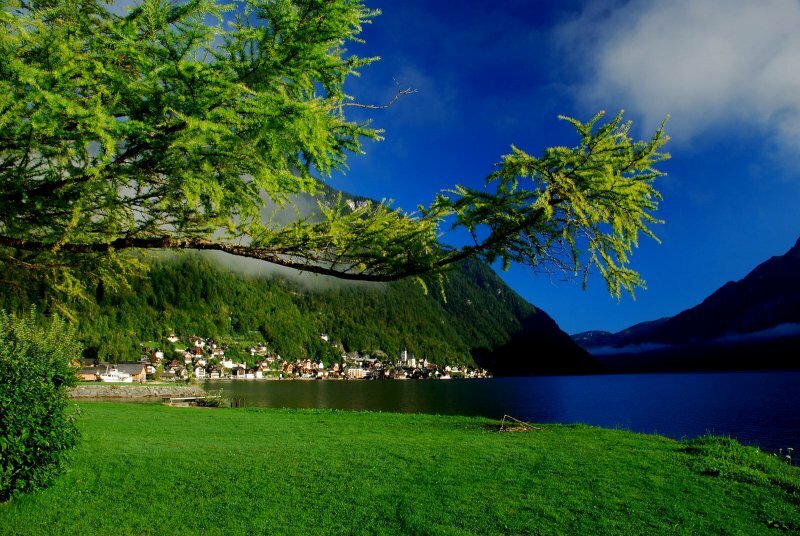 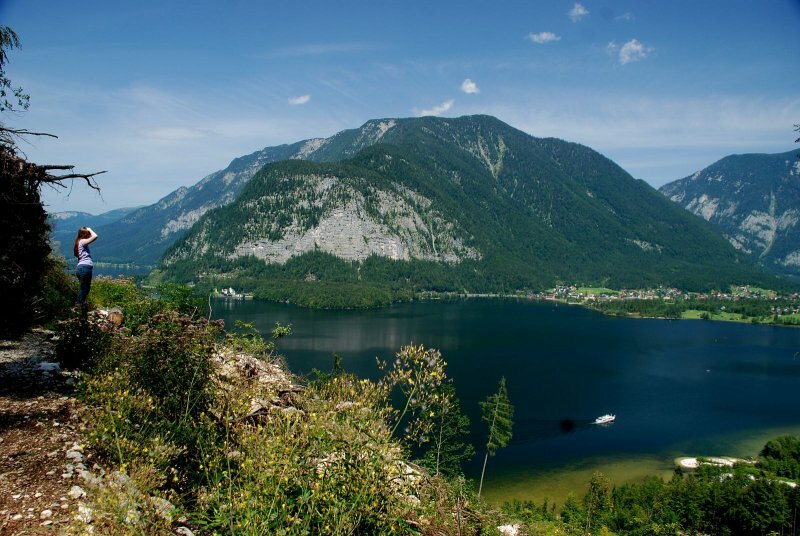 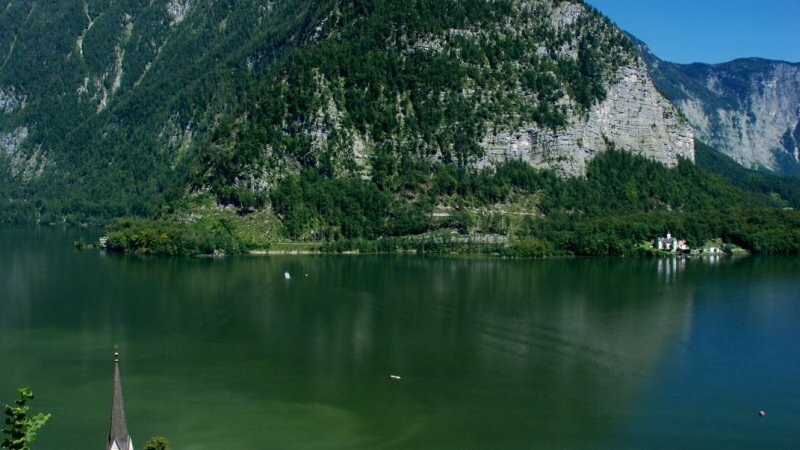 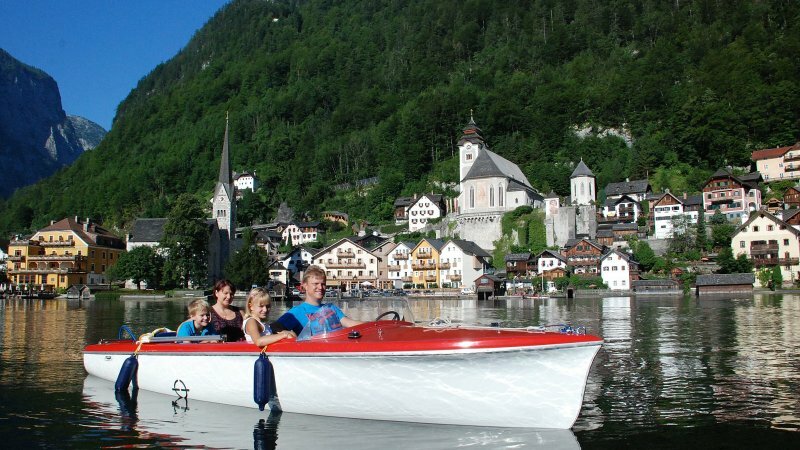 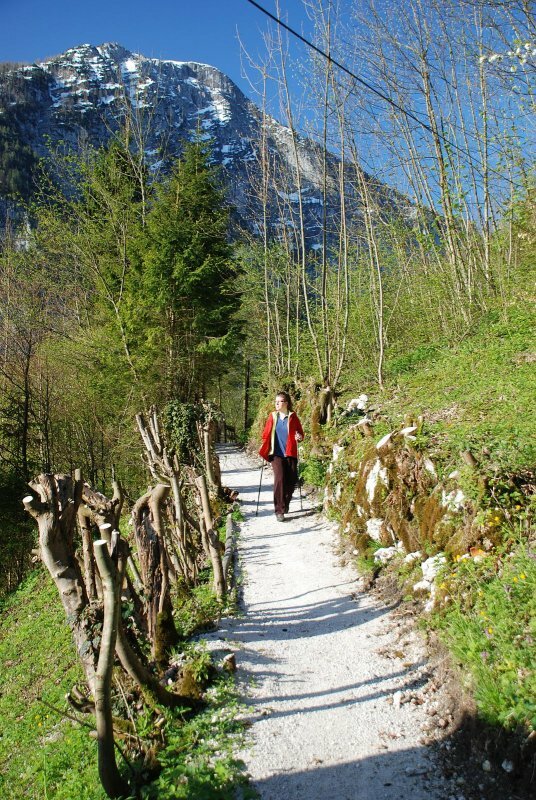 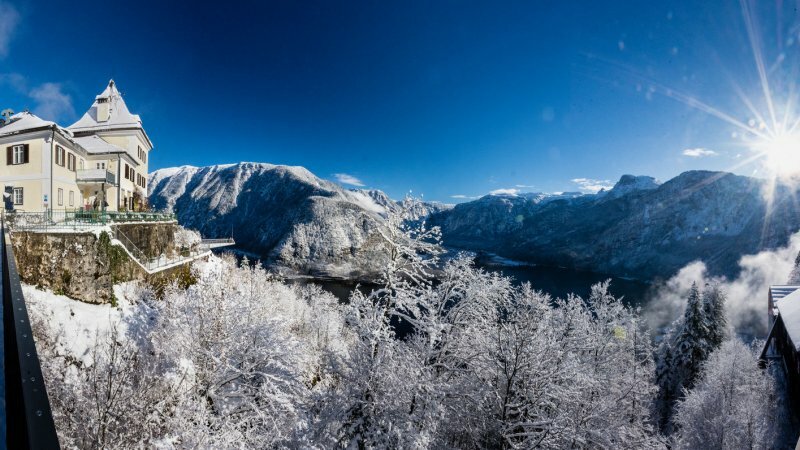 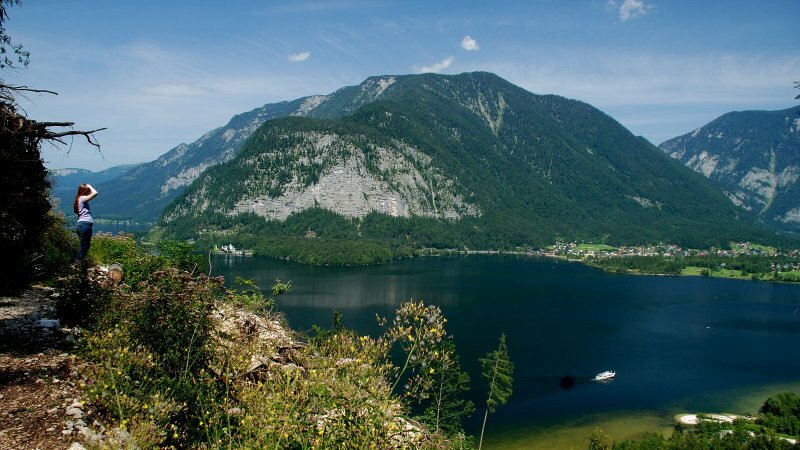 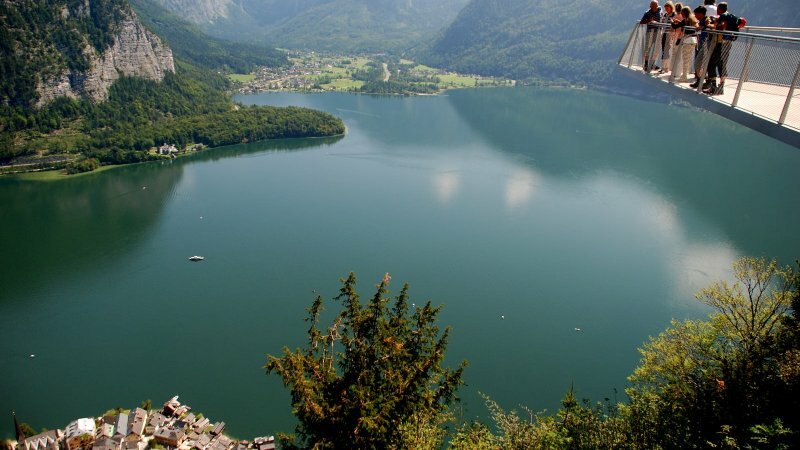 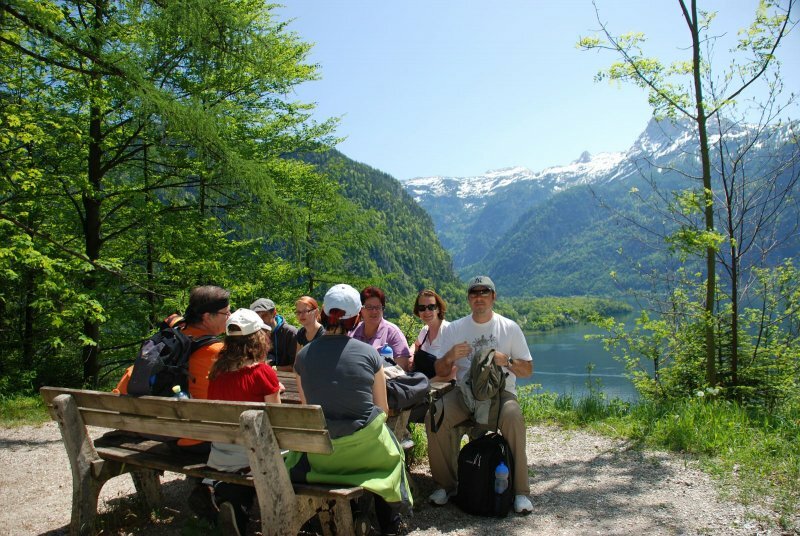 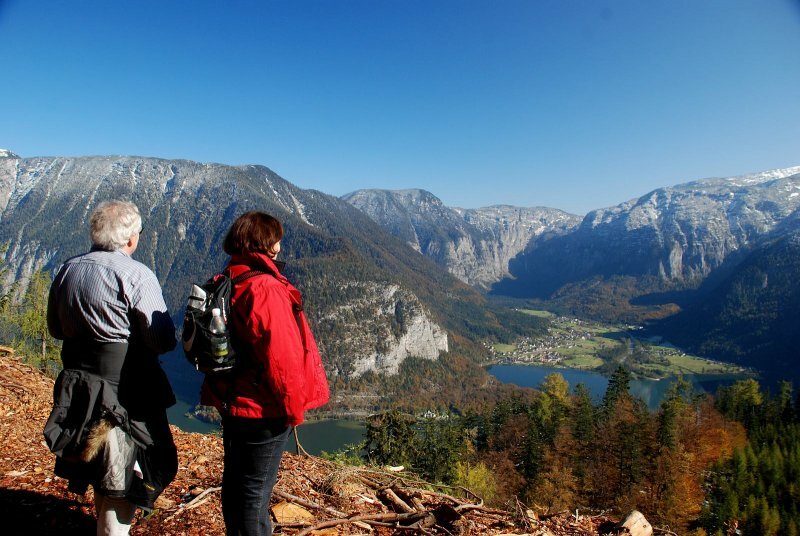 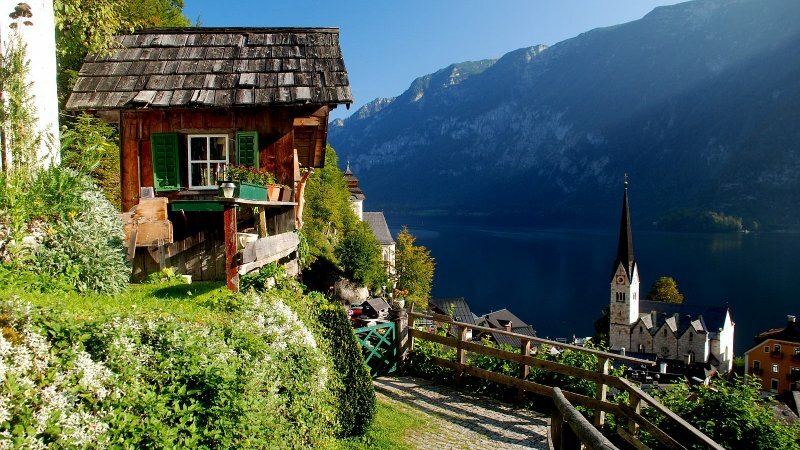 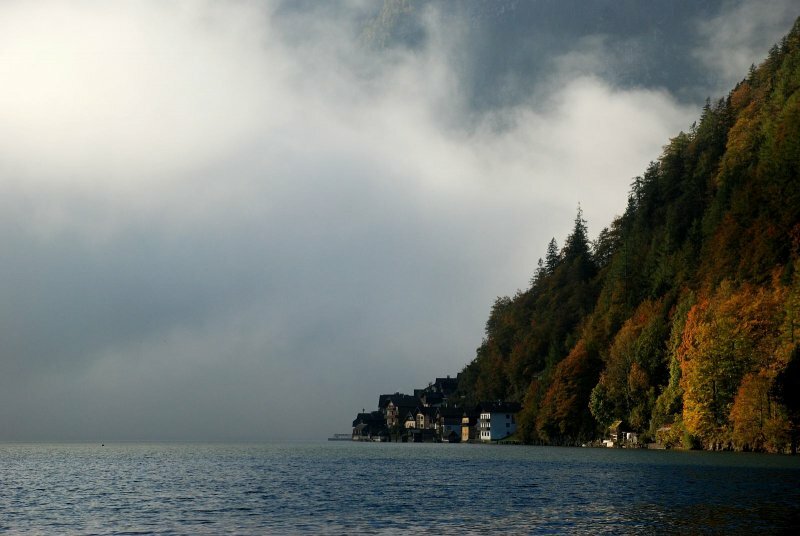 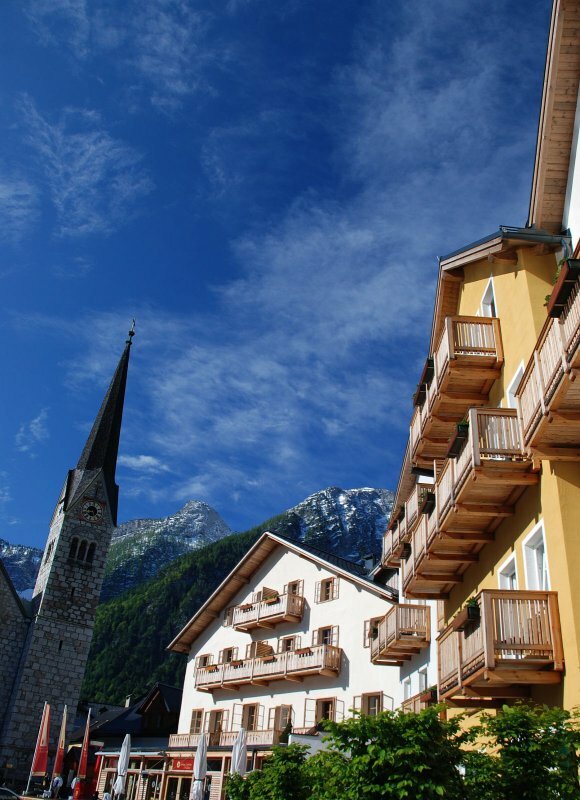 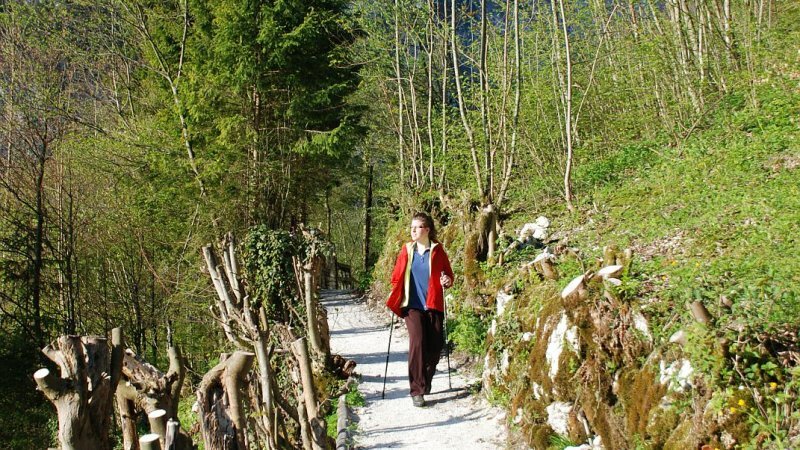 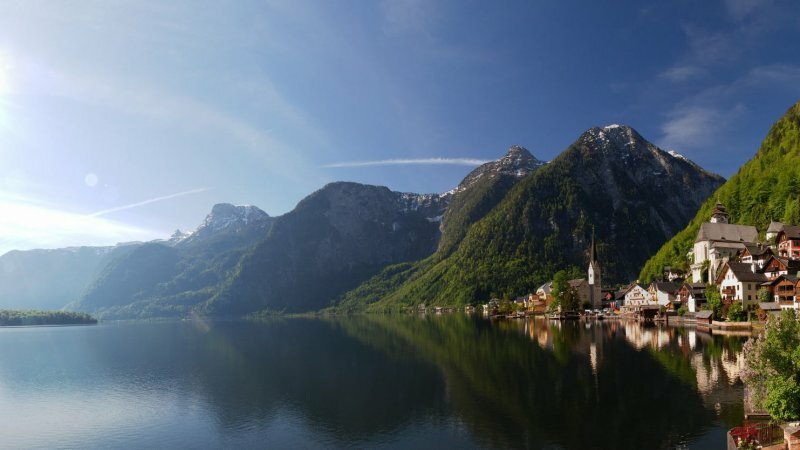 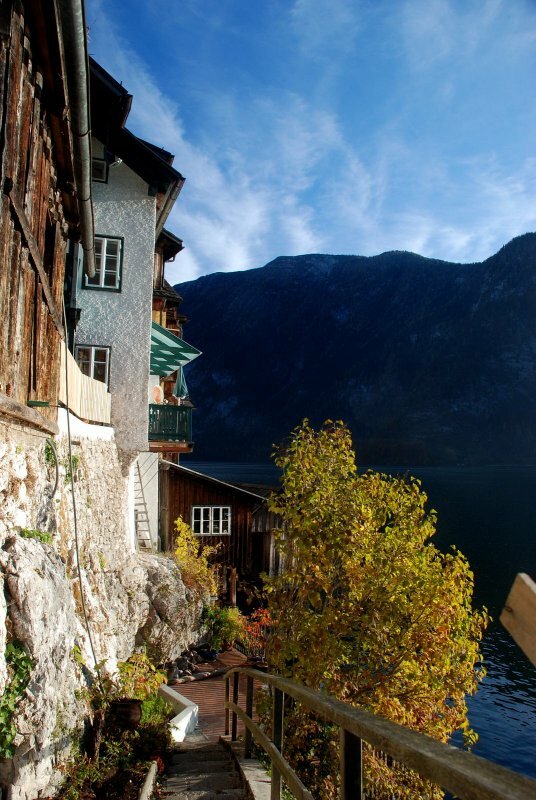 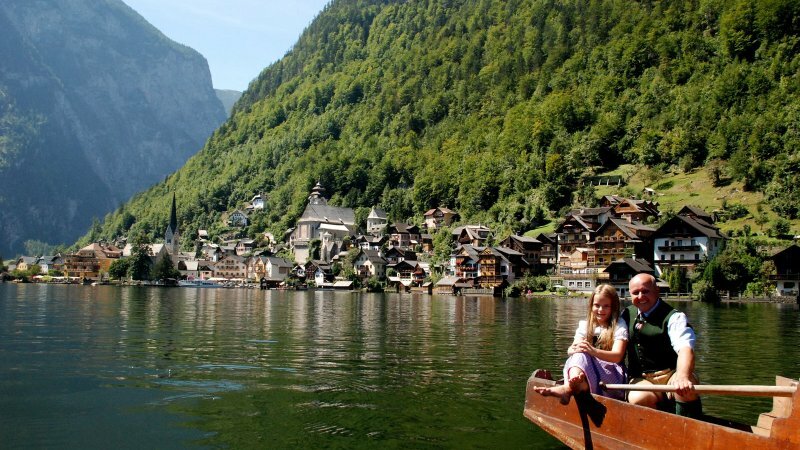 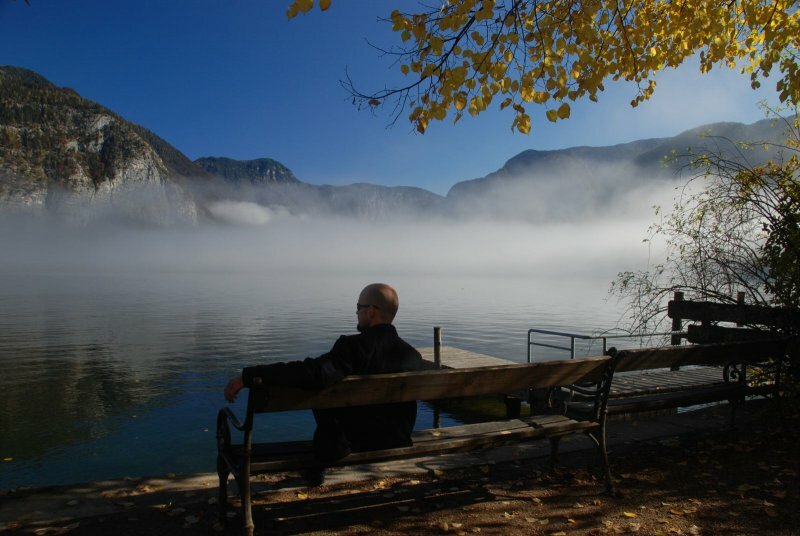 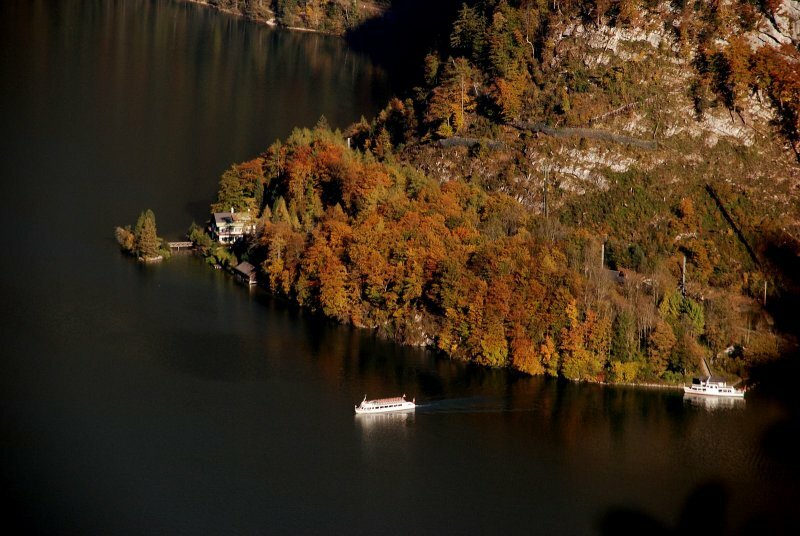 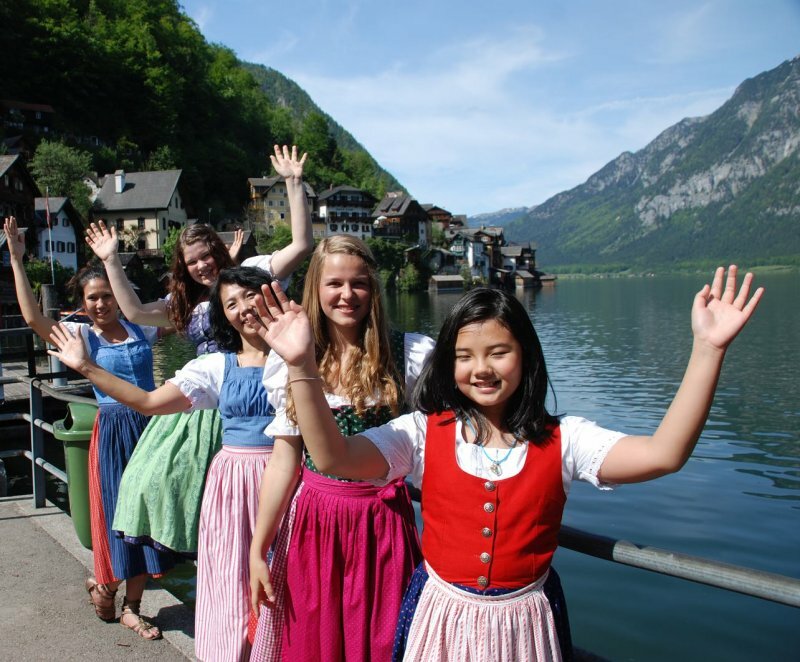 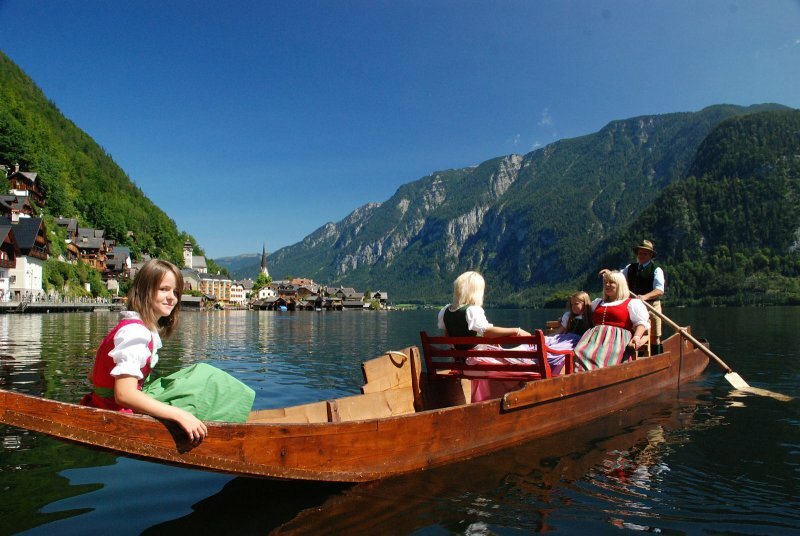 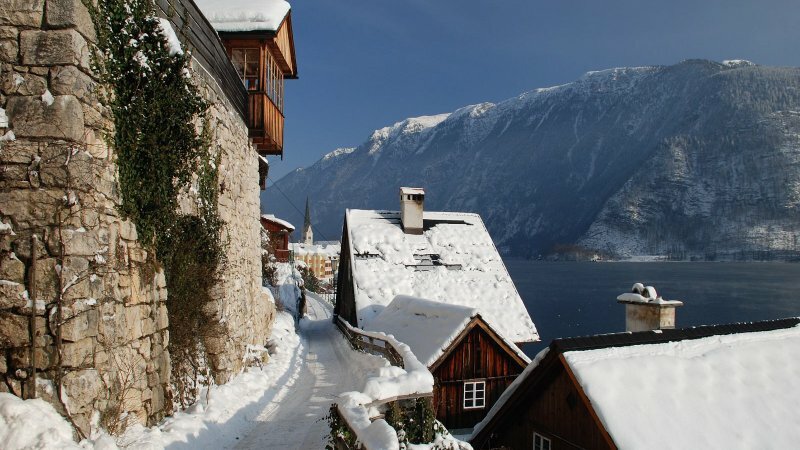 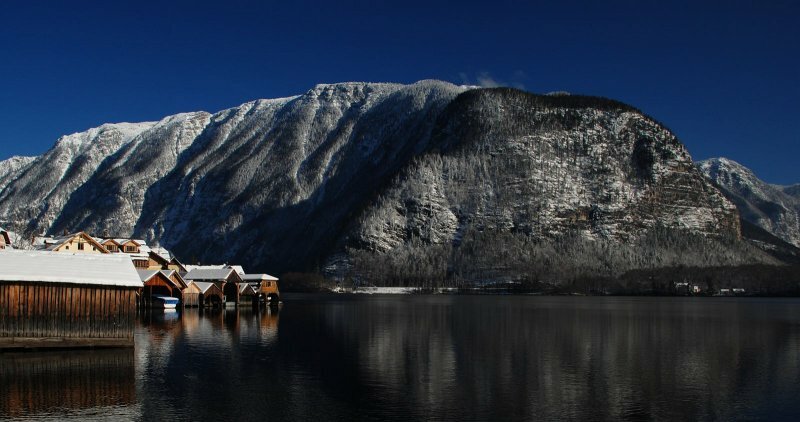 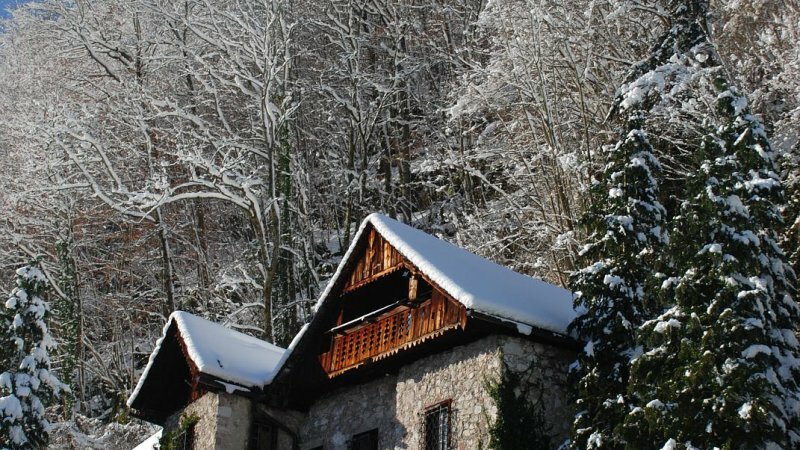 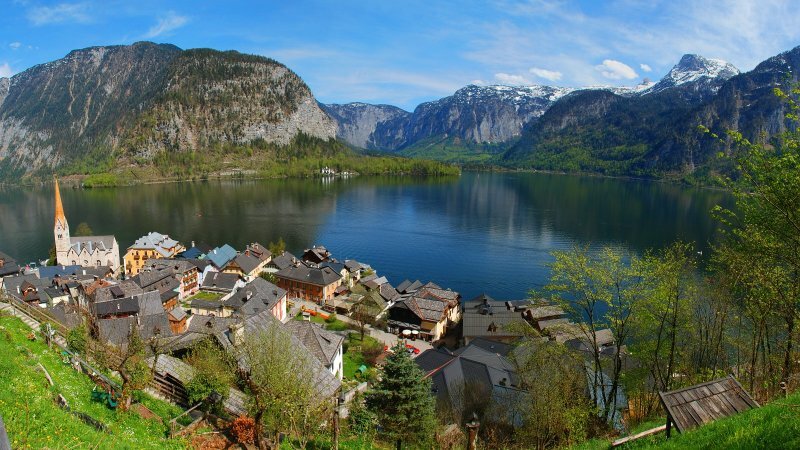 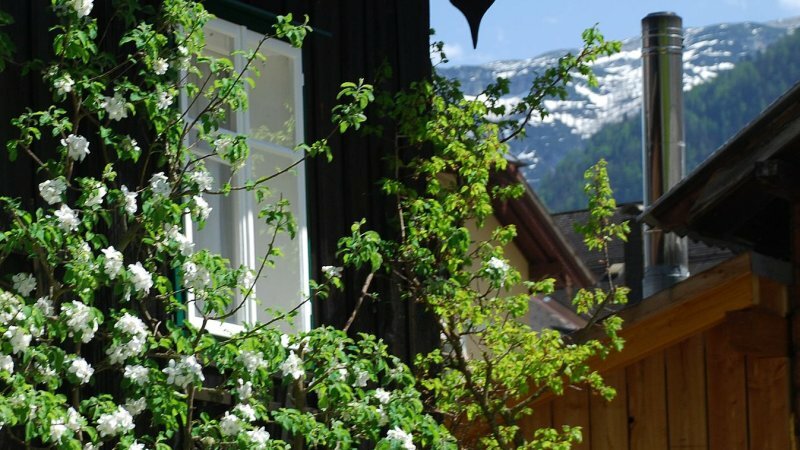 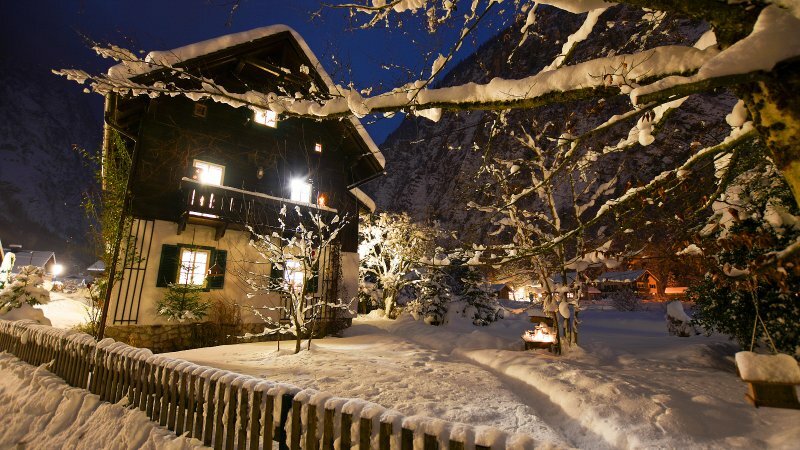 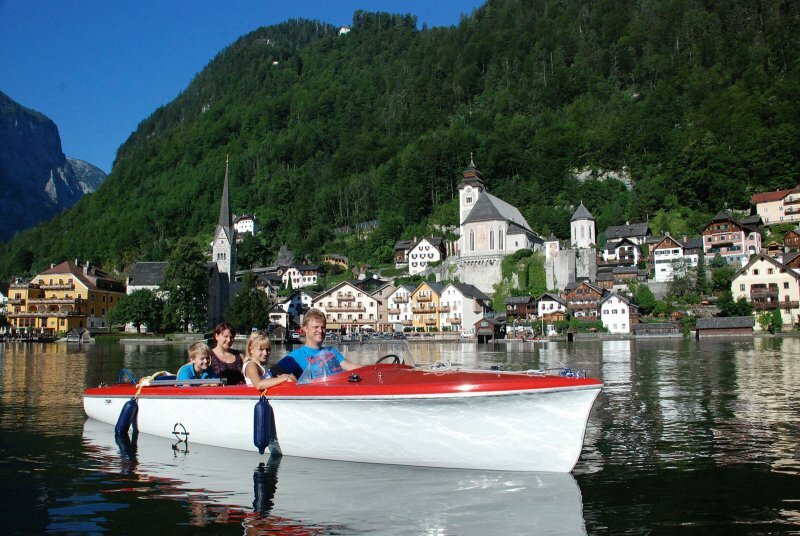 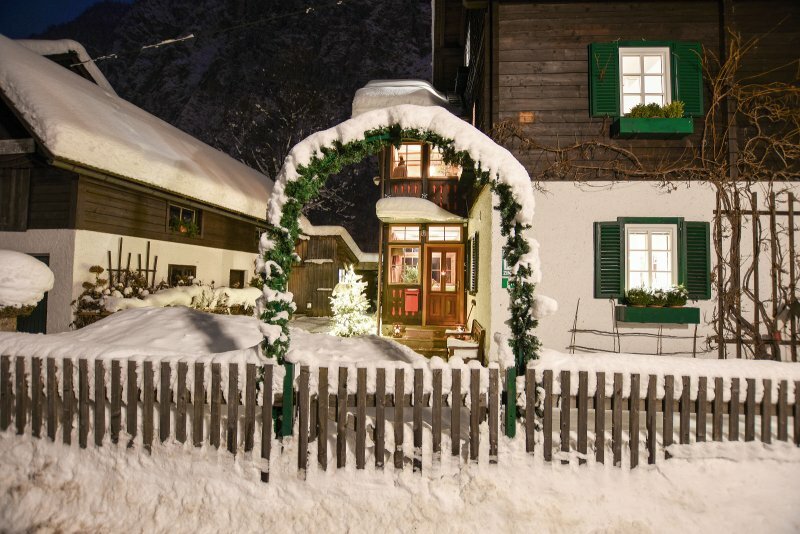 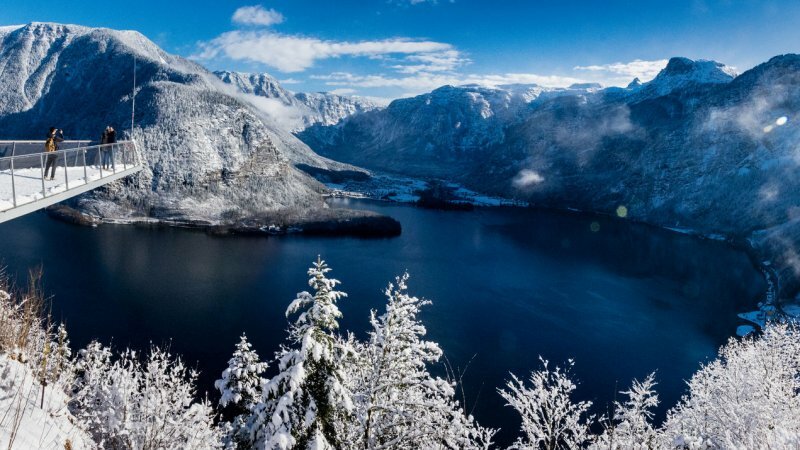 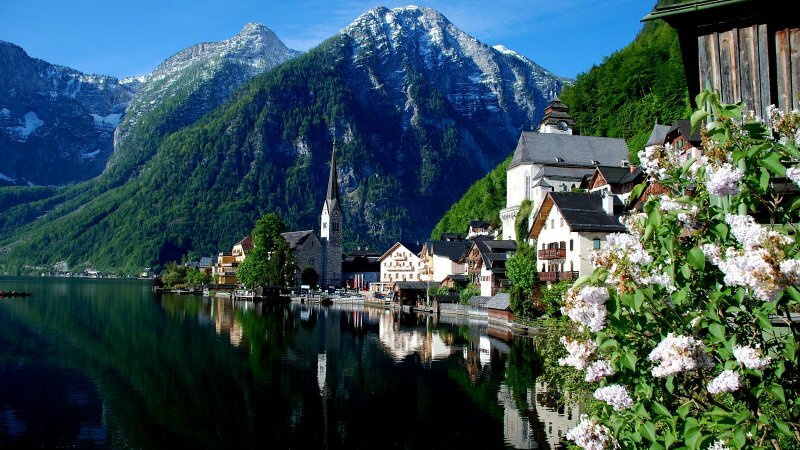 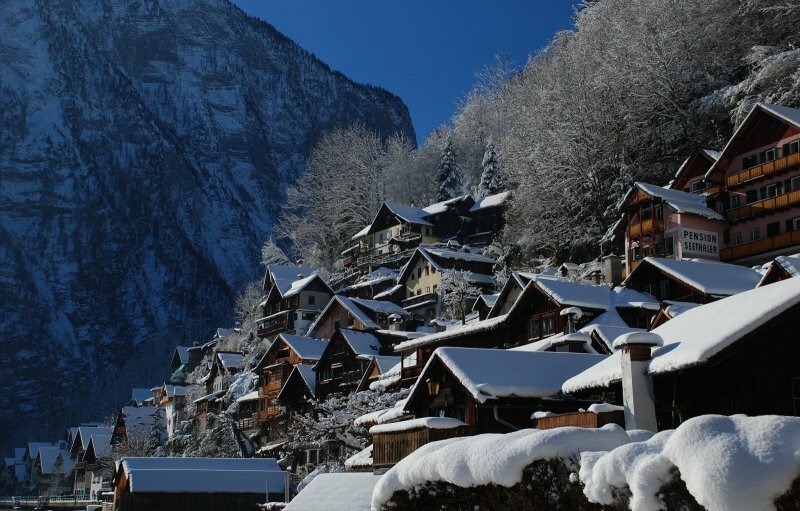 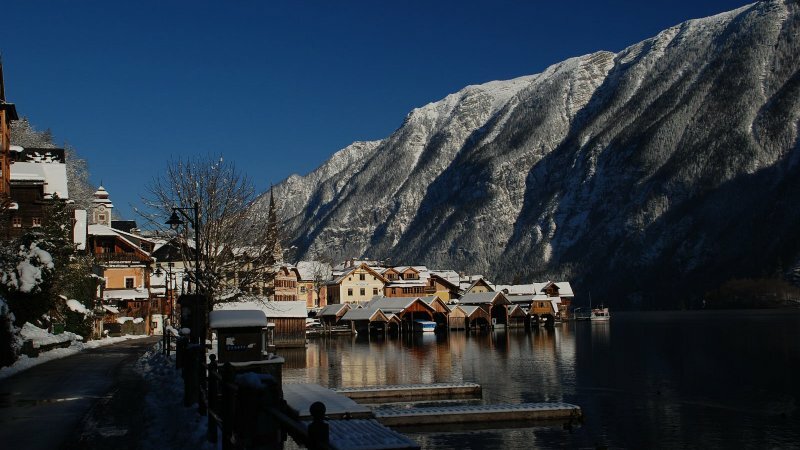 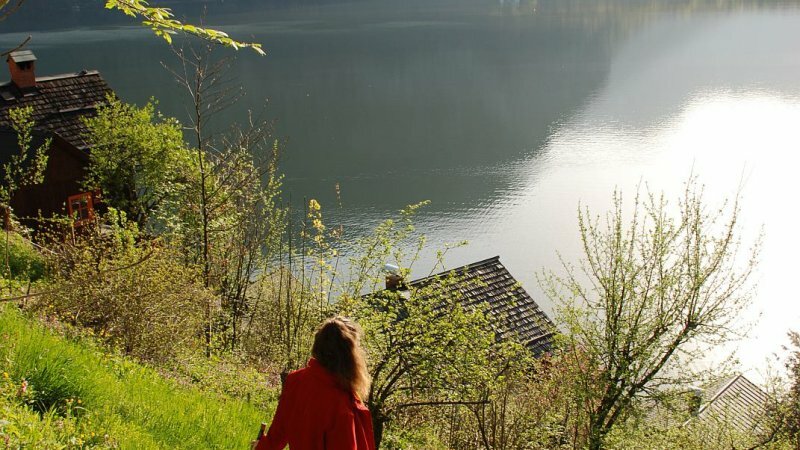 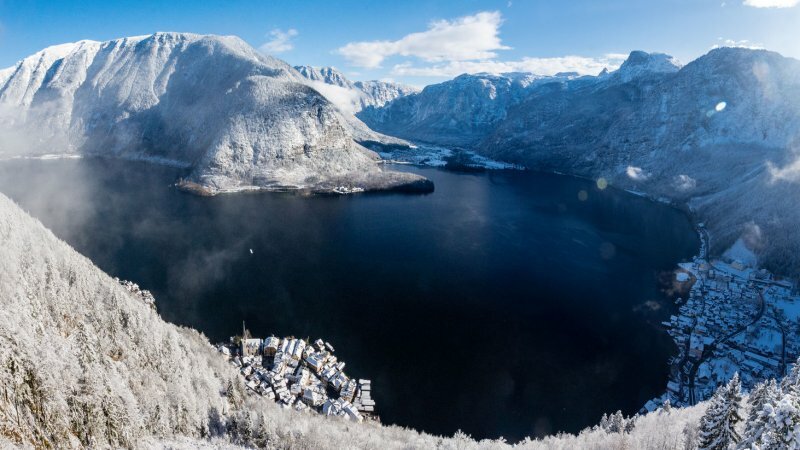 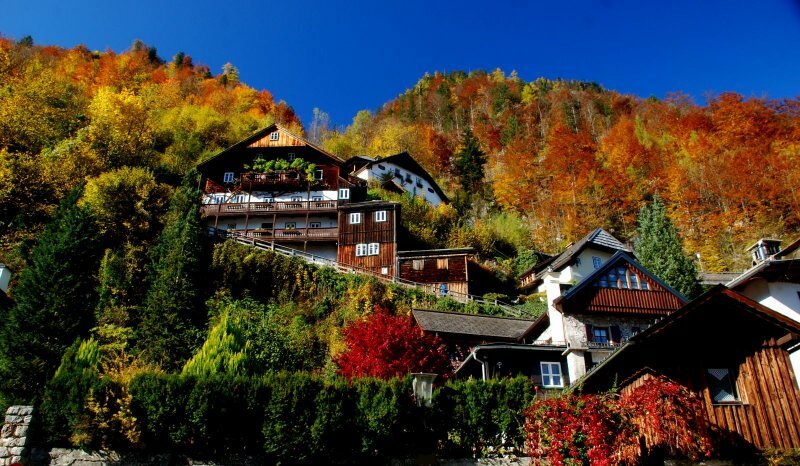 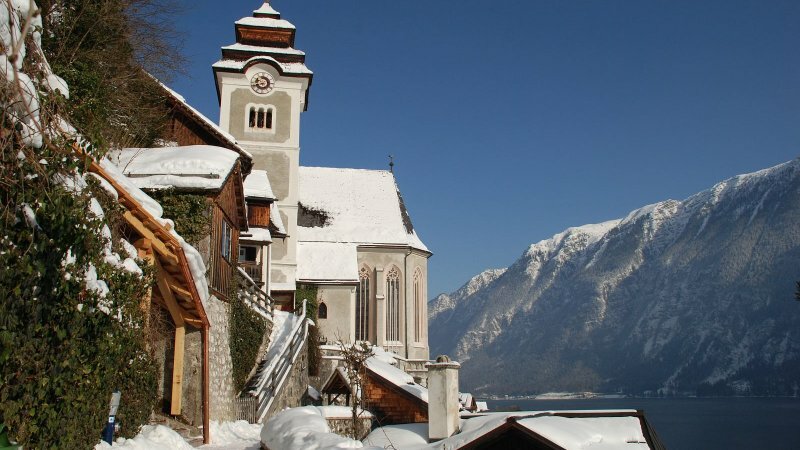 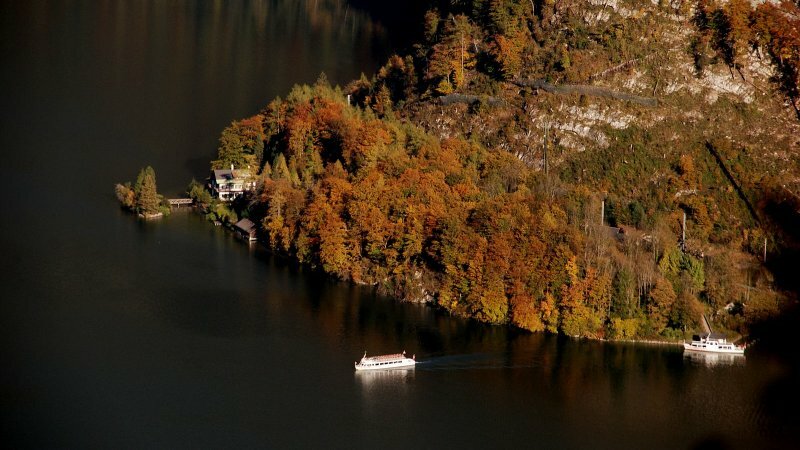 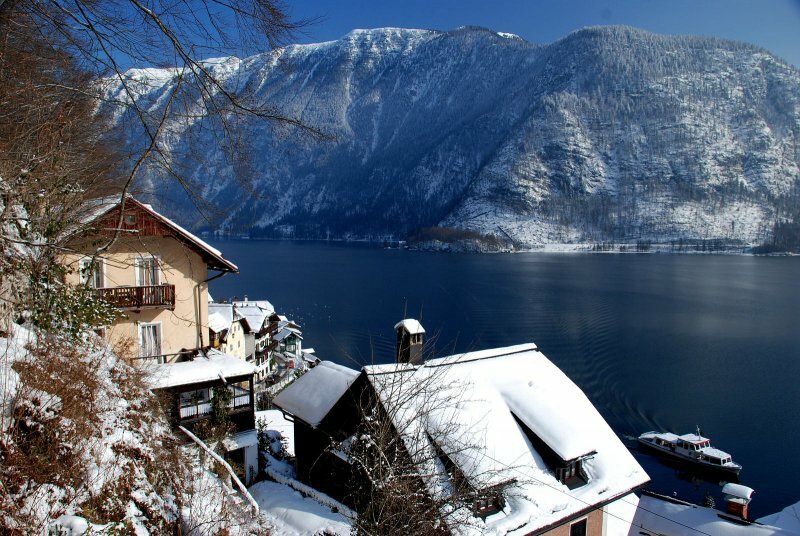 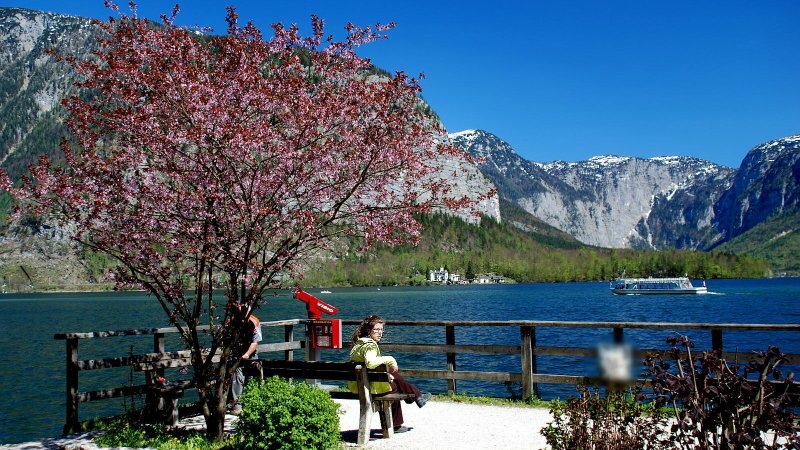 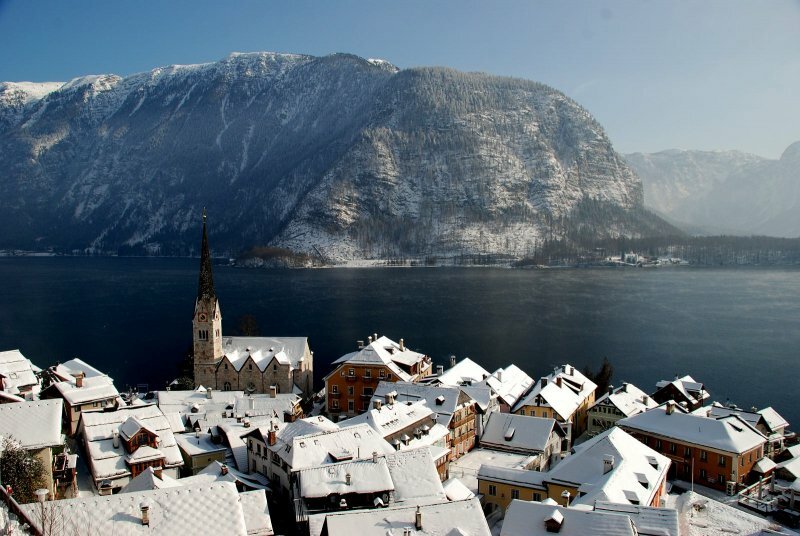 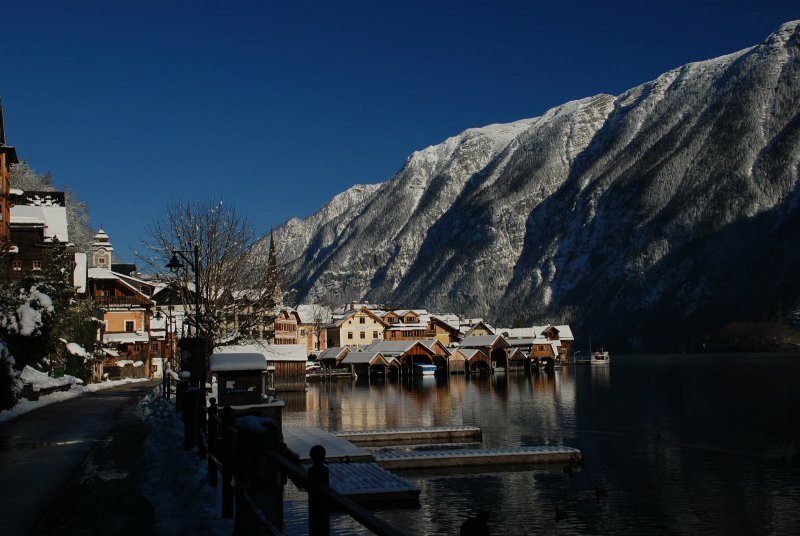 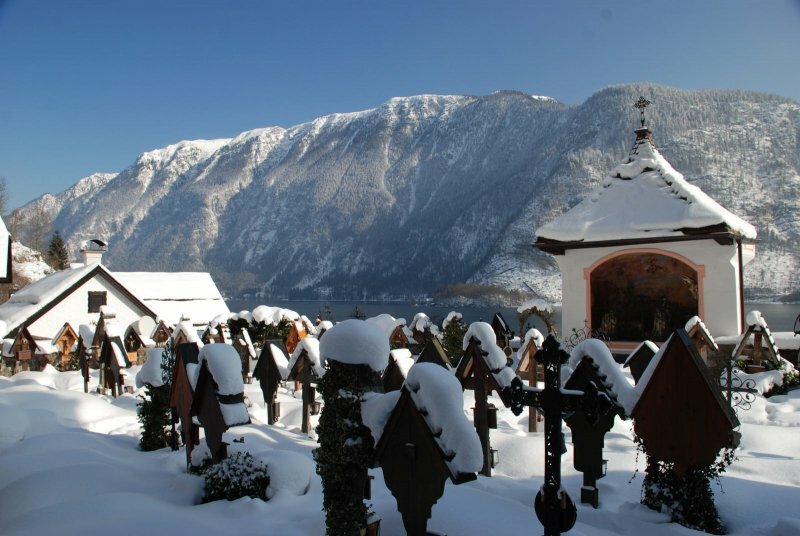 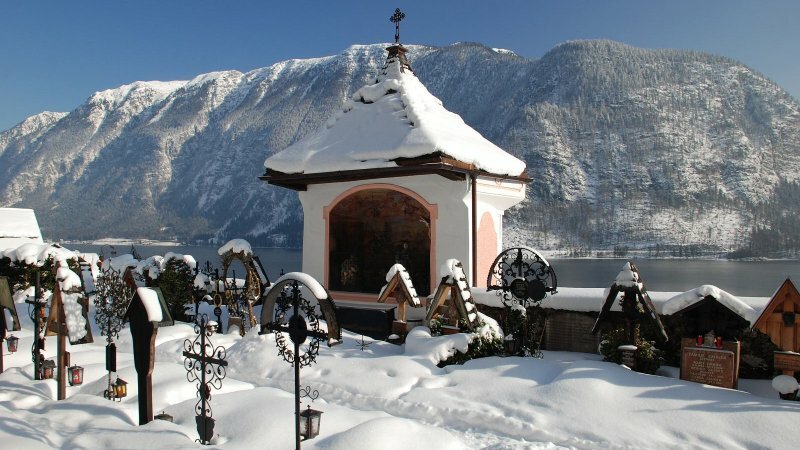 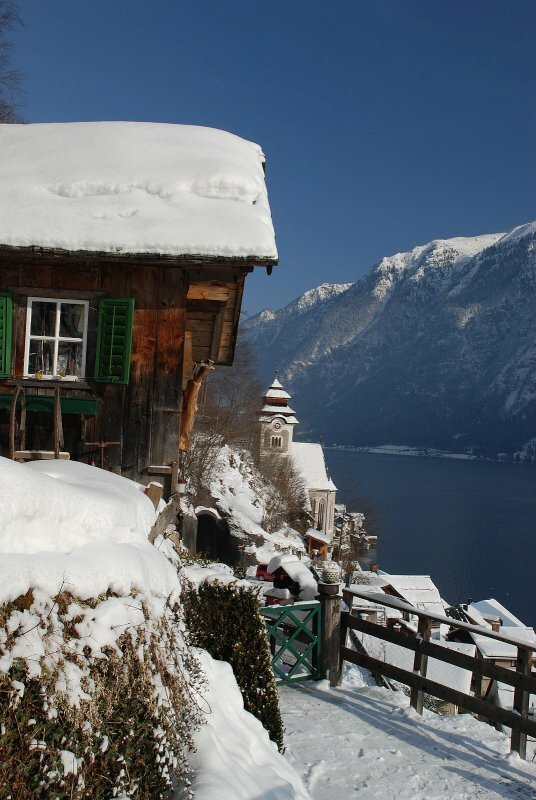 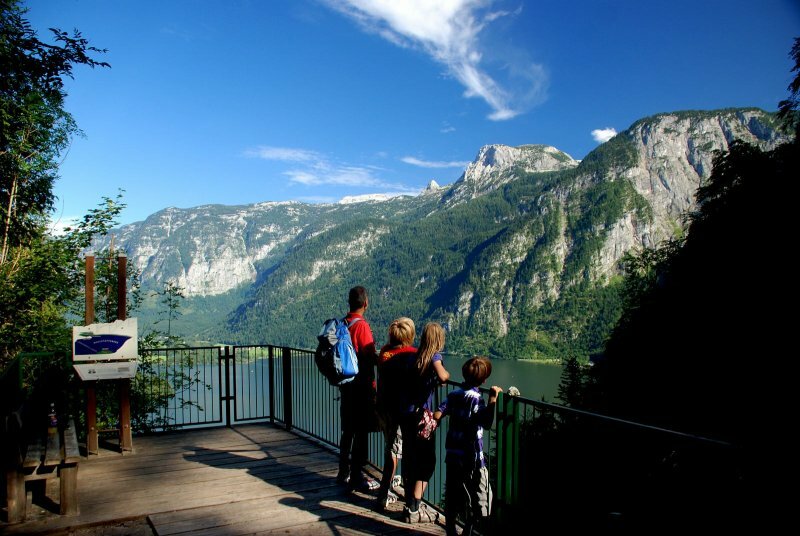 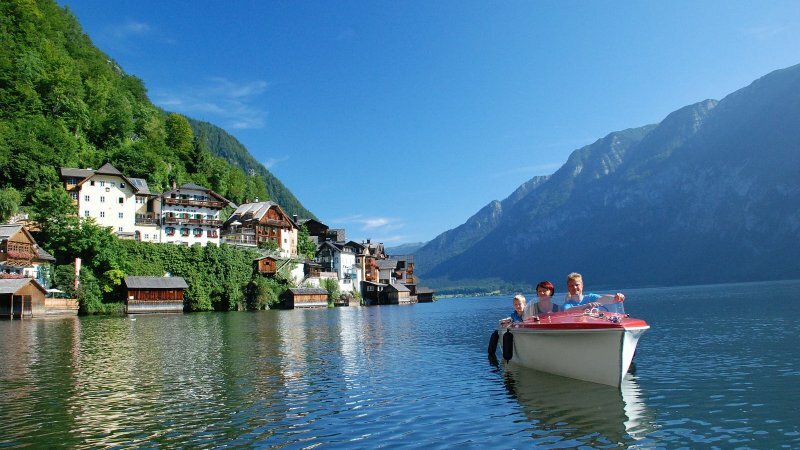 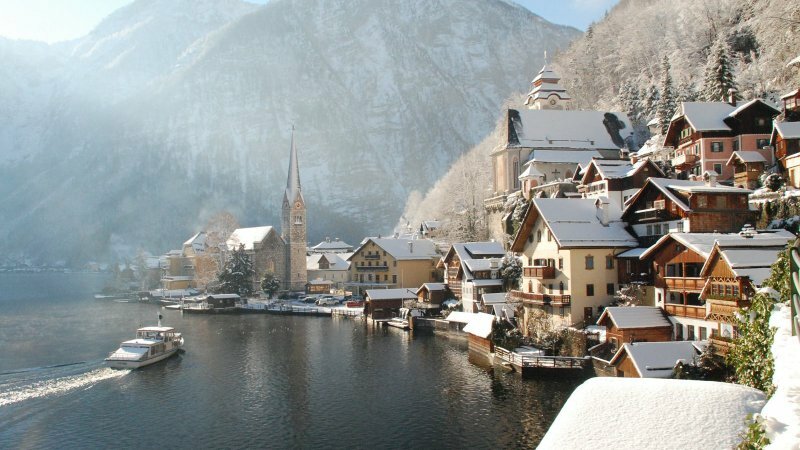 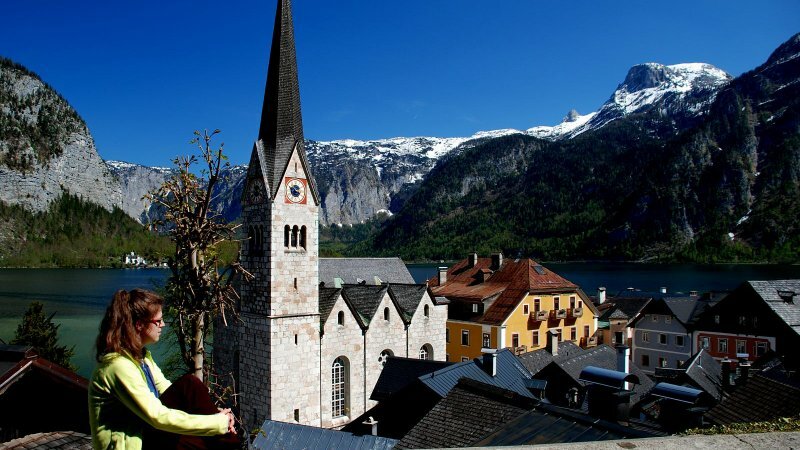 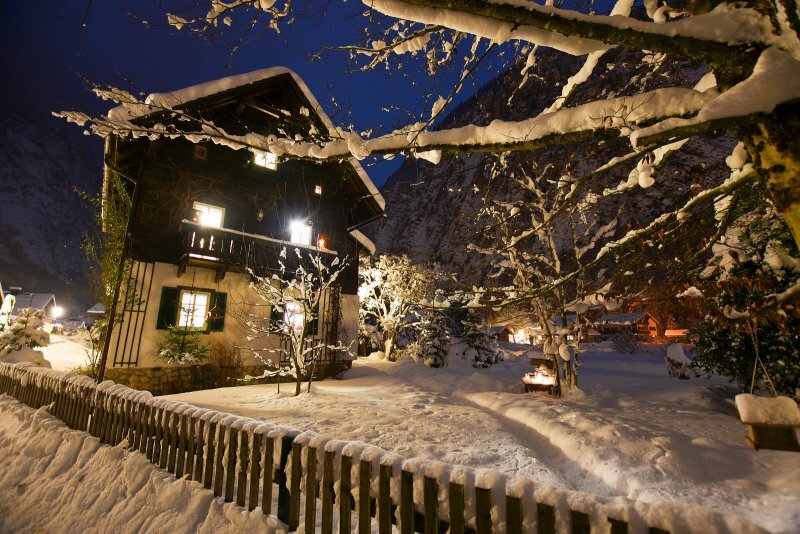 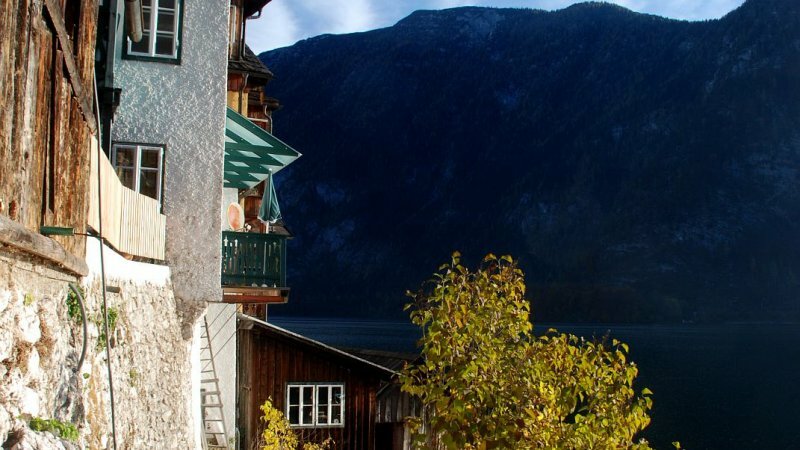 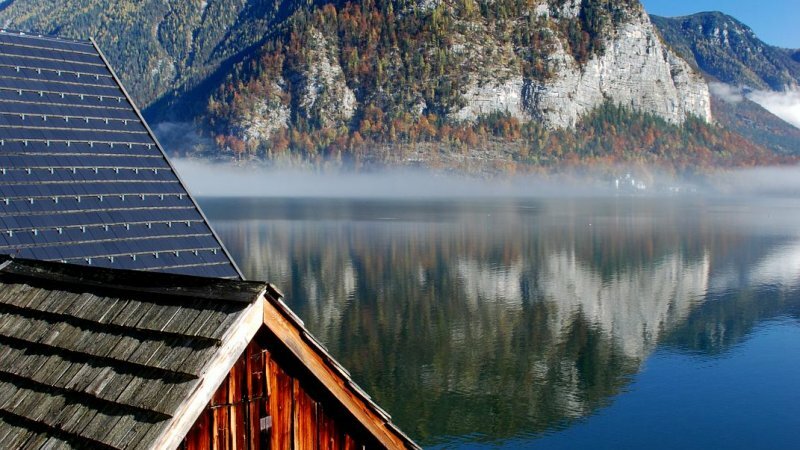 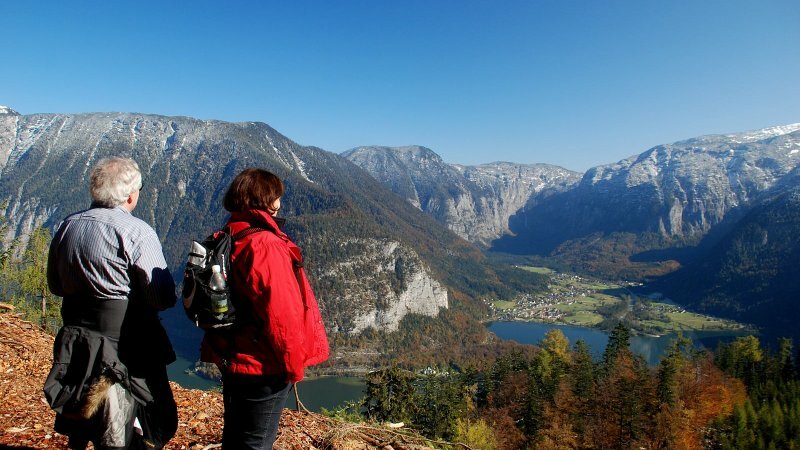 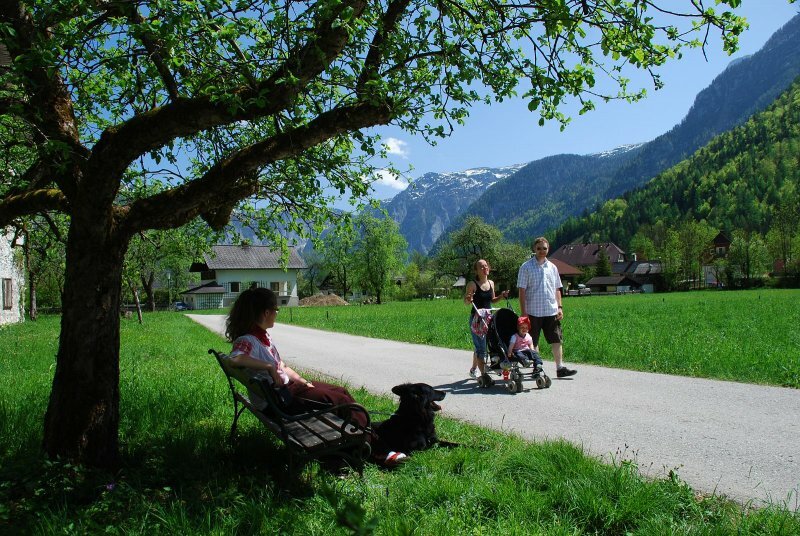 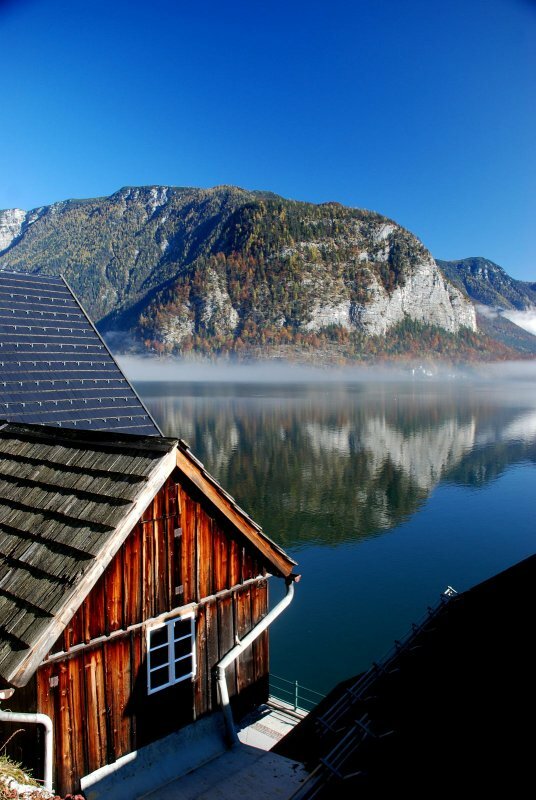 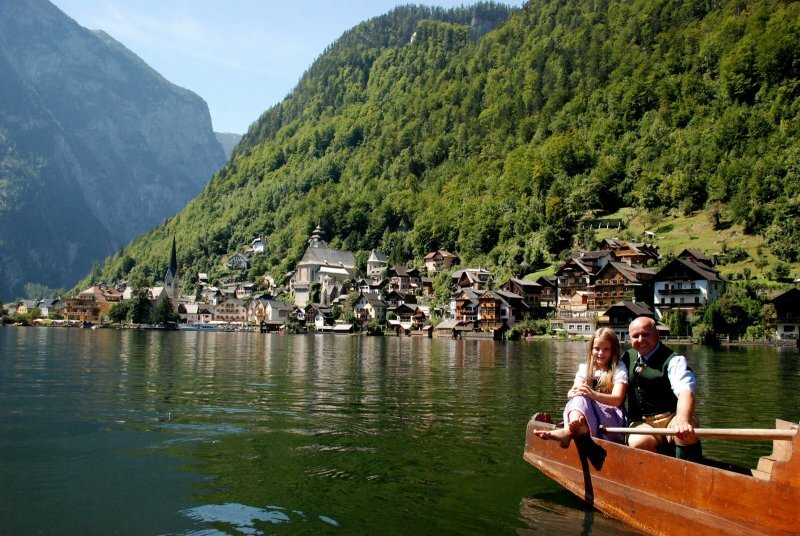 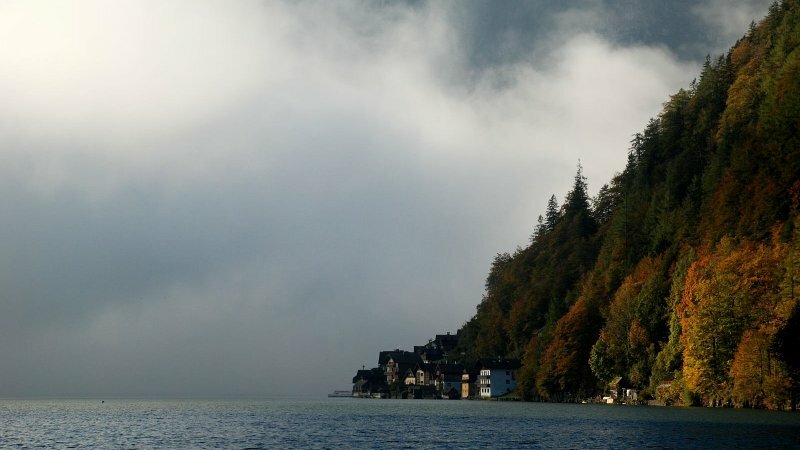 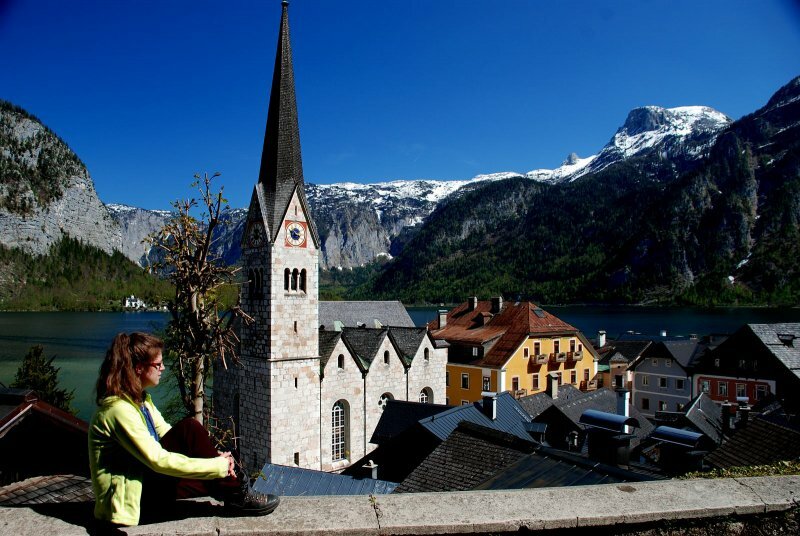 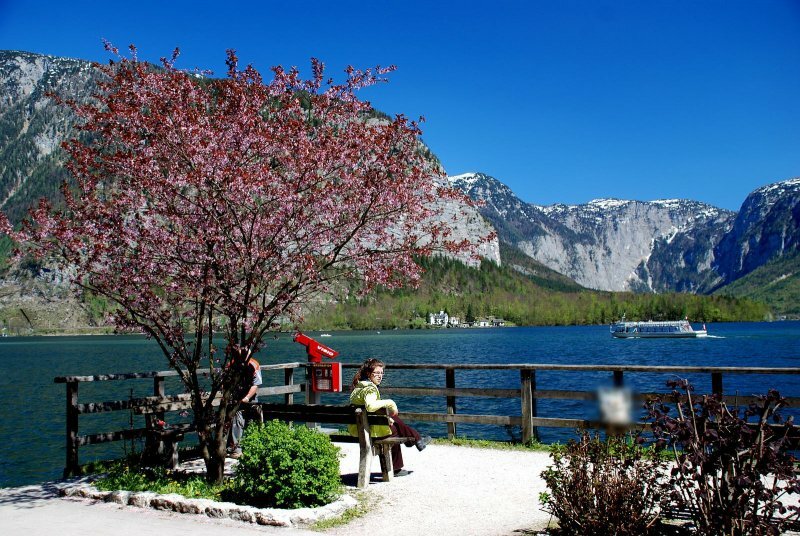 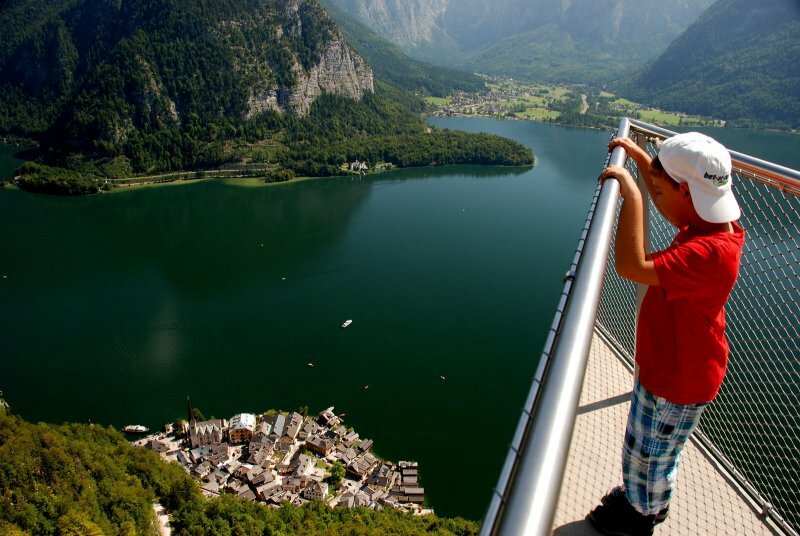 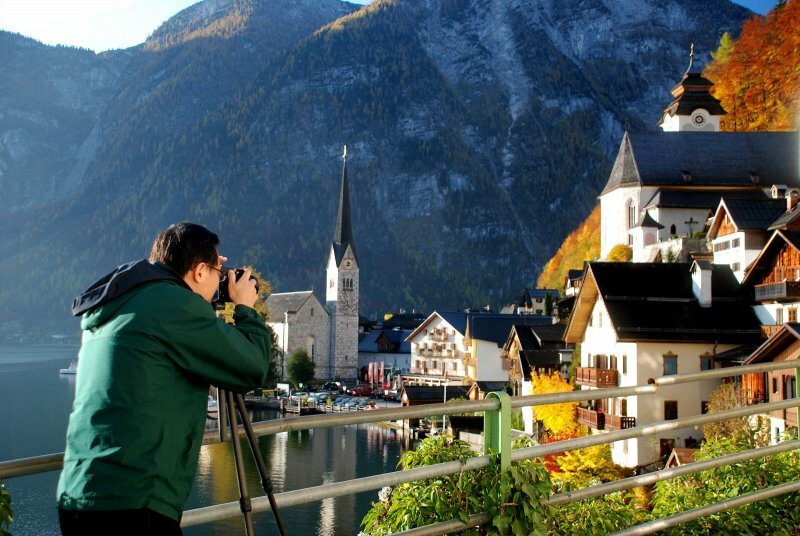 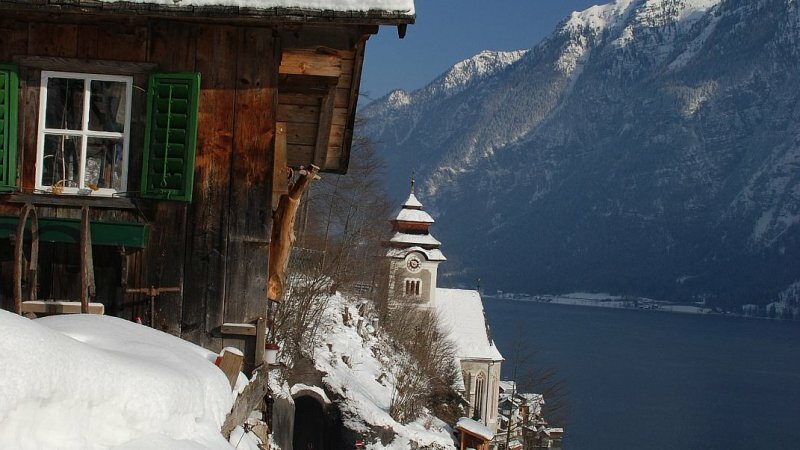 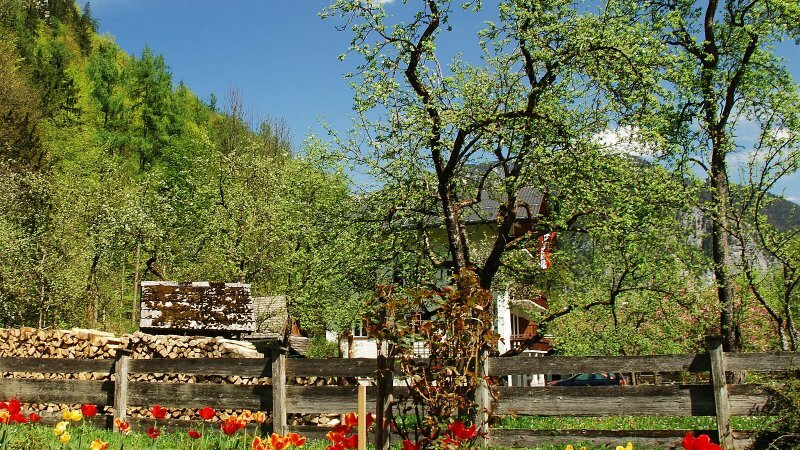 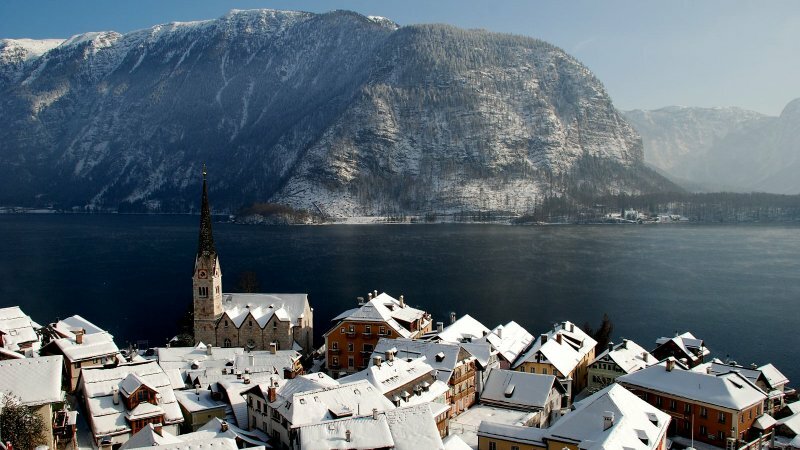 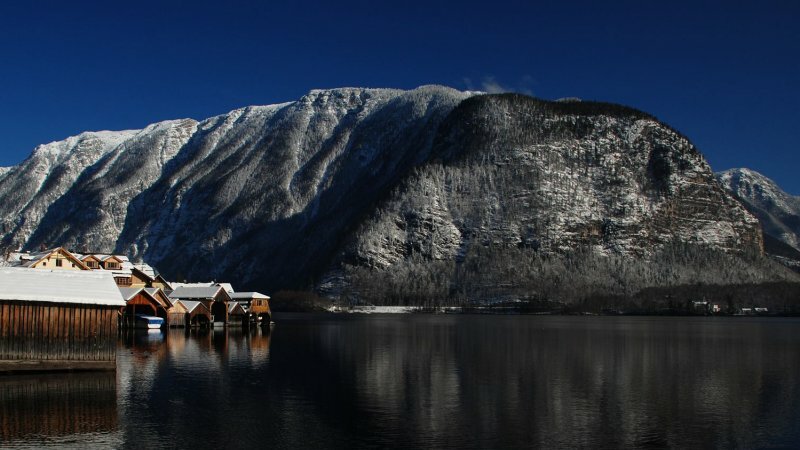 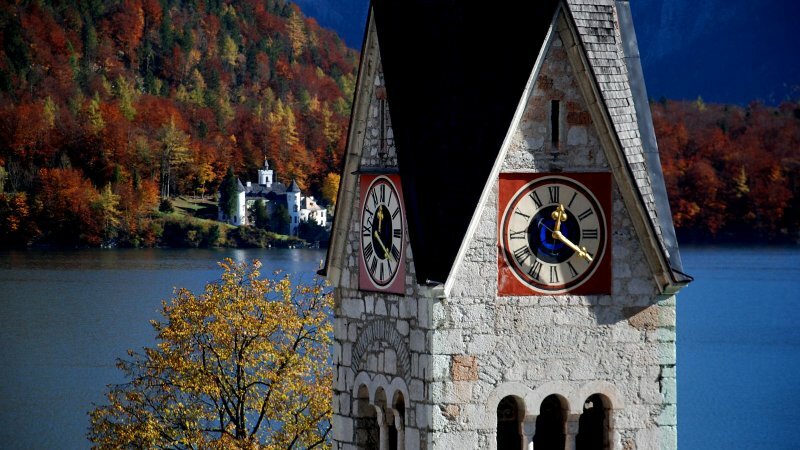 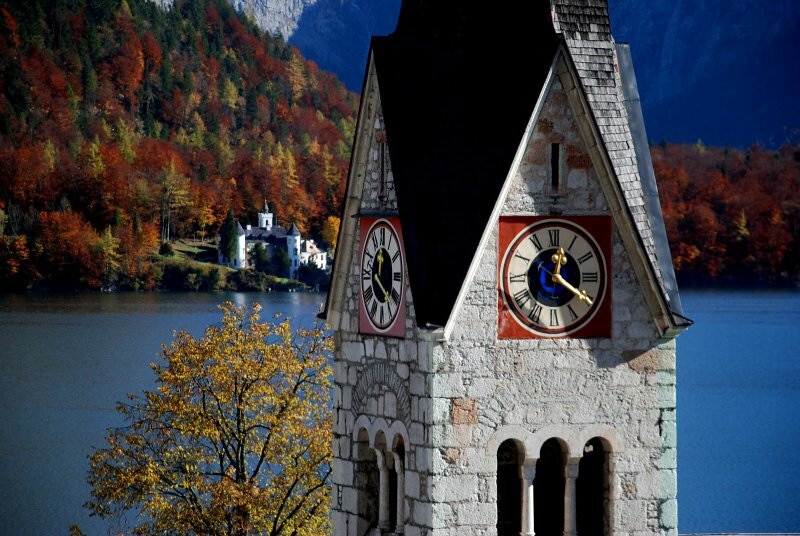 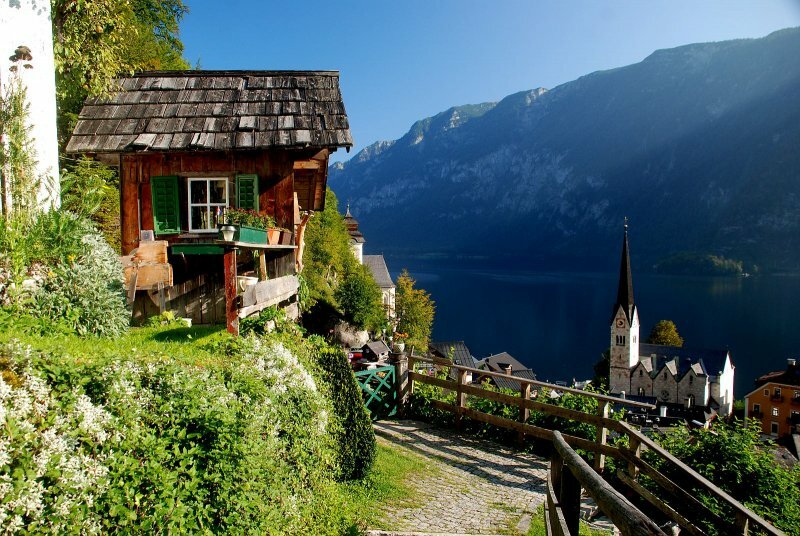 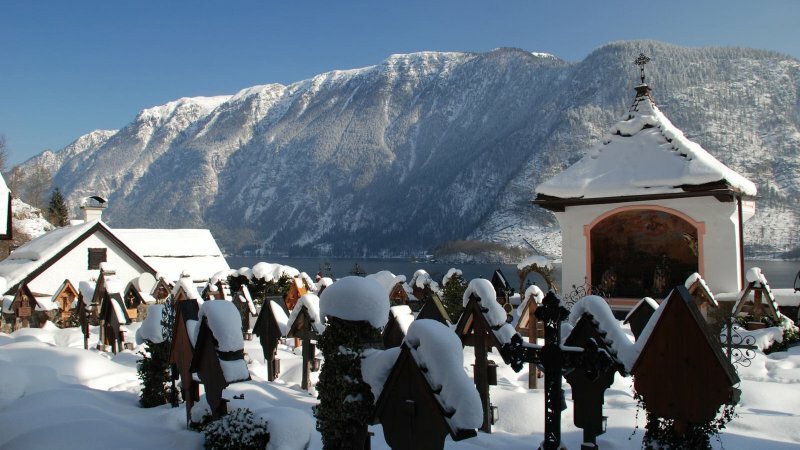 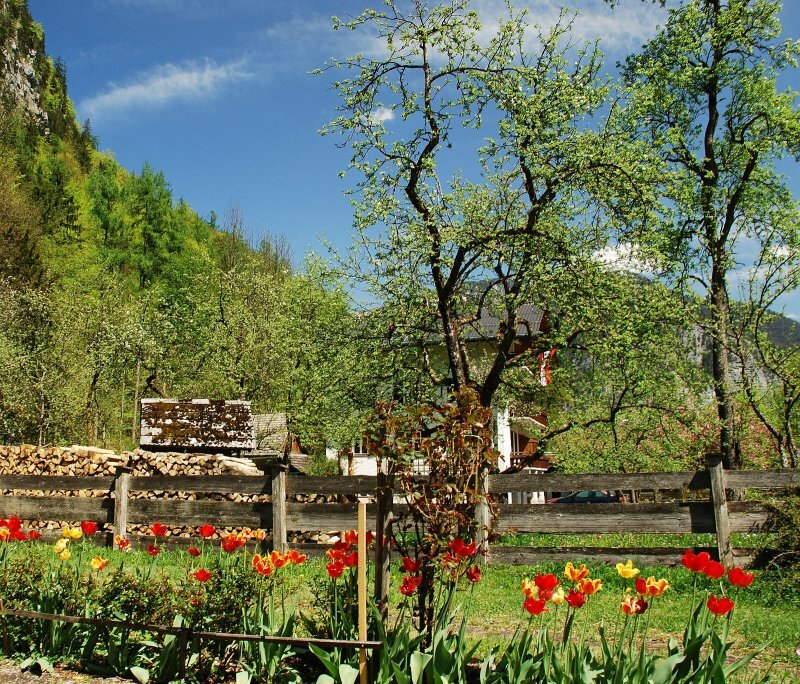 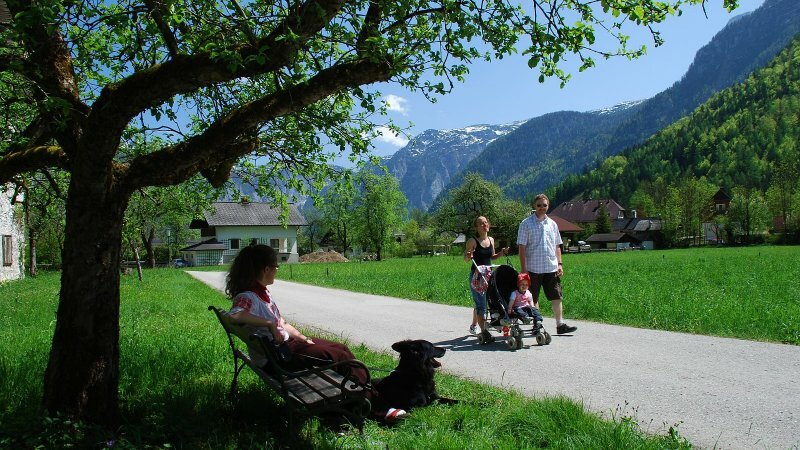 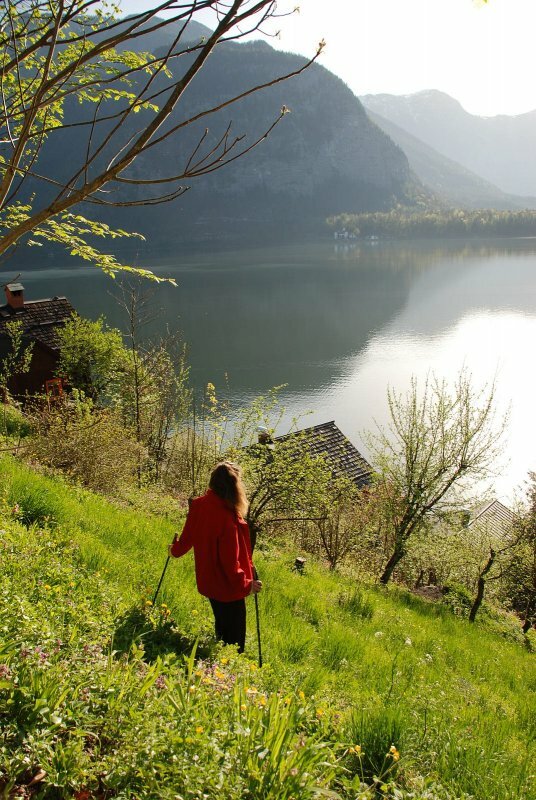 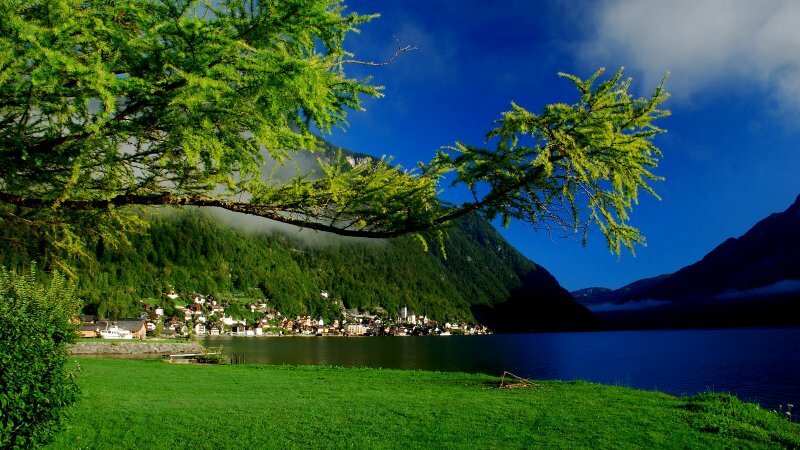 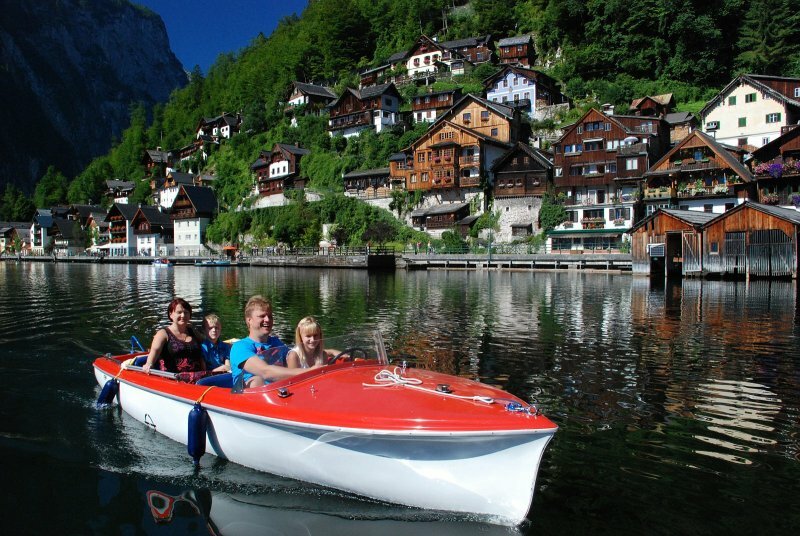 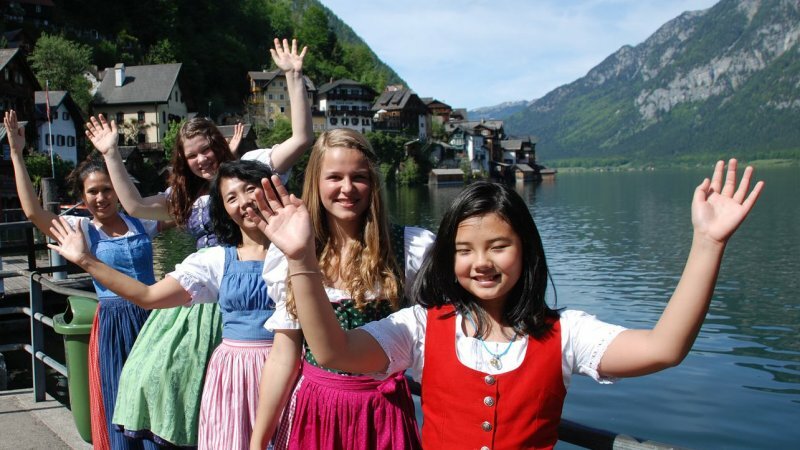 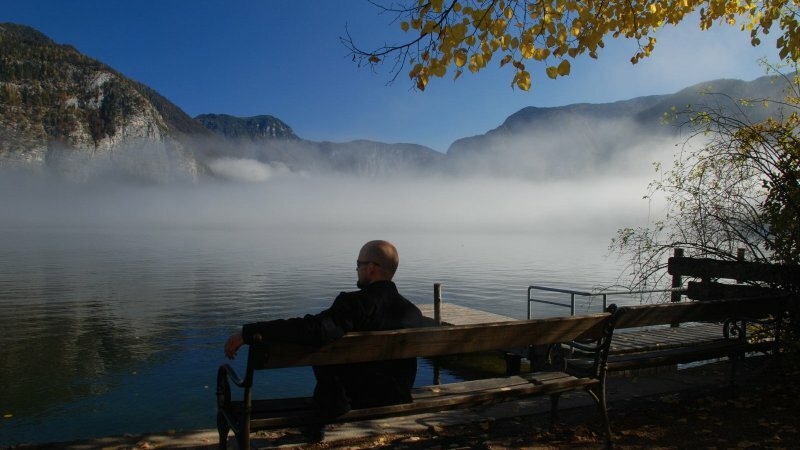 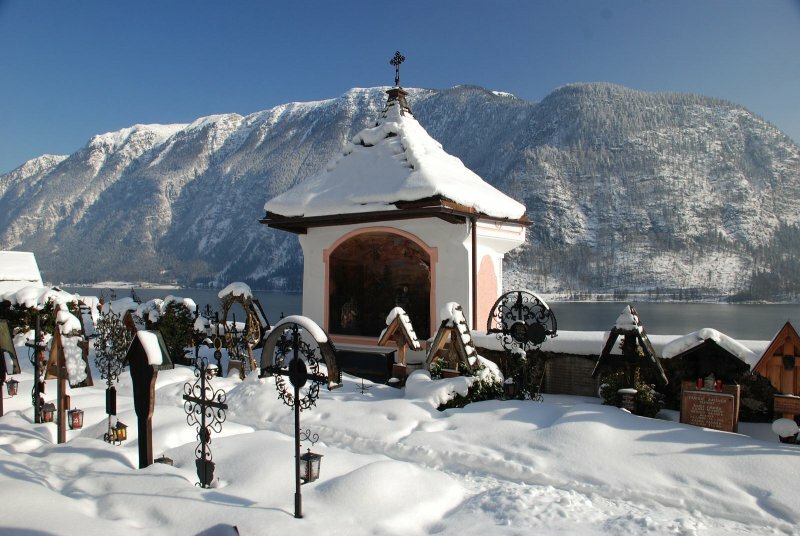 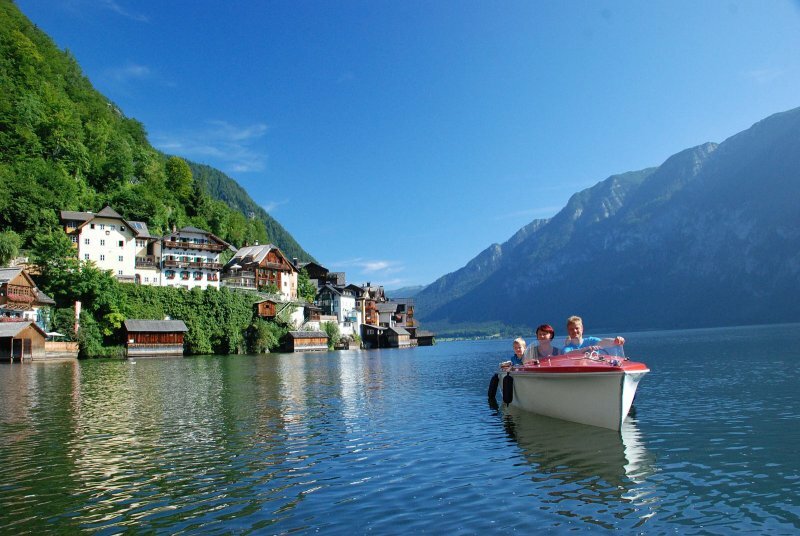 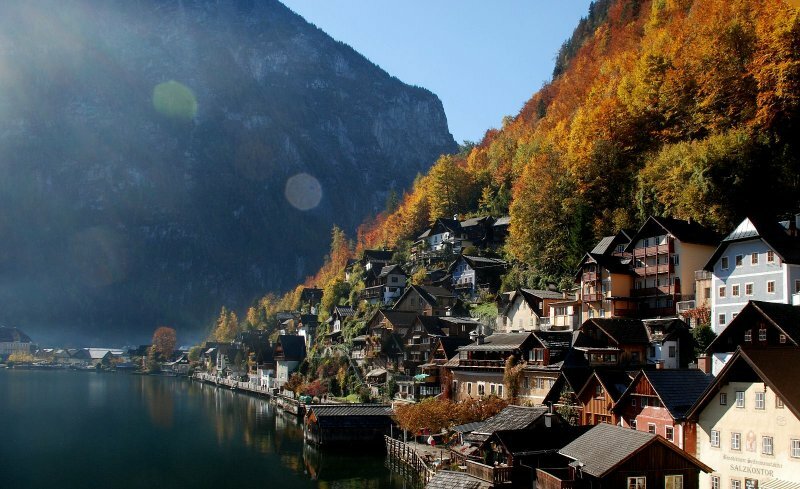 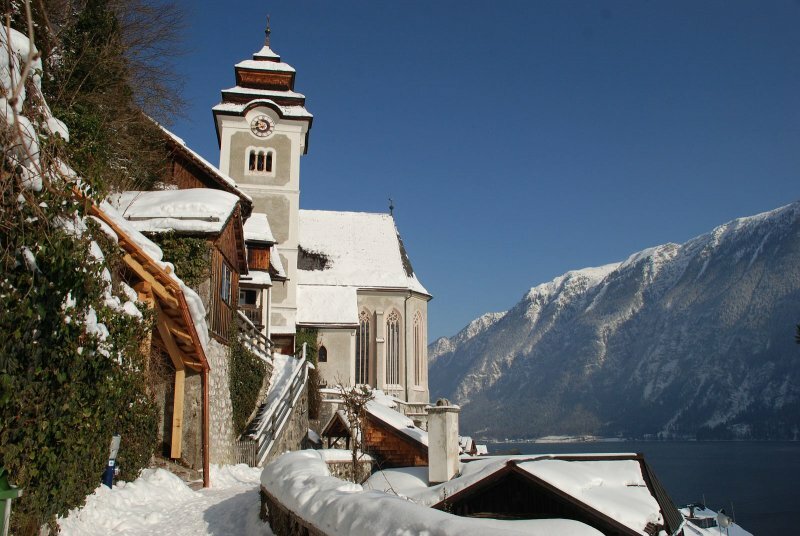 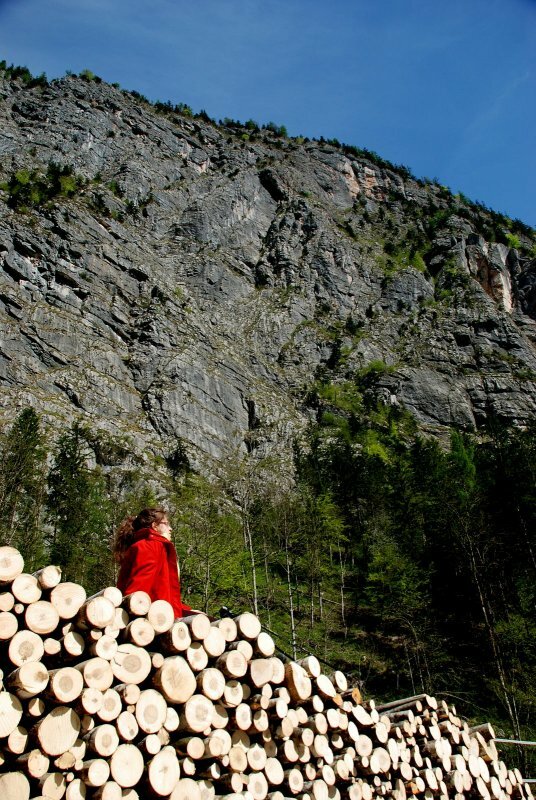 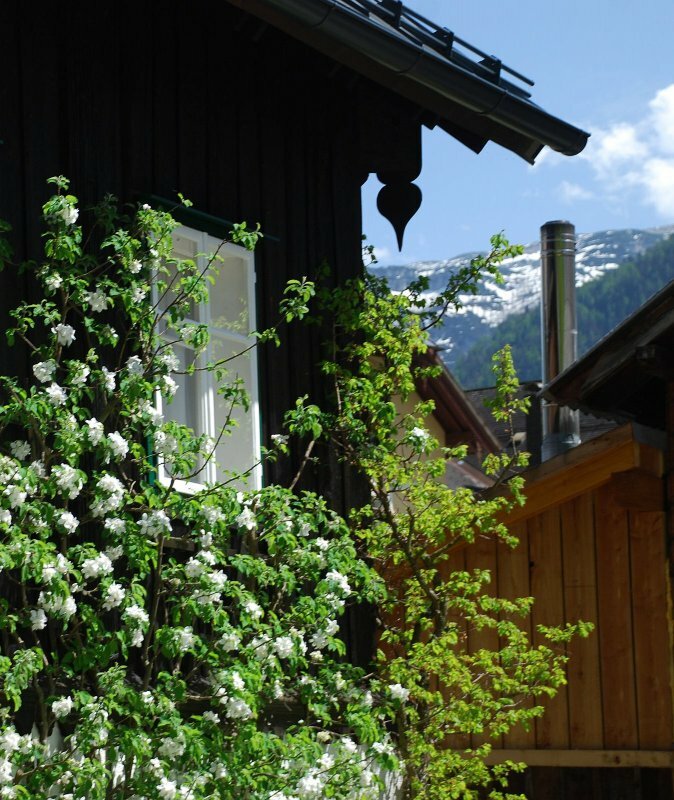 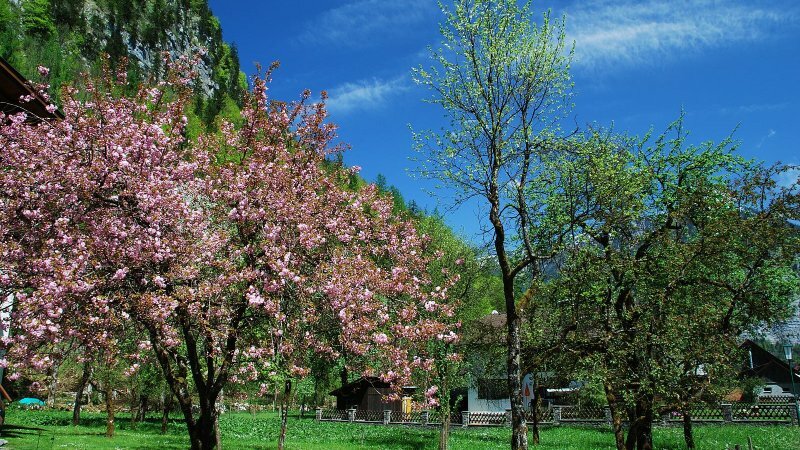 Spring, summer, autumn or winter - a holiday in Hallstatt with family Hemetzberger offers a retreat from the hectic everyday life – whatever the season! 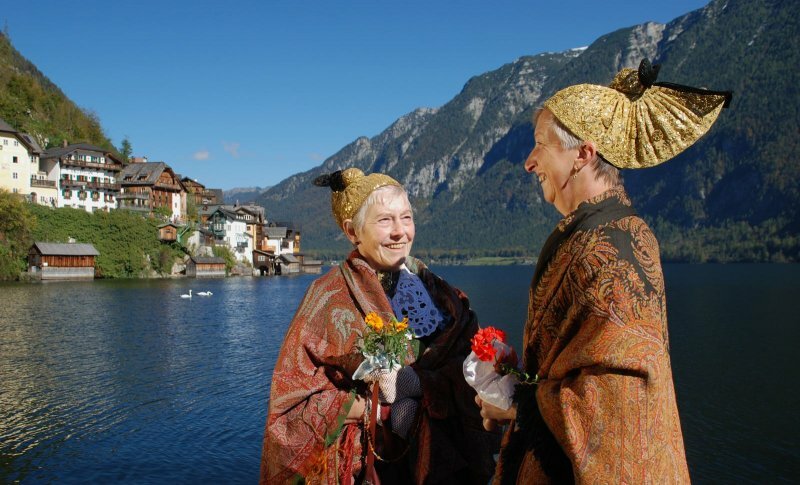 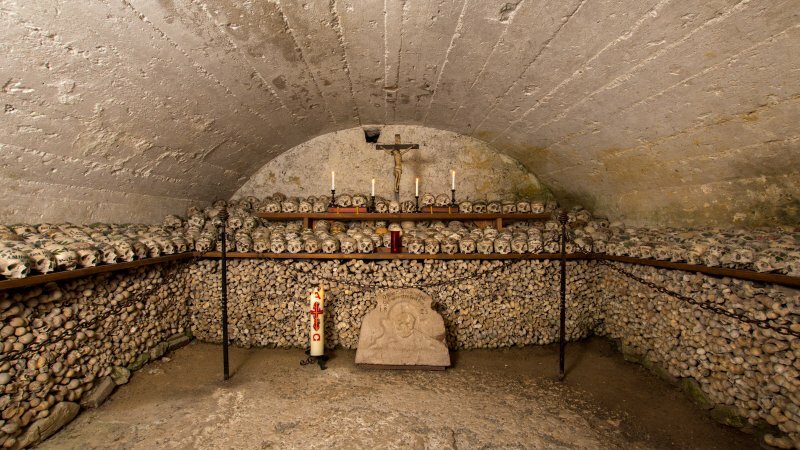 True to the motto: "Come as strangers, leave as friends" your hosts look forward to your visit. 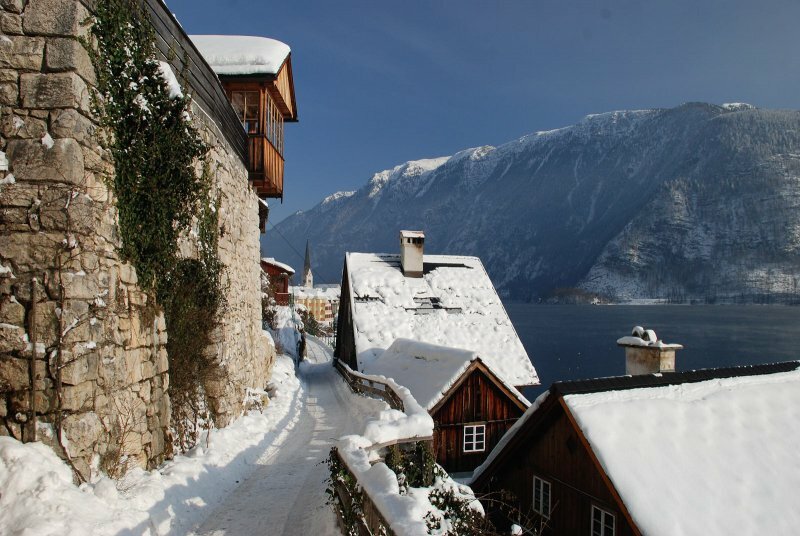 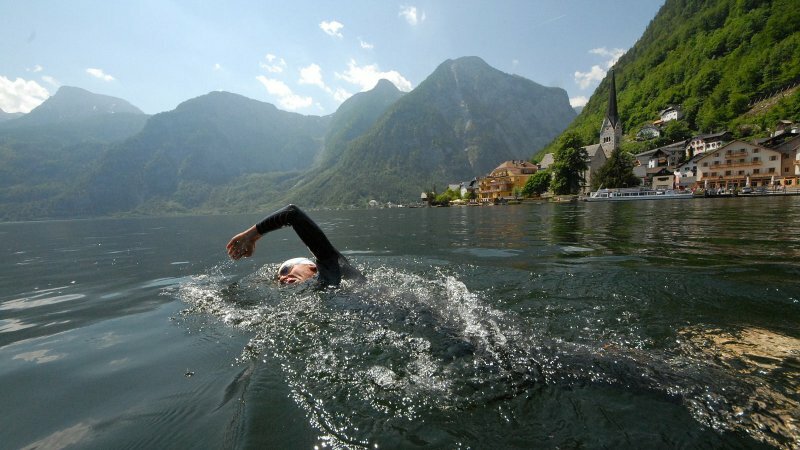 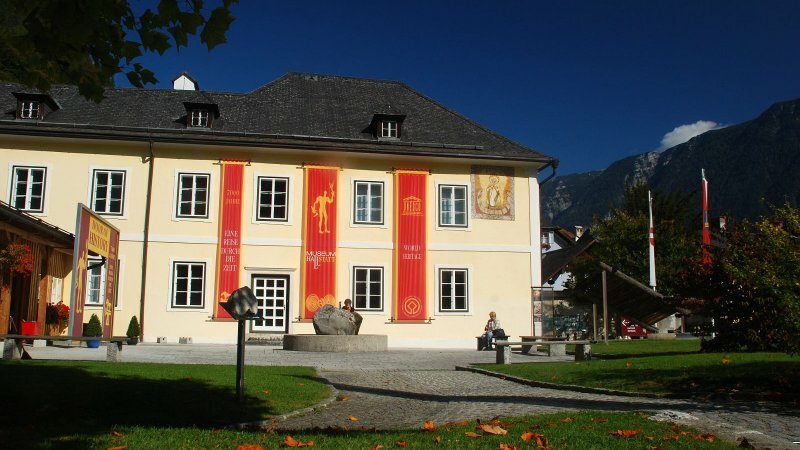 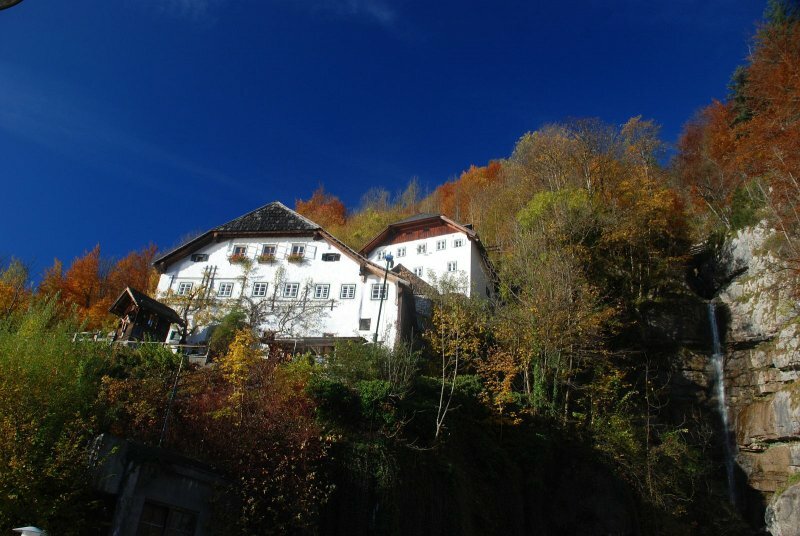 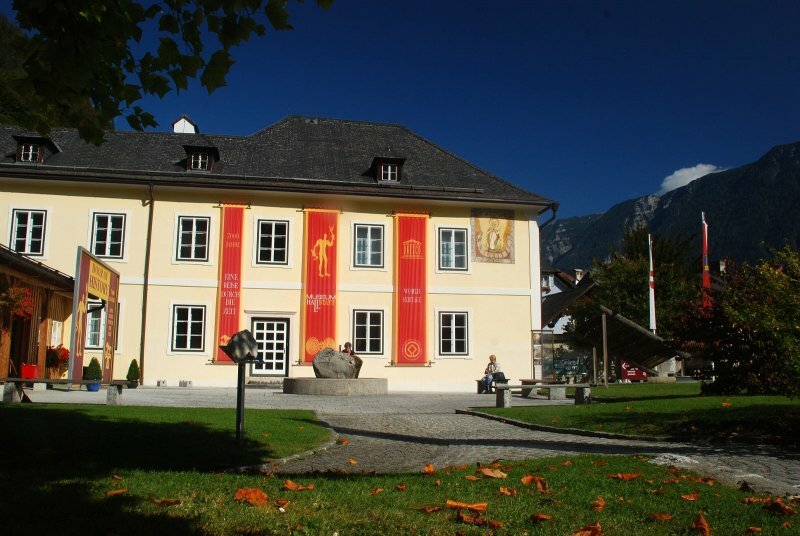 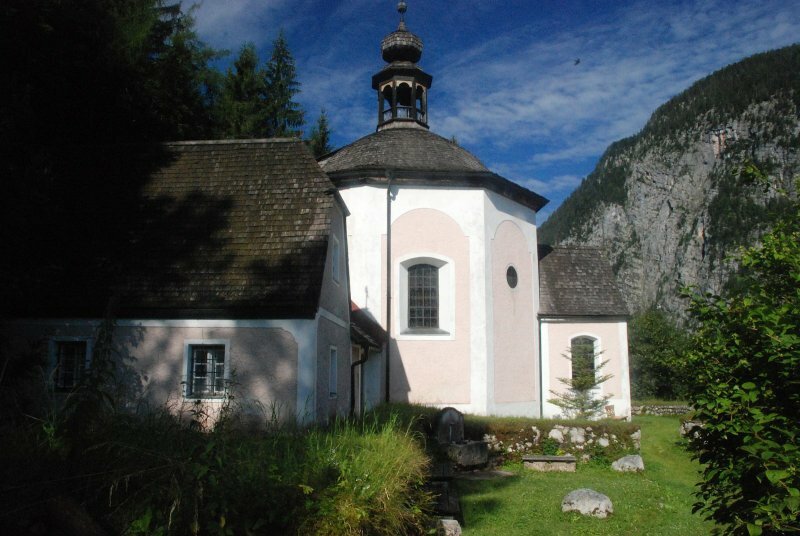 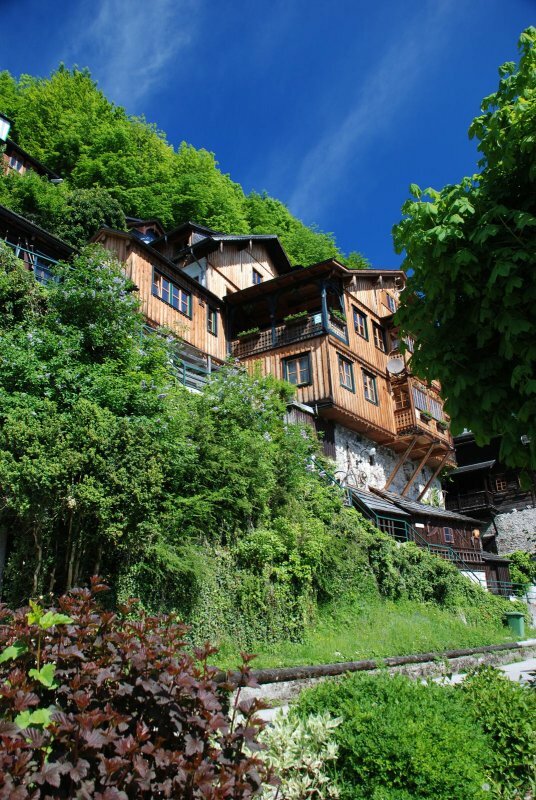 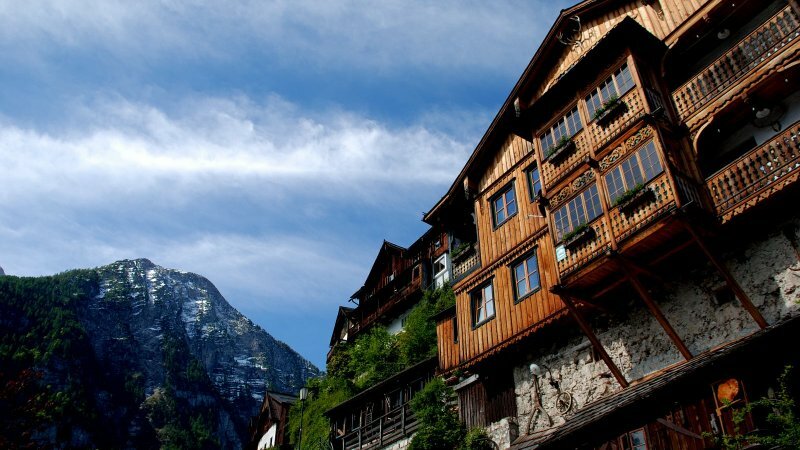 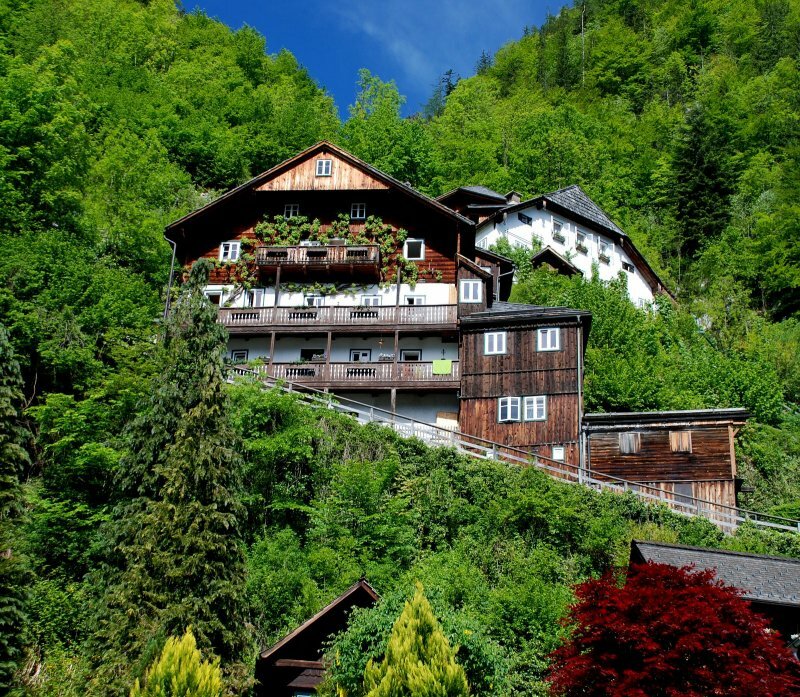 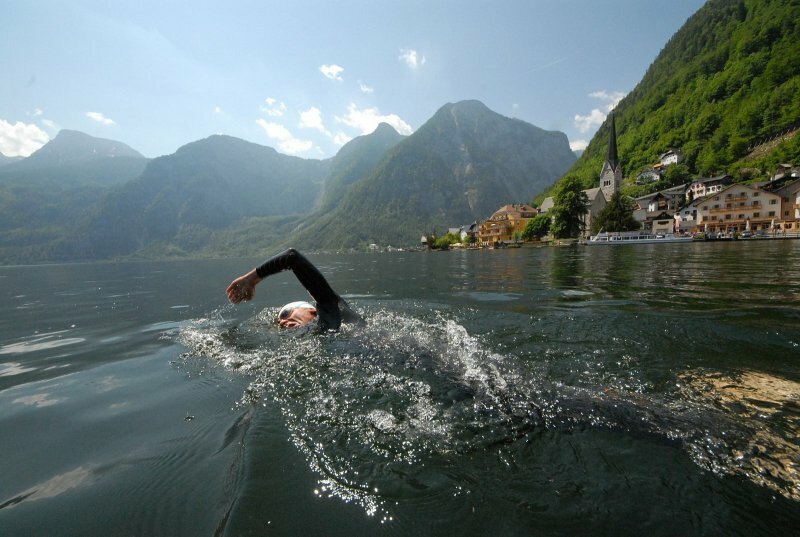 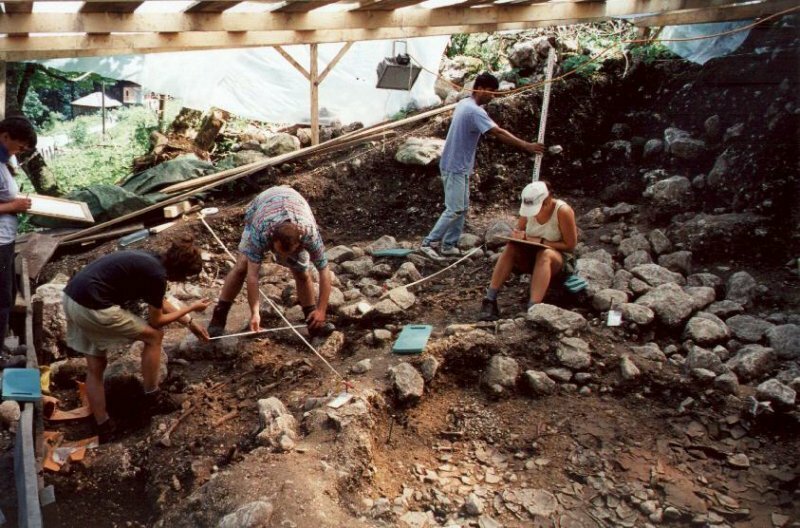 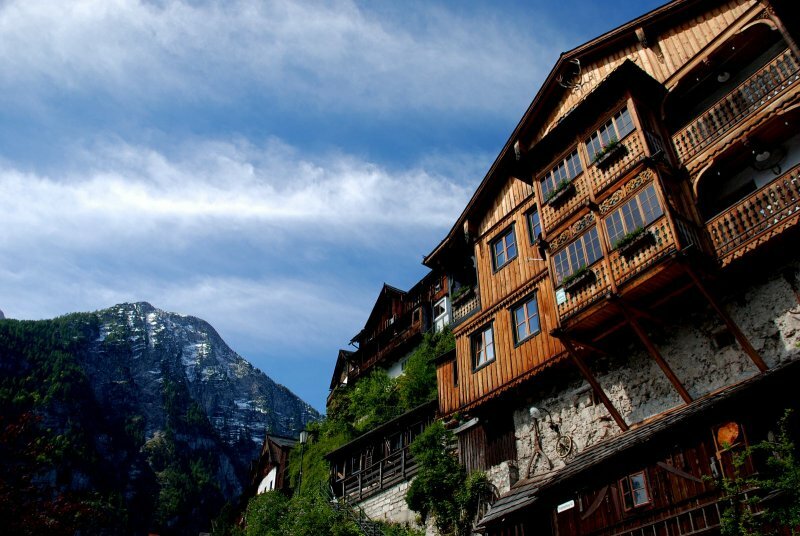 See you in the Haus Hemetzberger in Hallstatt. 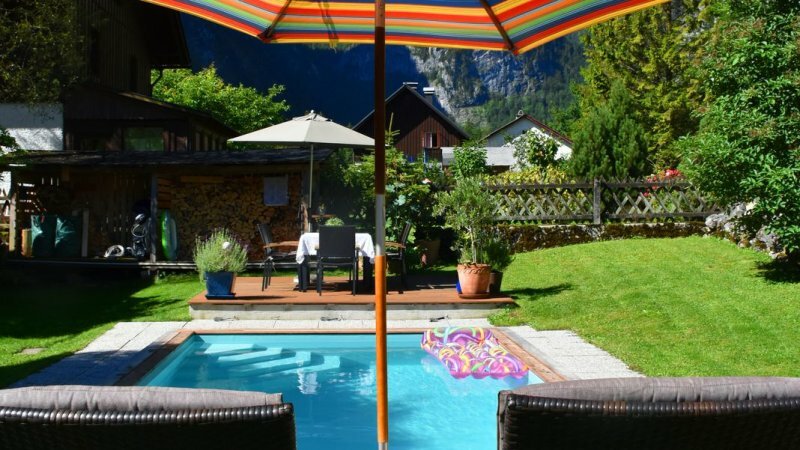 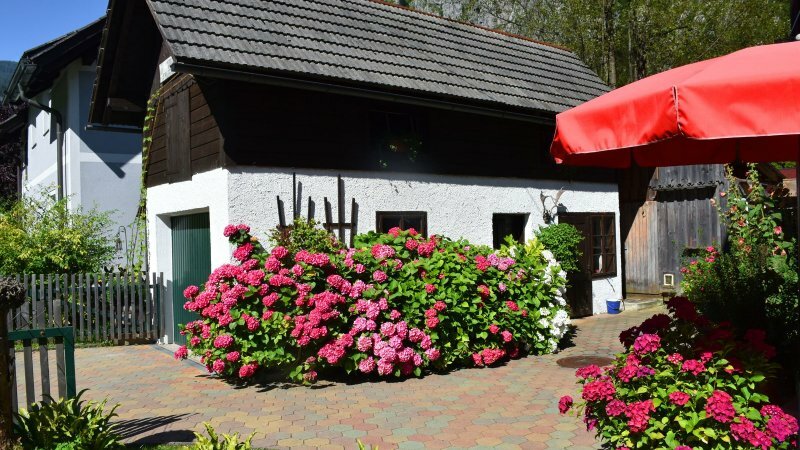 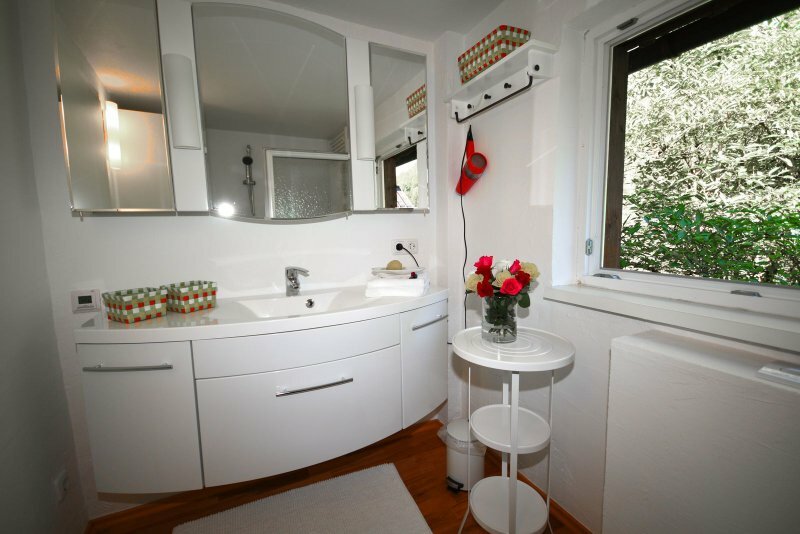 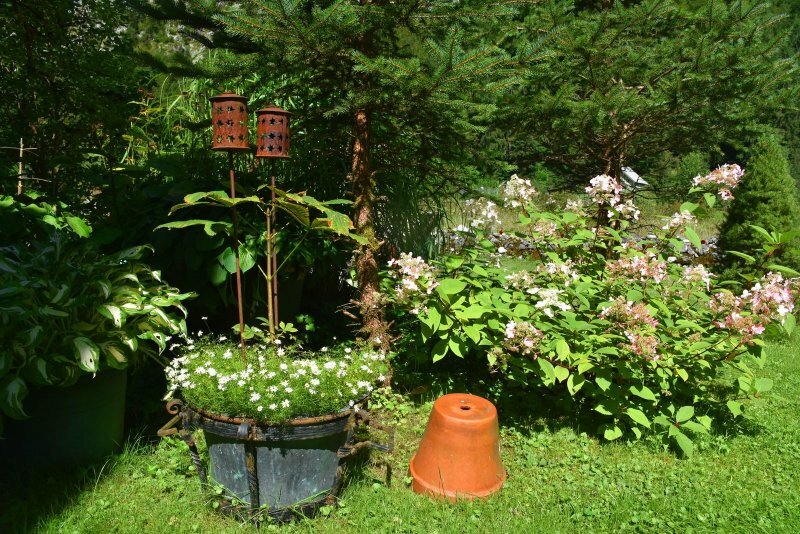 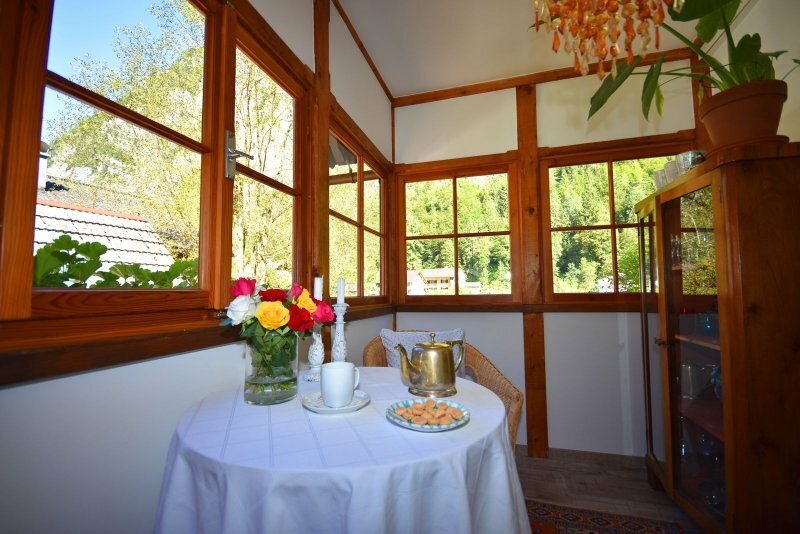 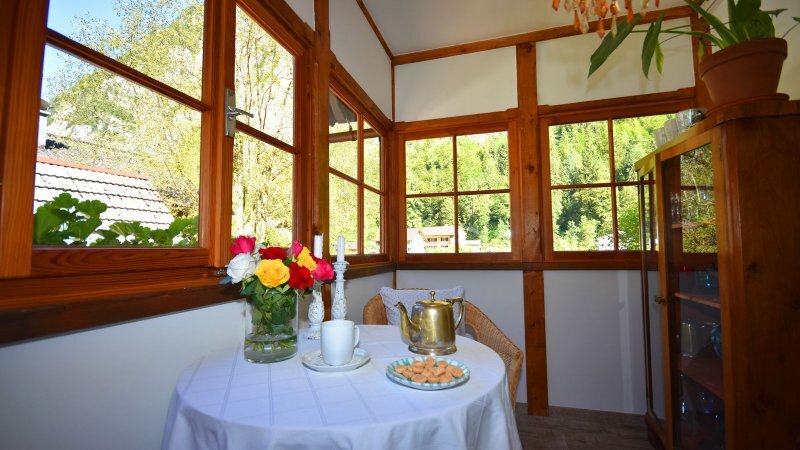 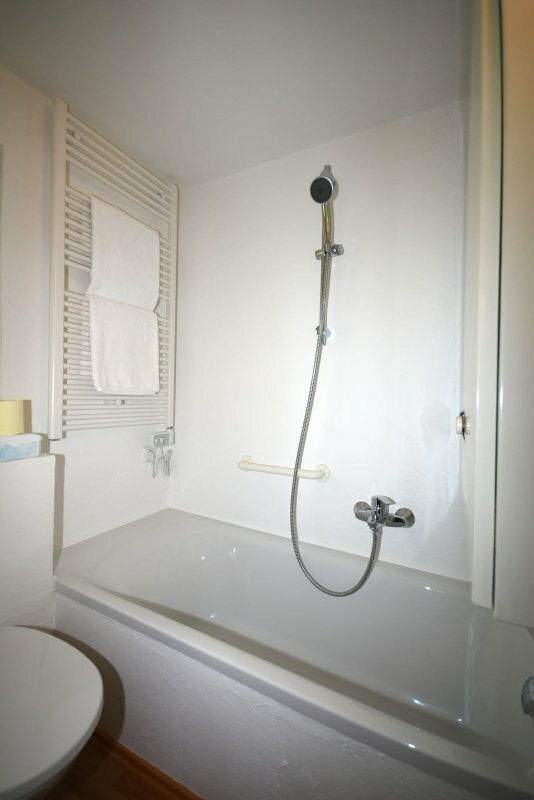 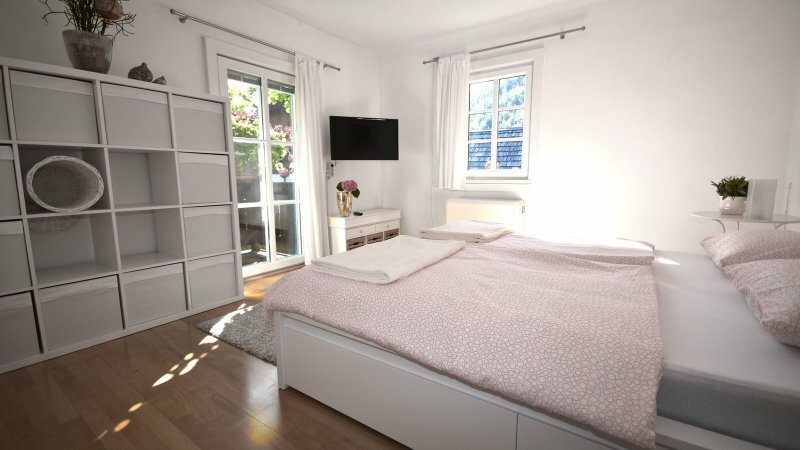 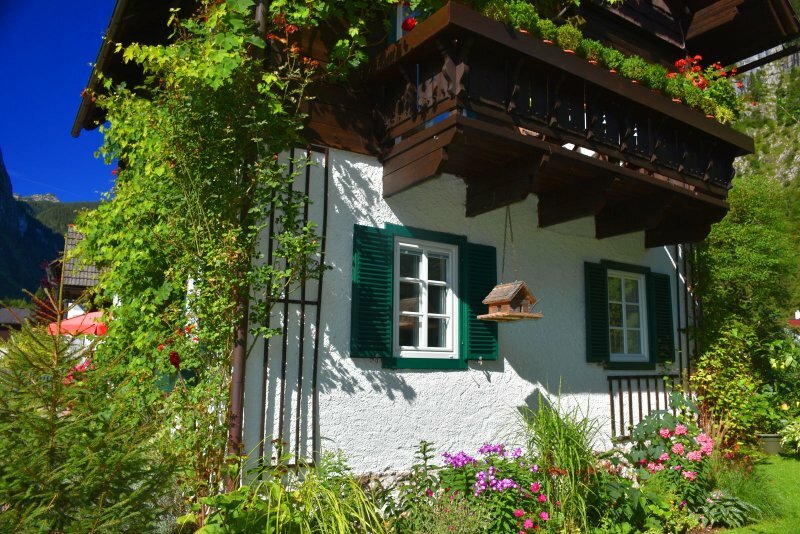 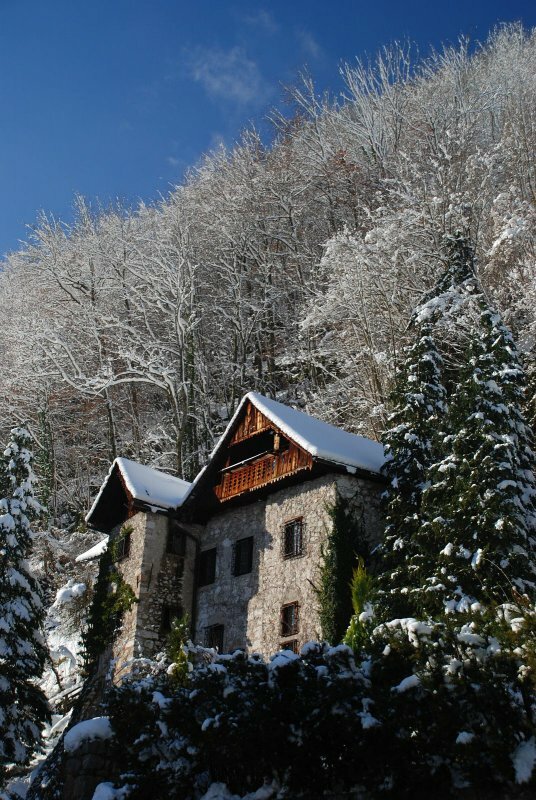 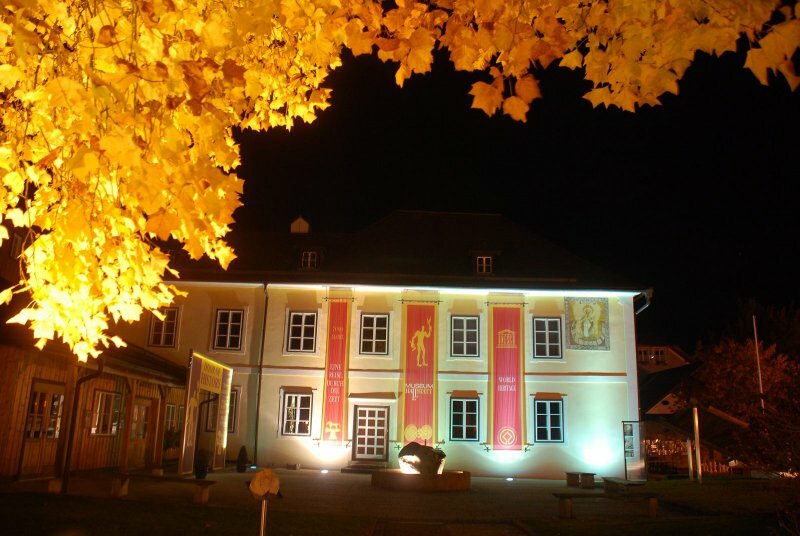 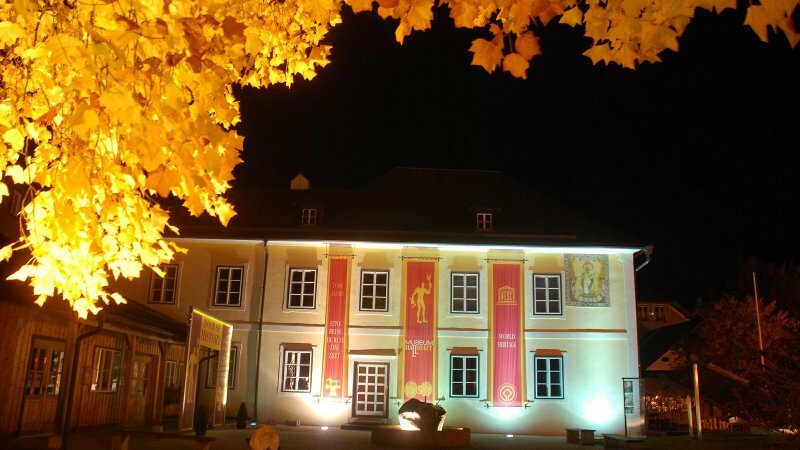 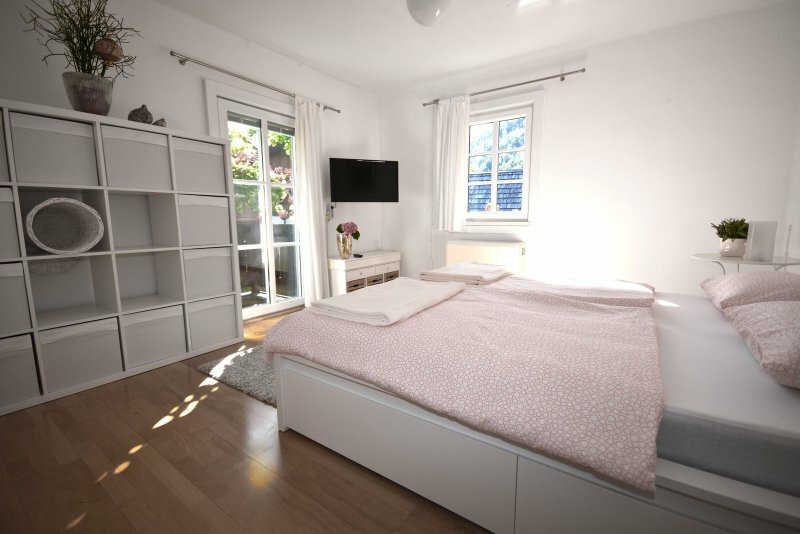 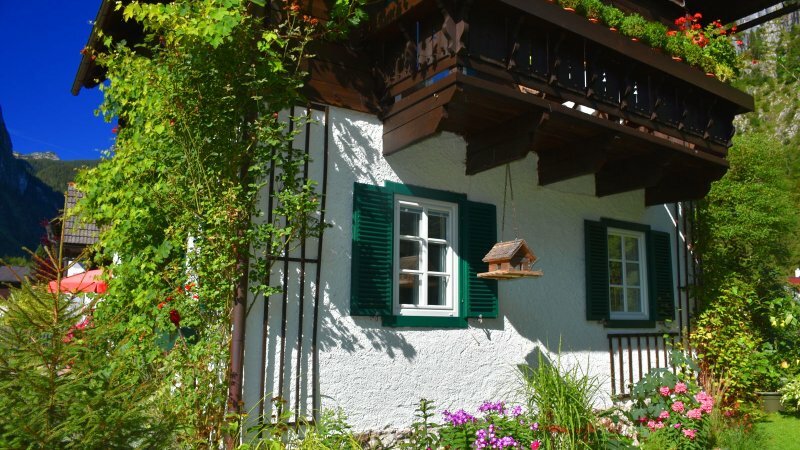 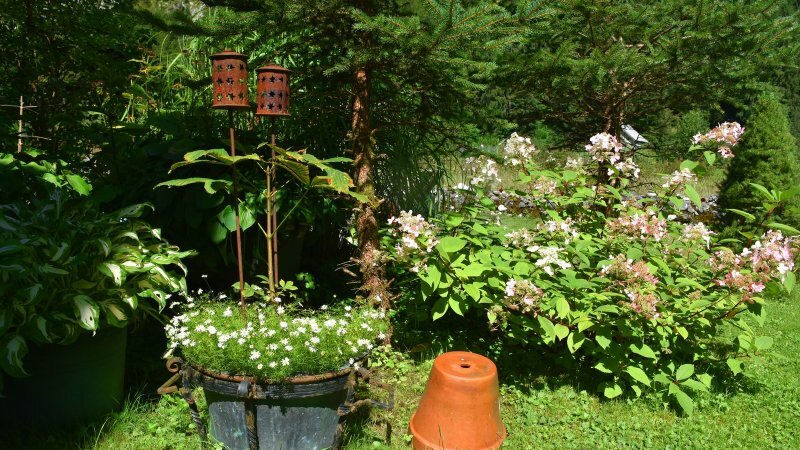 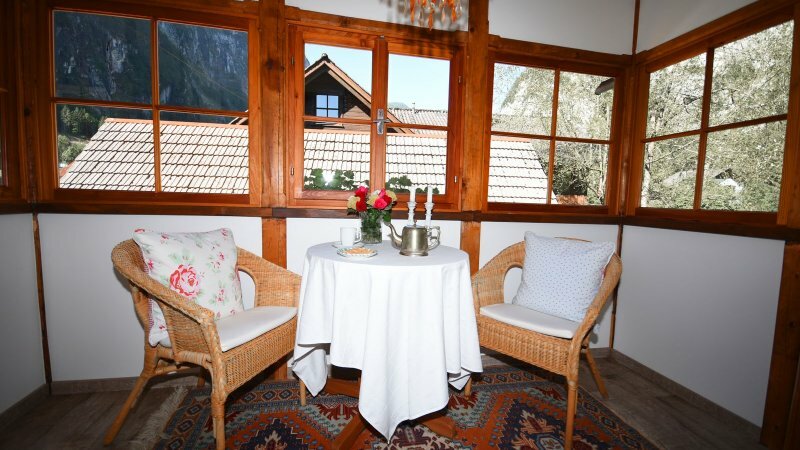 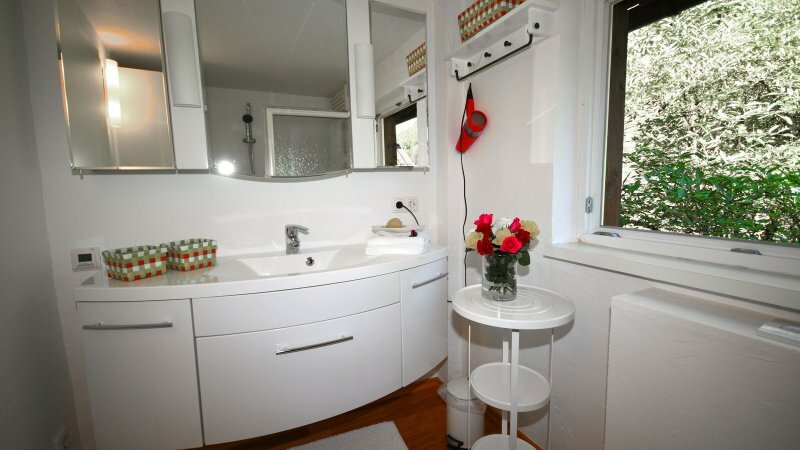 Book Haus Hemetzberger B&B with Pool now!